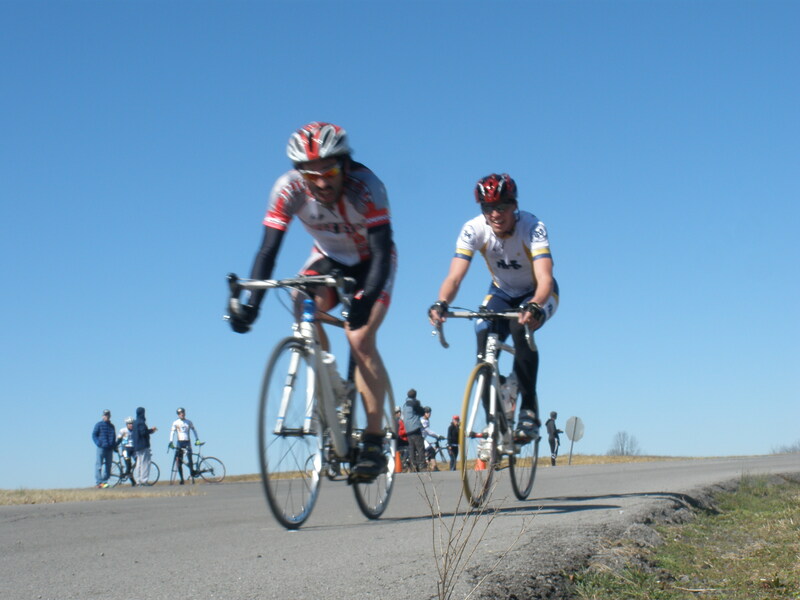 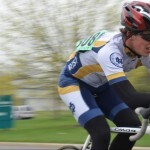 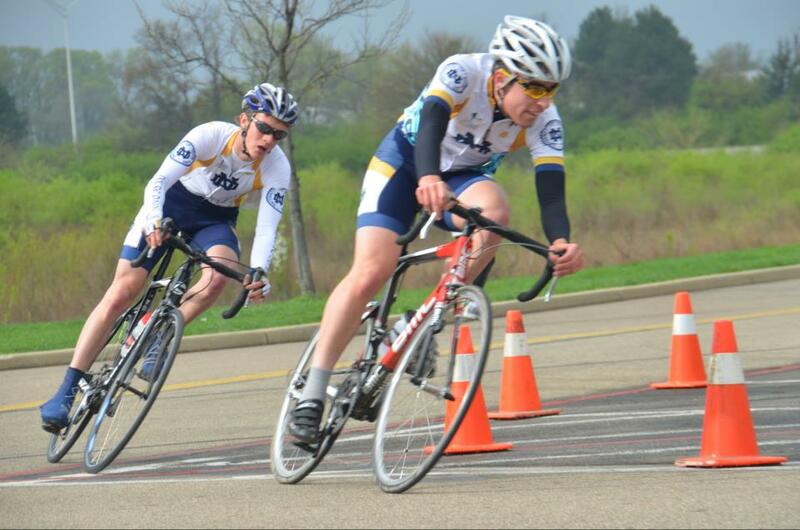 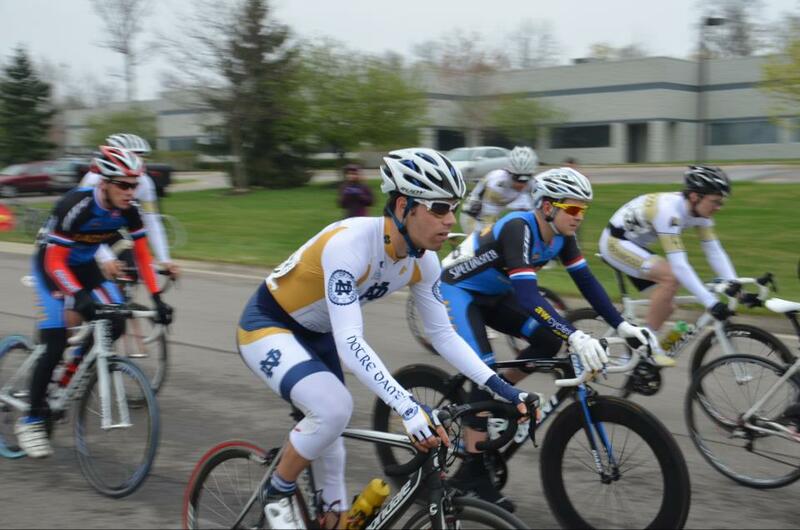 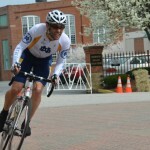 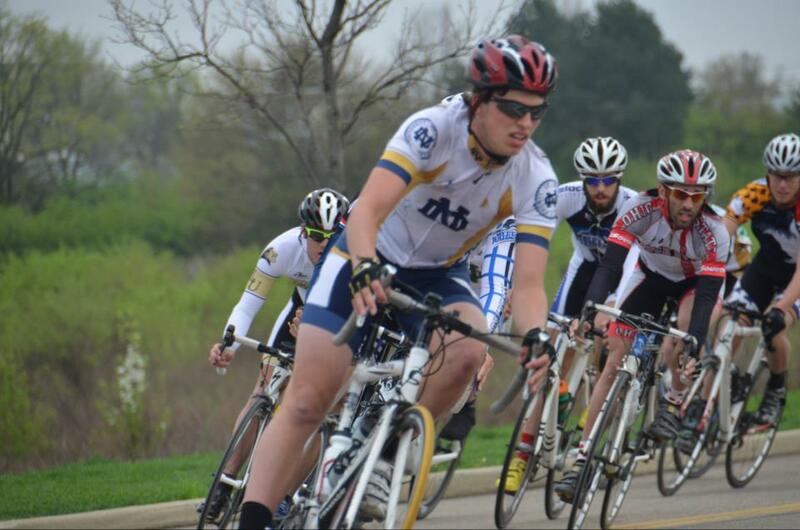 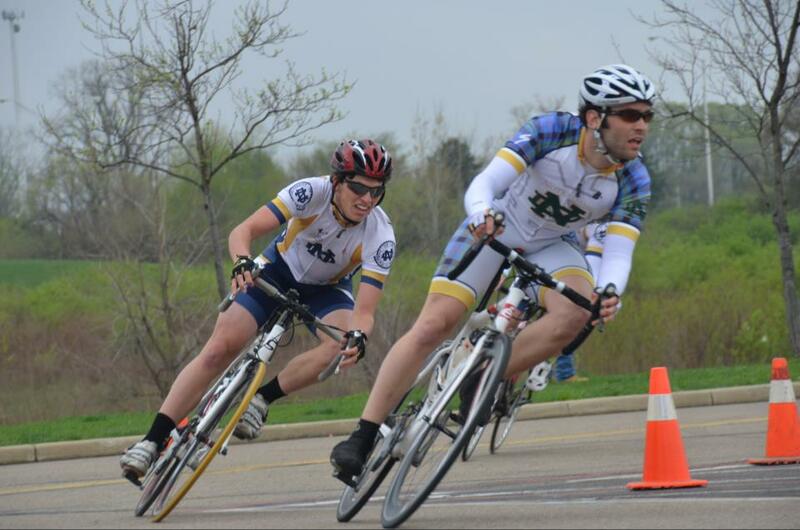 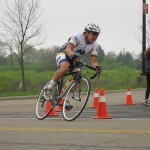 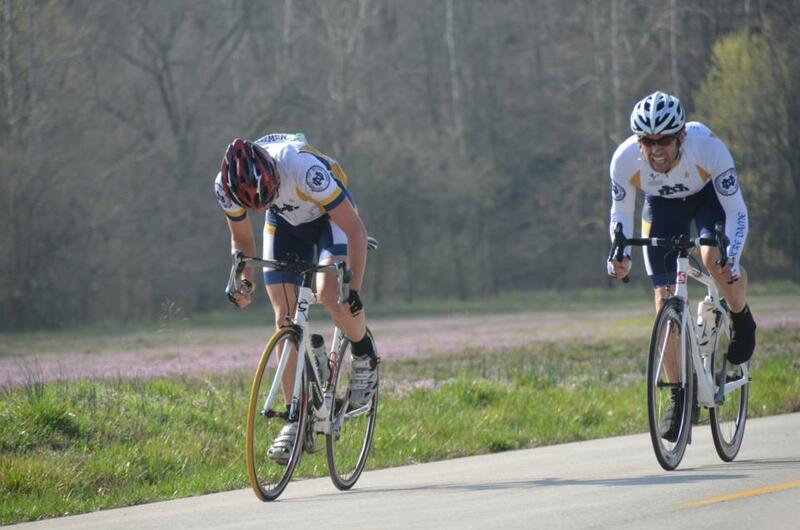 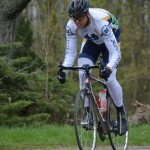 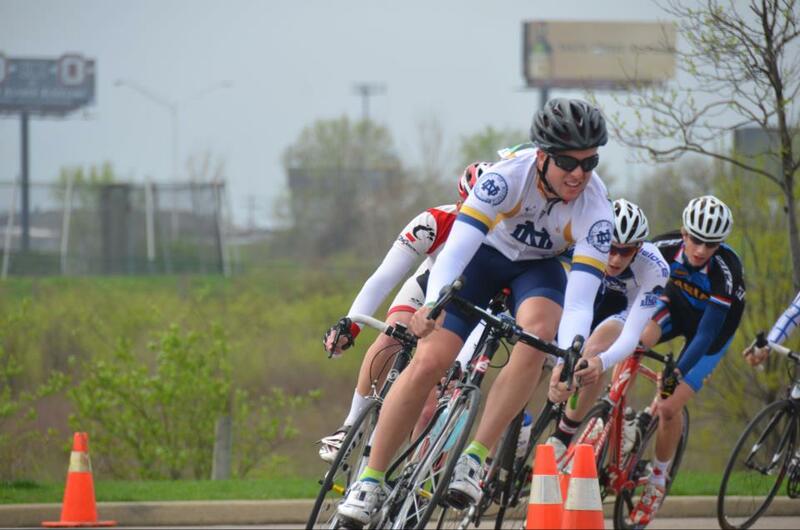 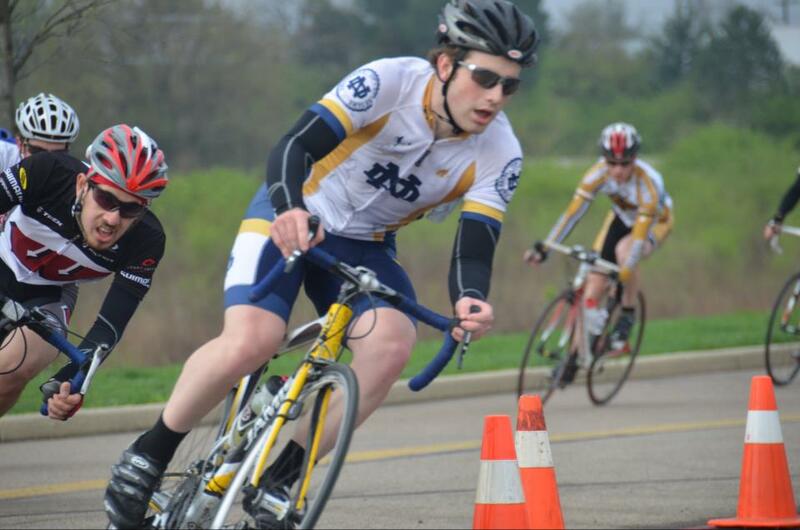 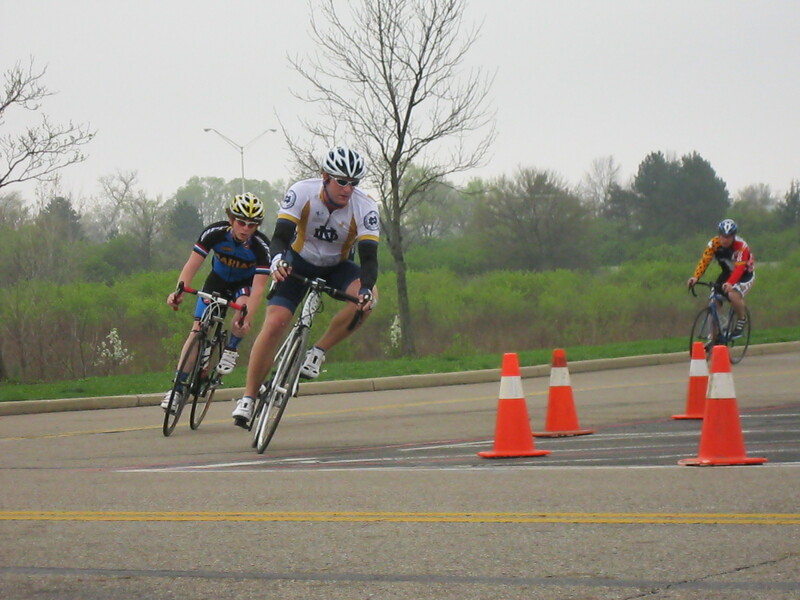 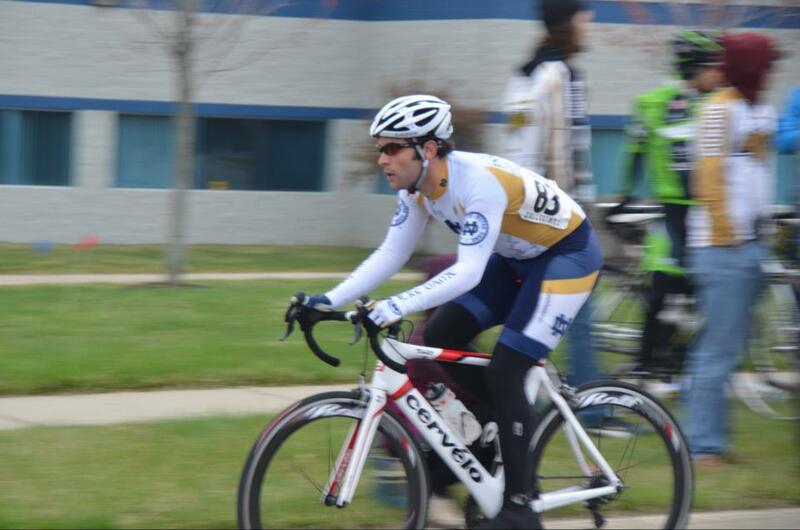 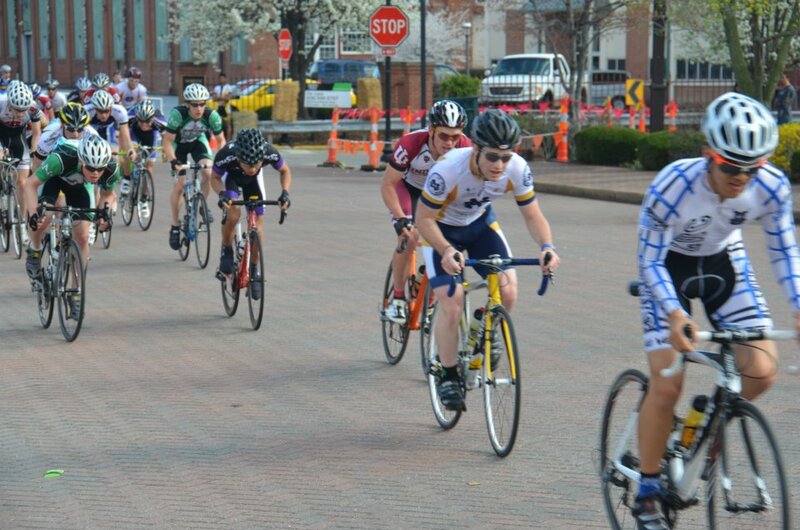 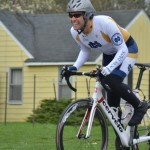 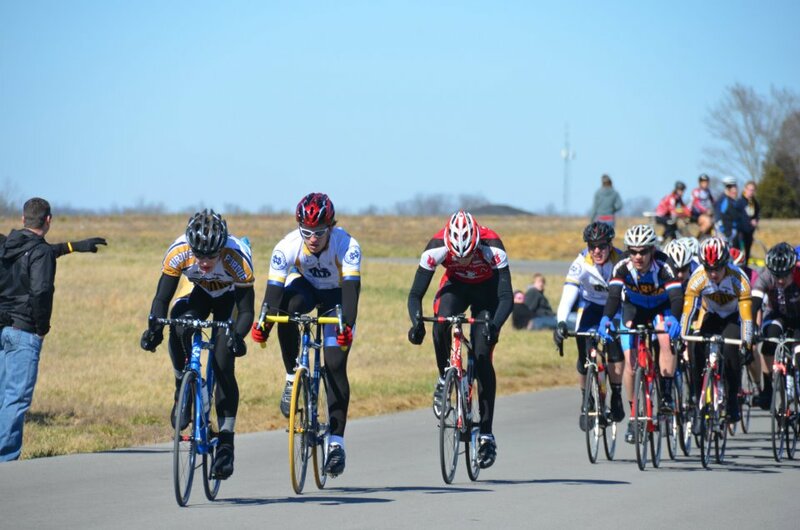 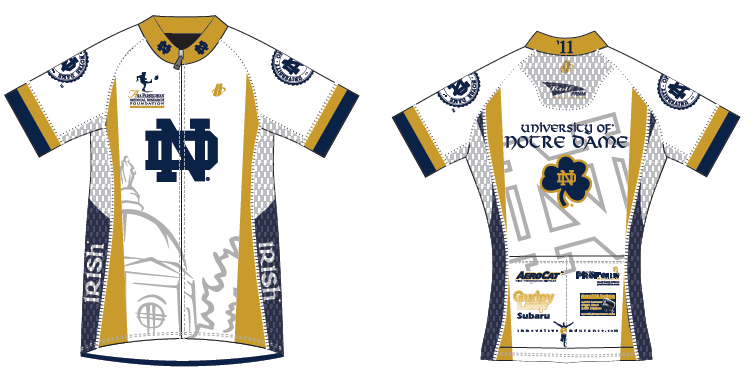 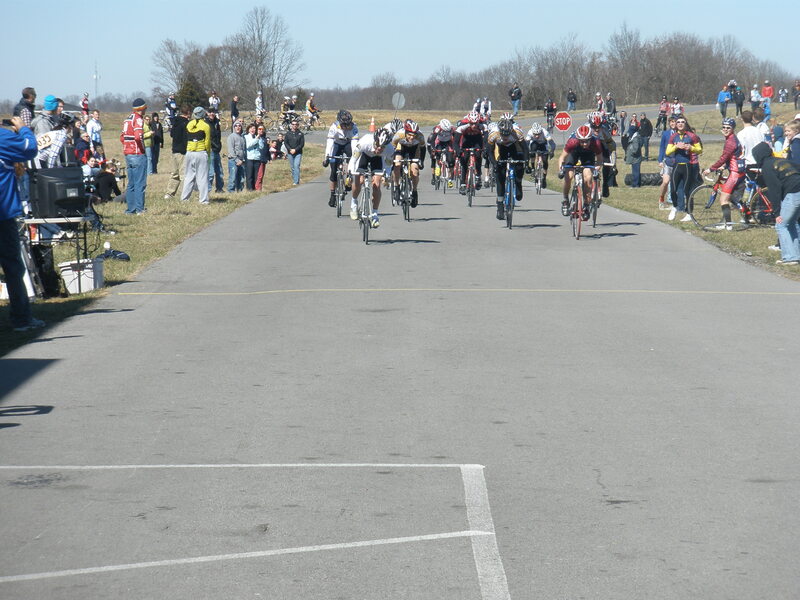 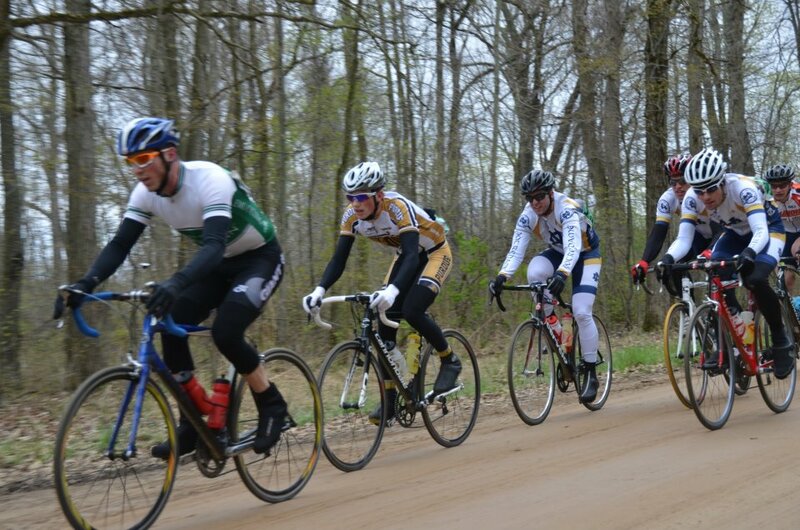 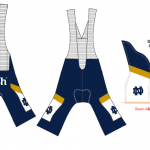 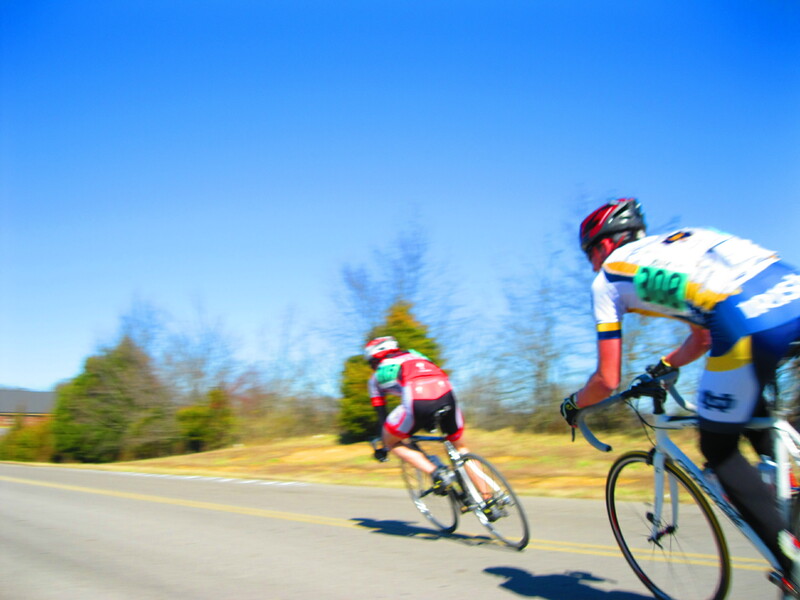 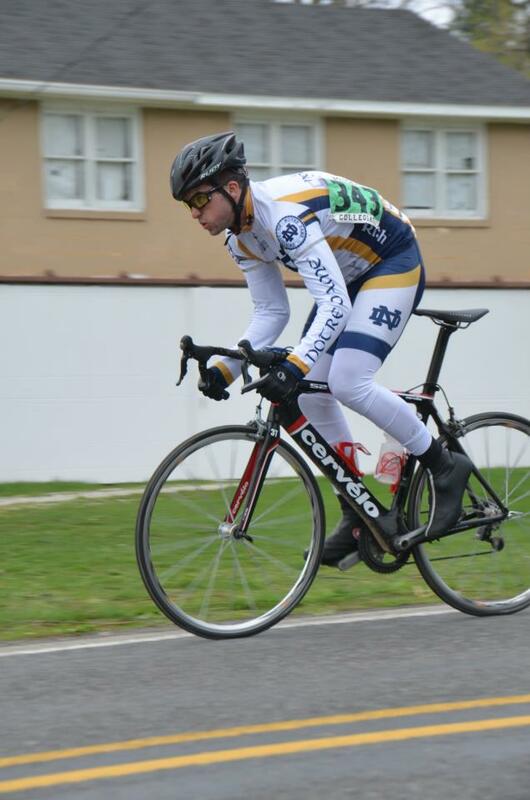 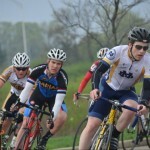 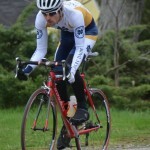 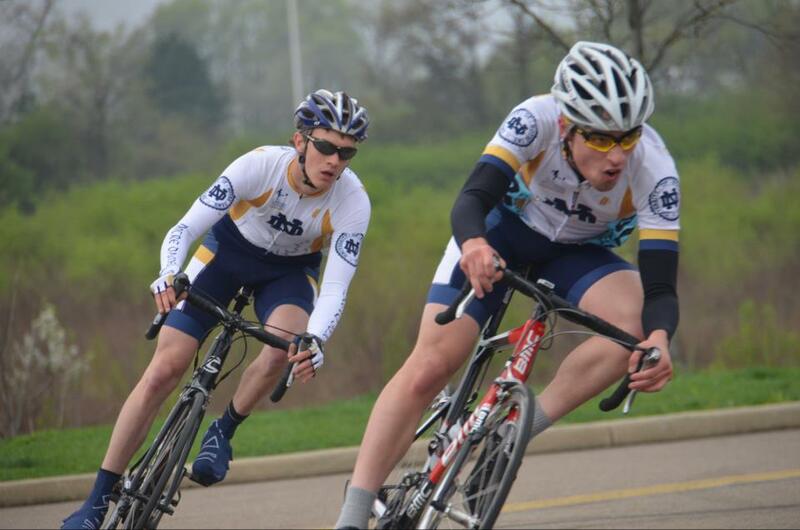 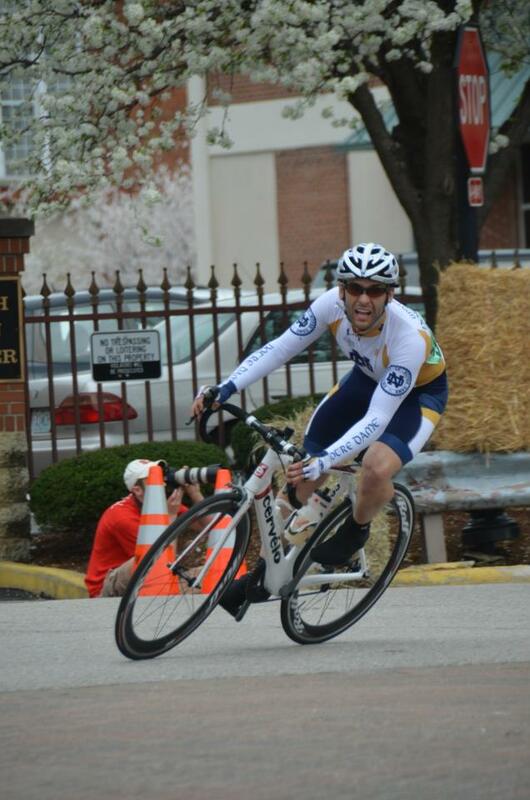 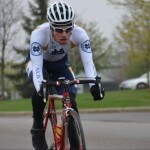 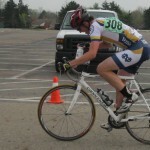 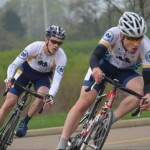 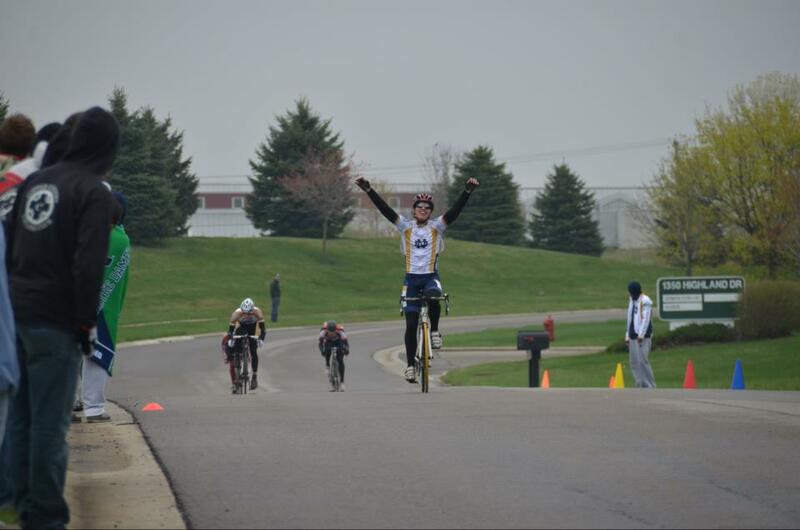 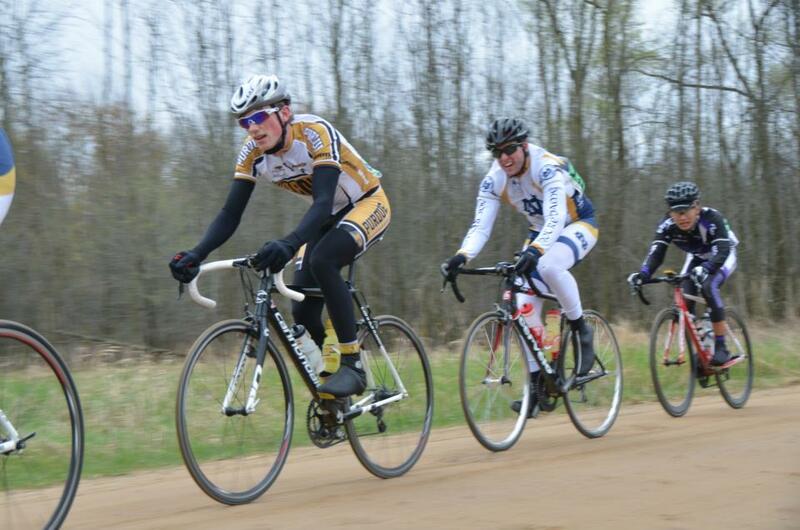 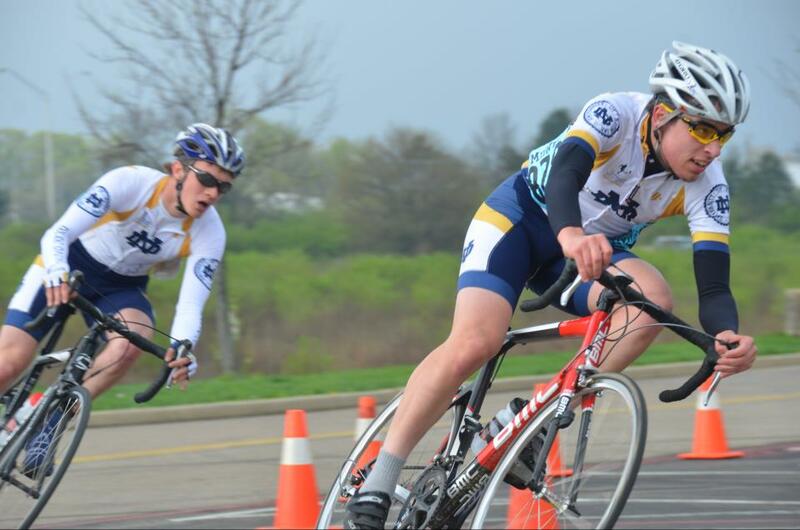 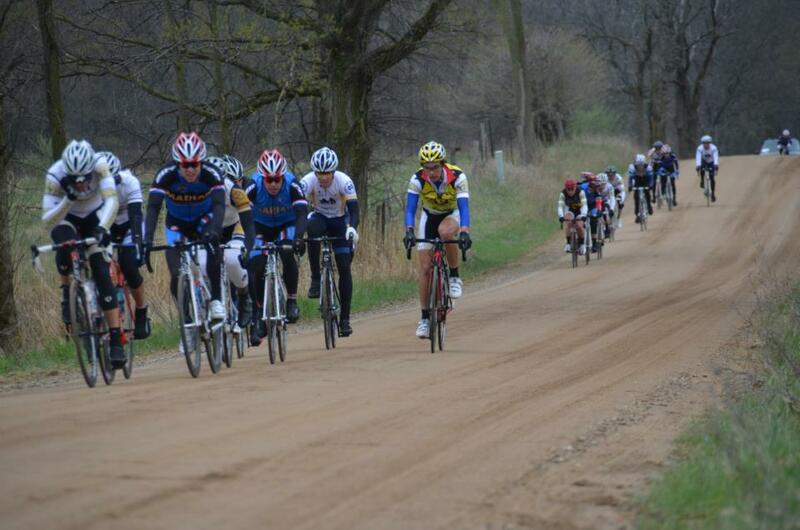 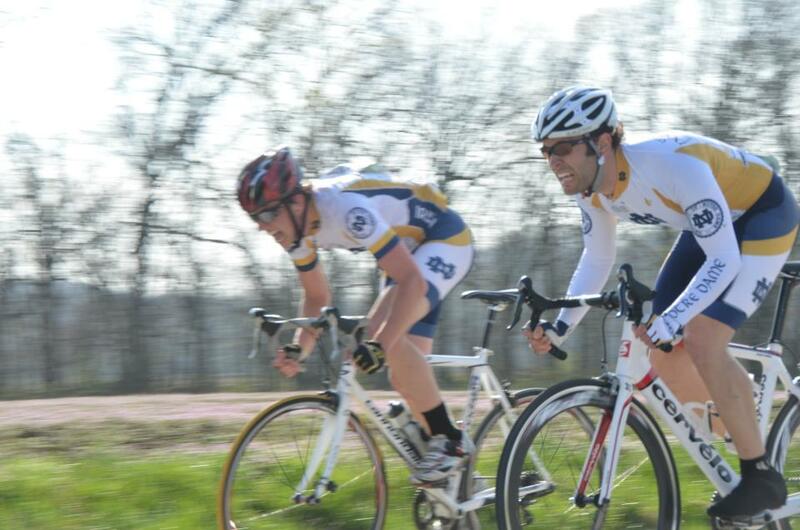 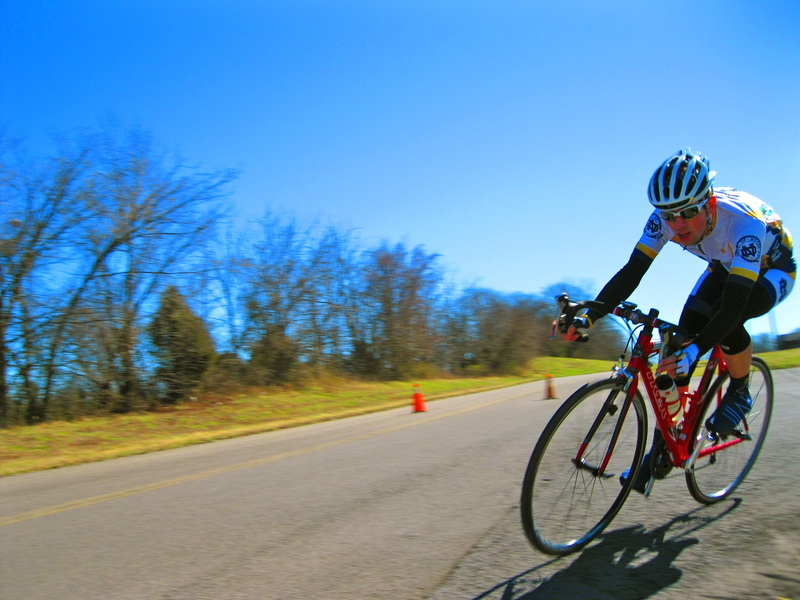 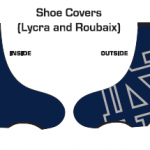 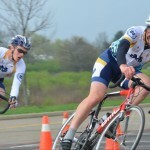 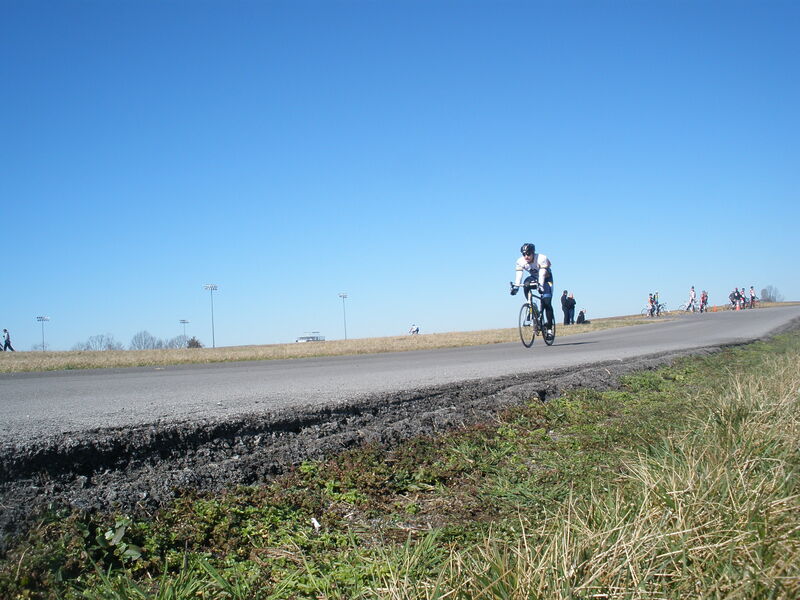 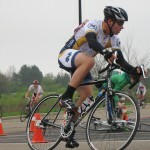 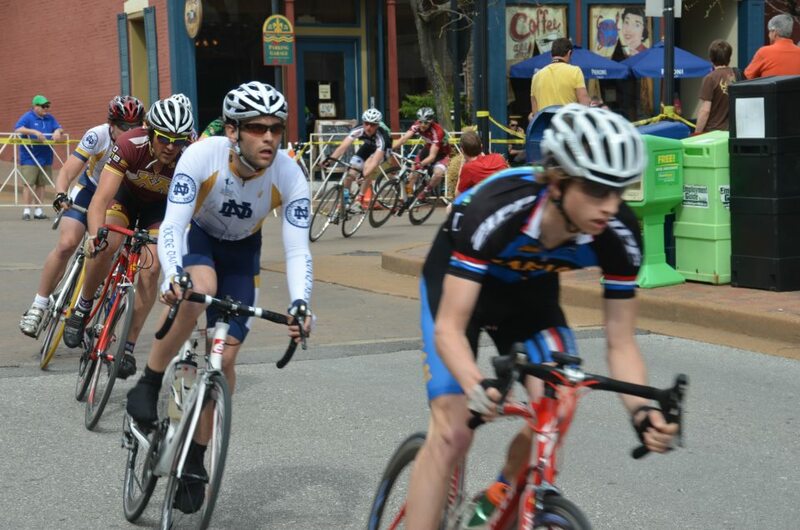 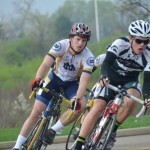 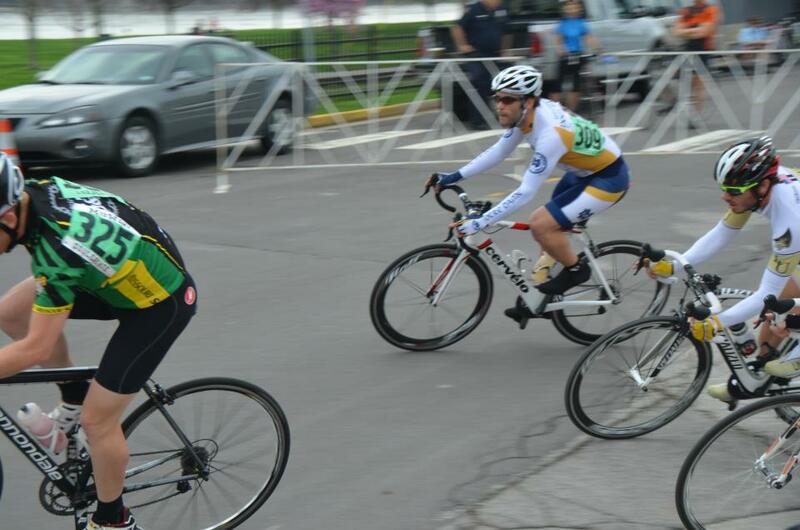 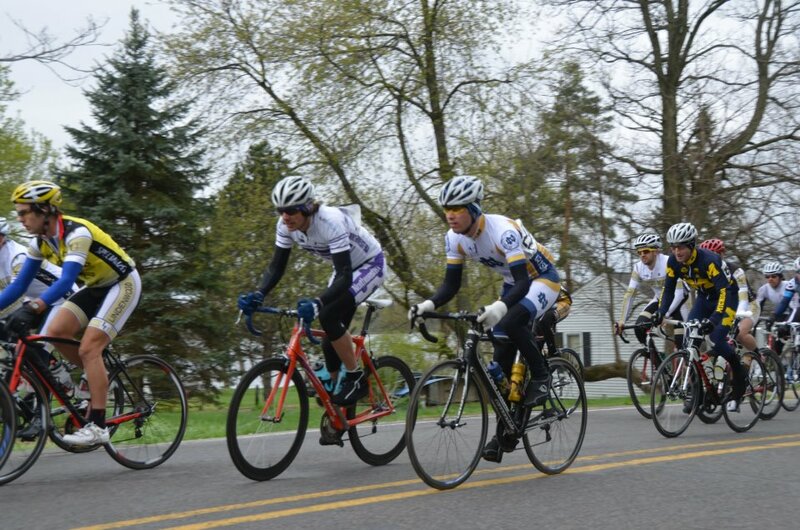 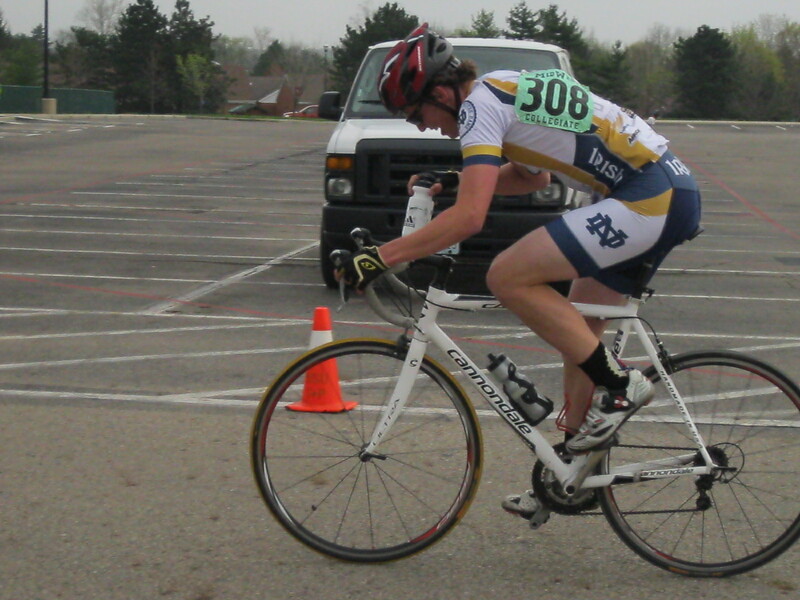 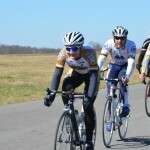 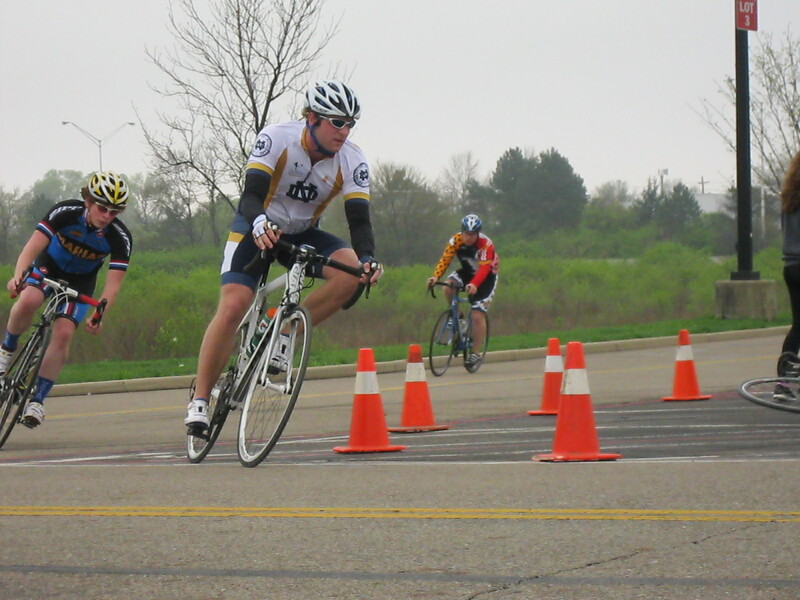 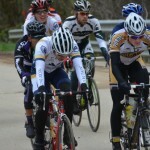 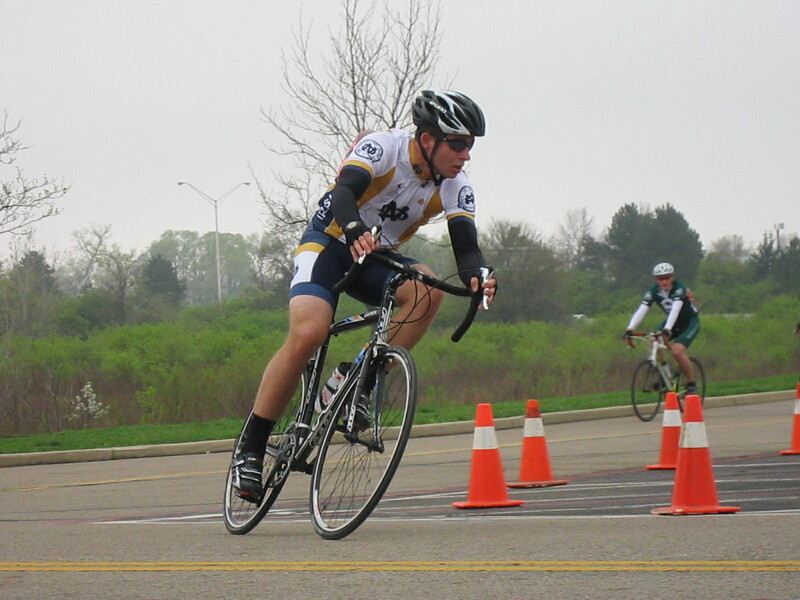 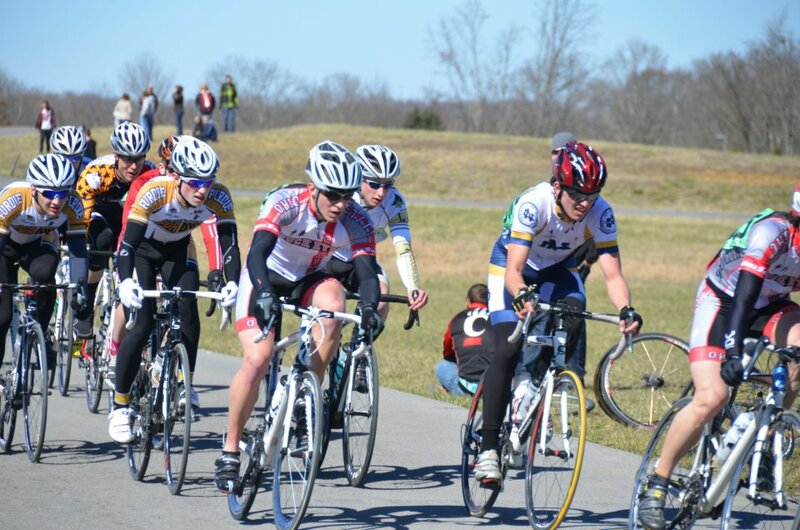 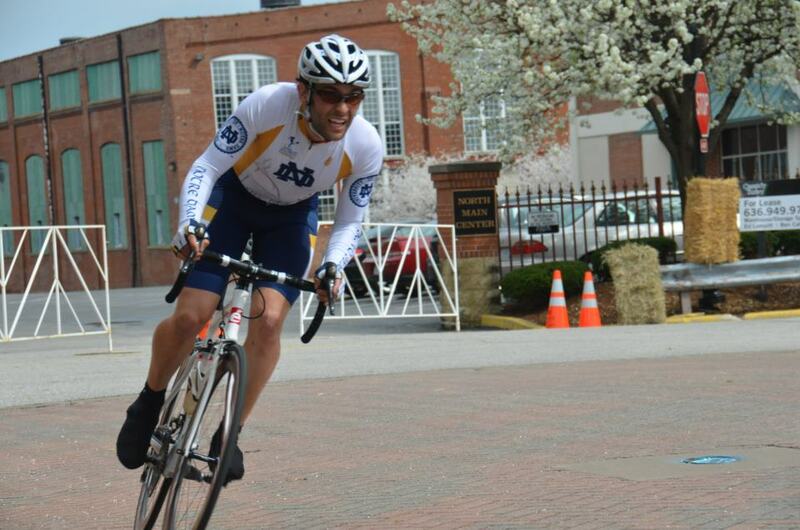 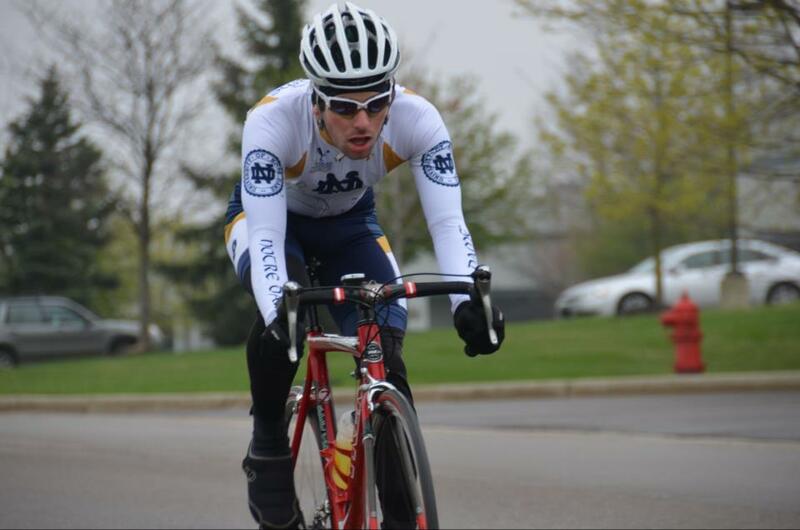 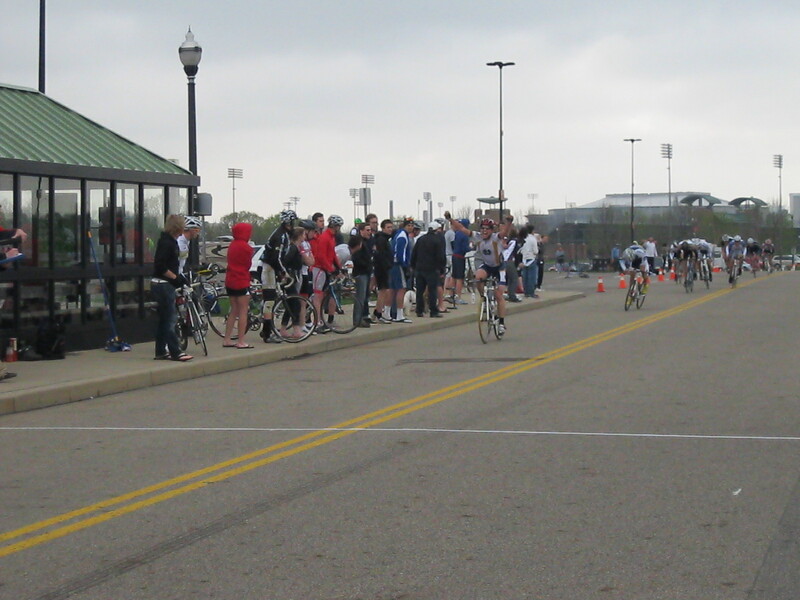 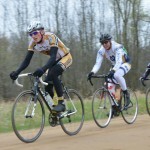 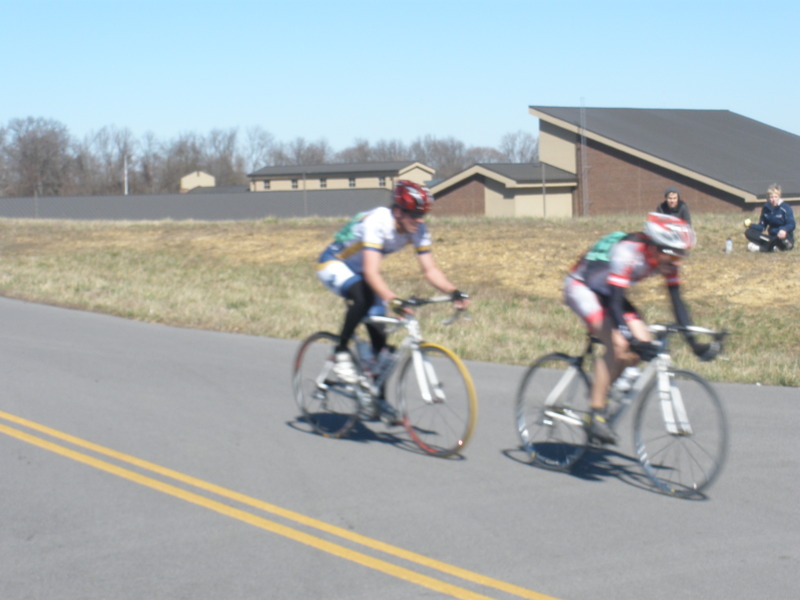 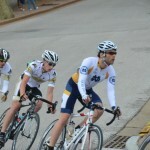 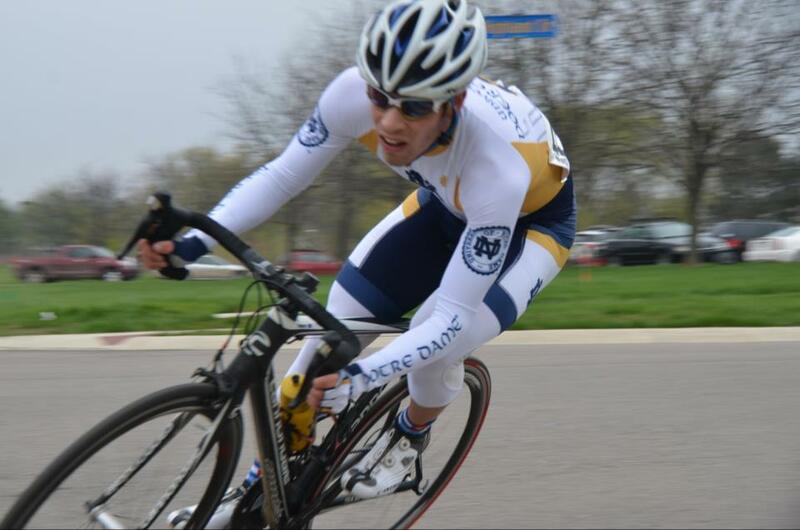 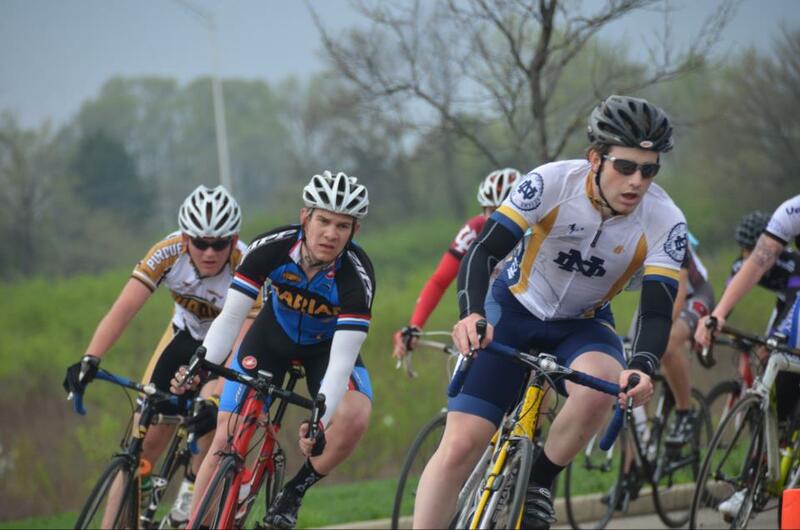 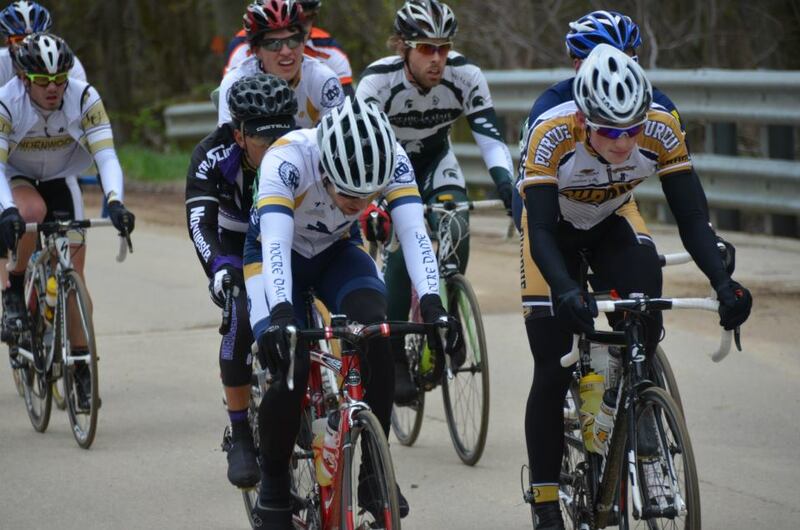 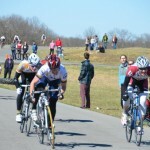 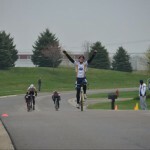 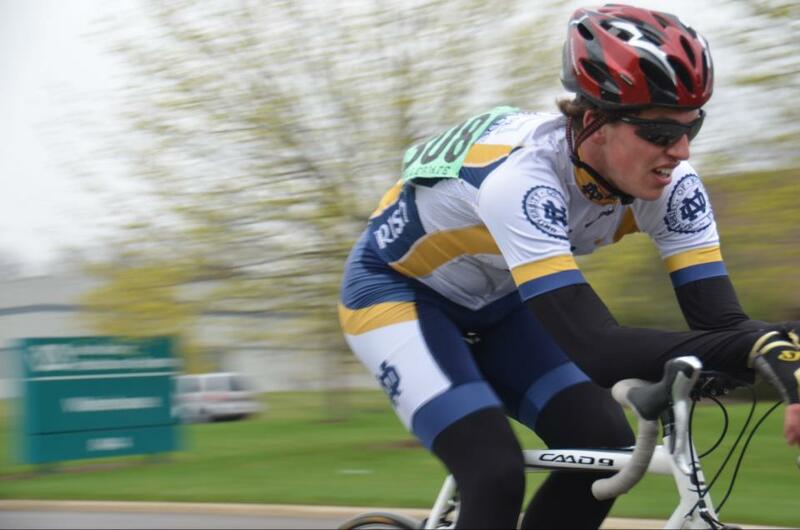 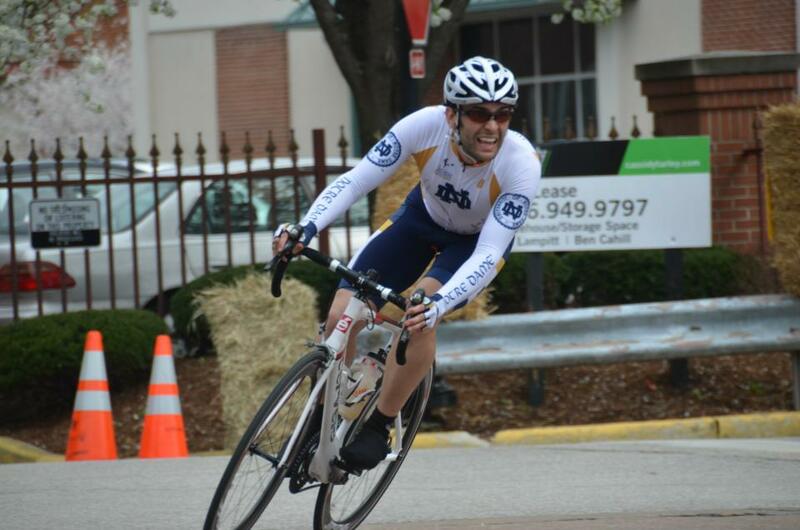 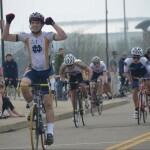 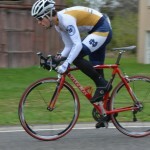 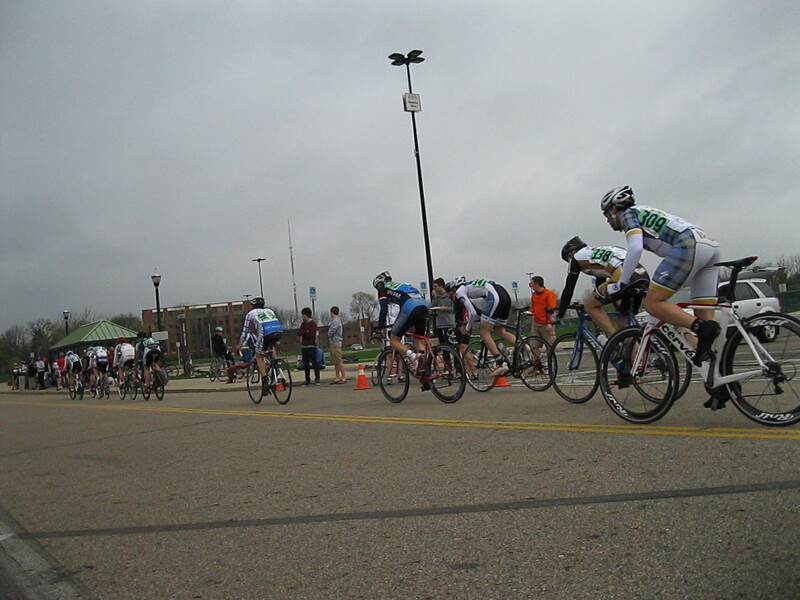 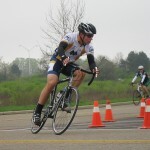 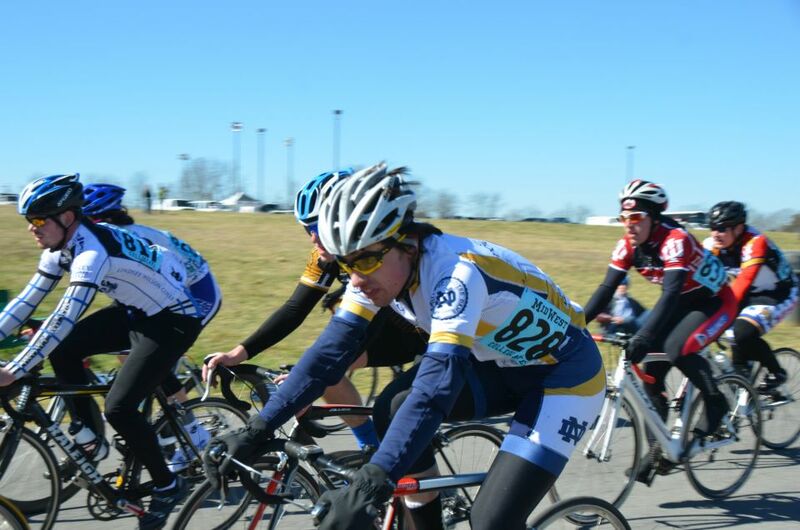 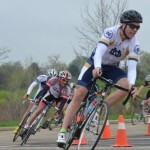 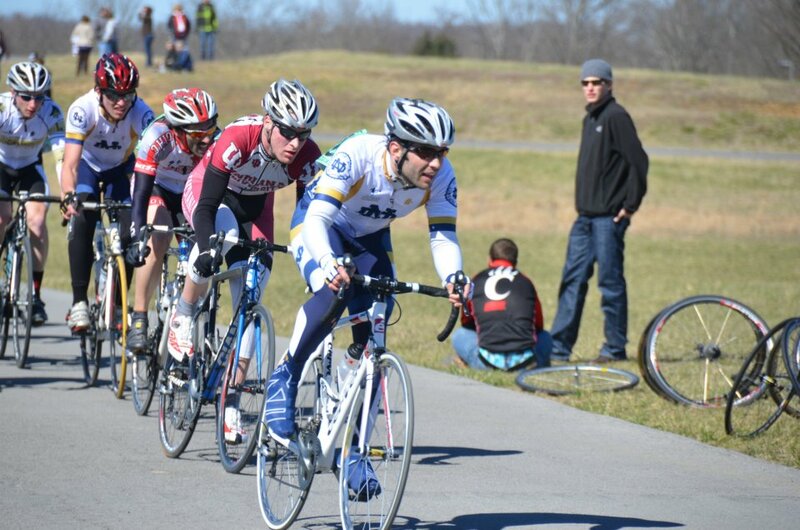 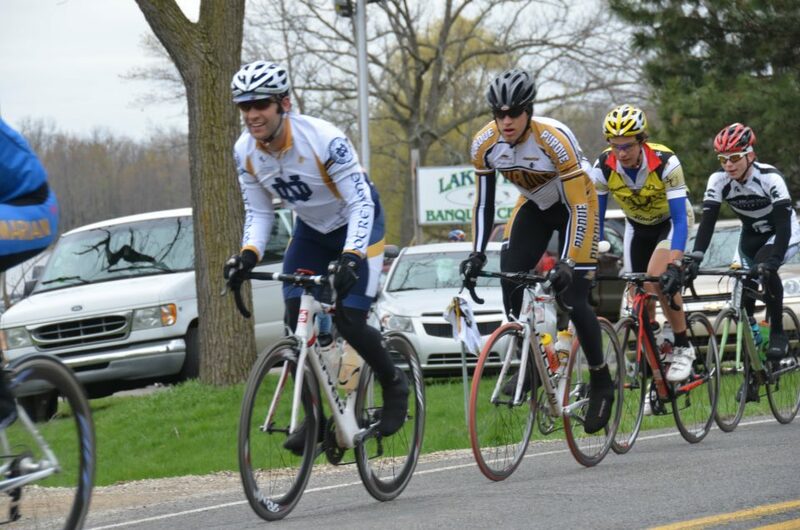 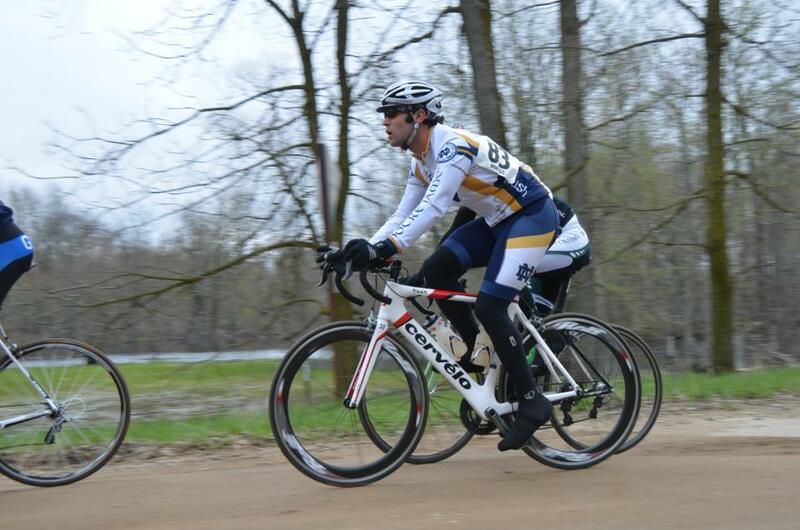 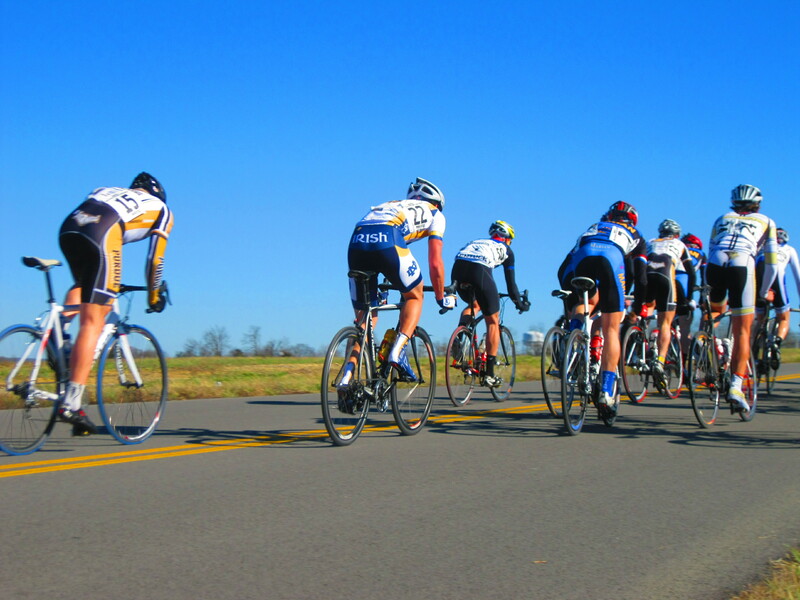 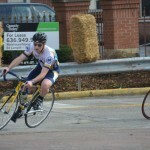 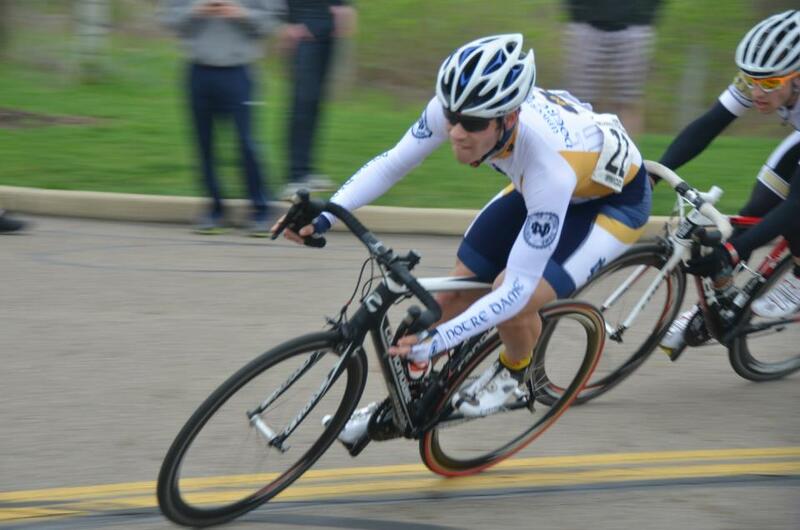 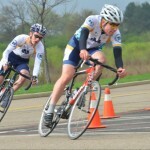 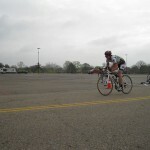 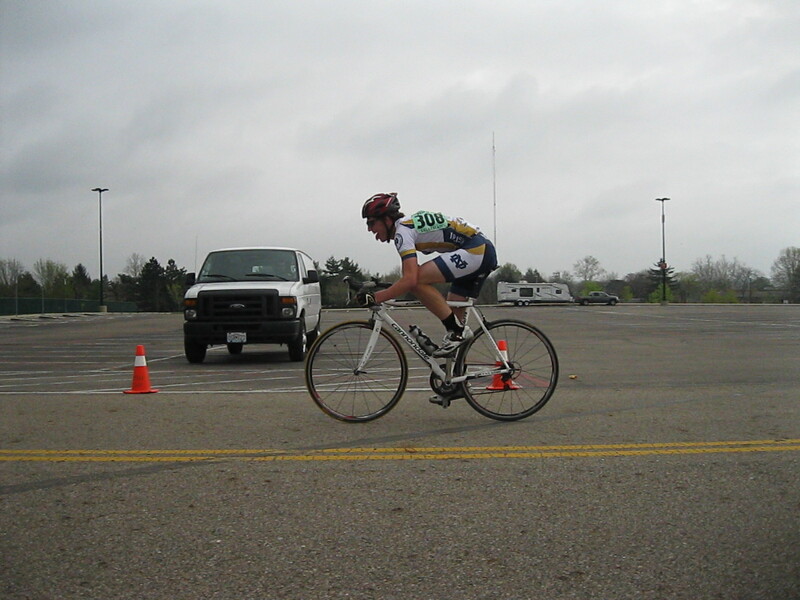 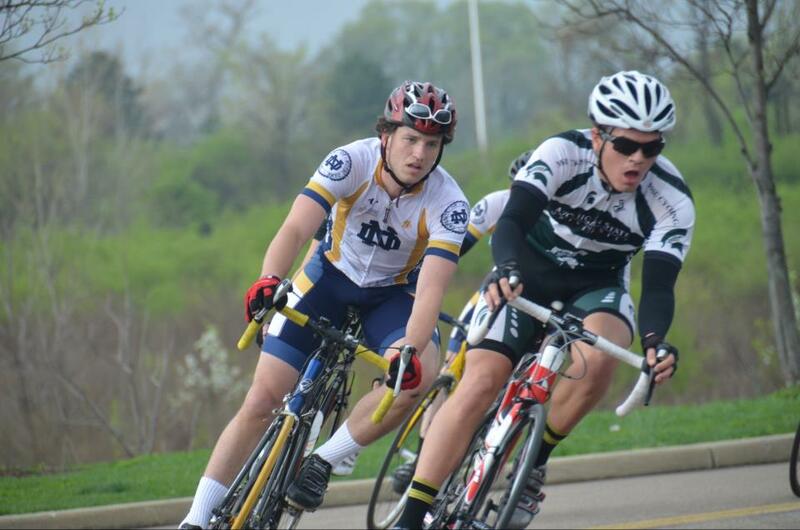 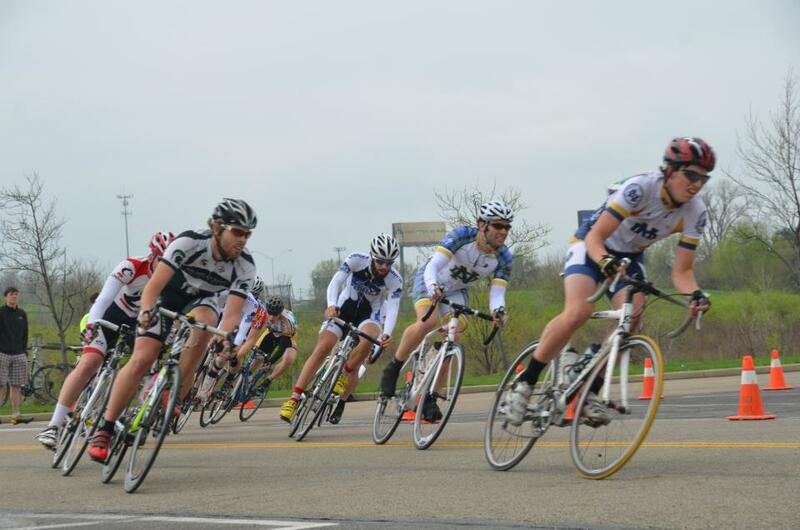 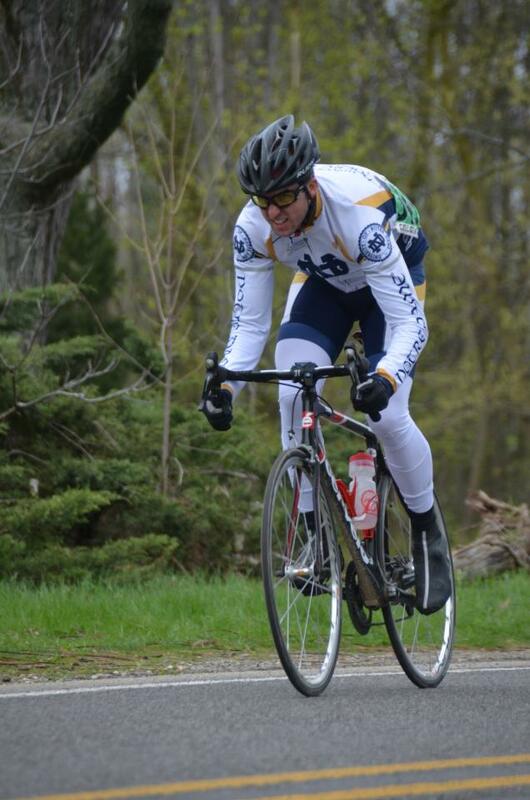 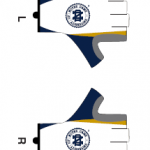 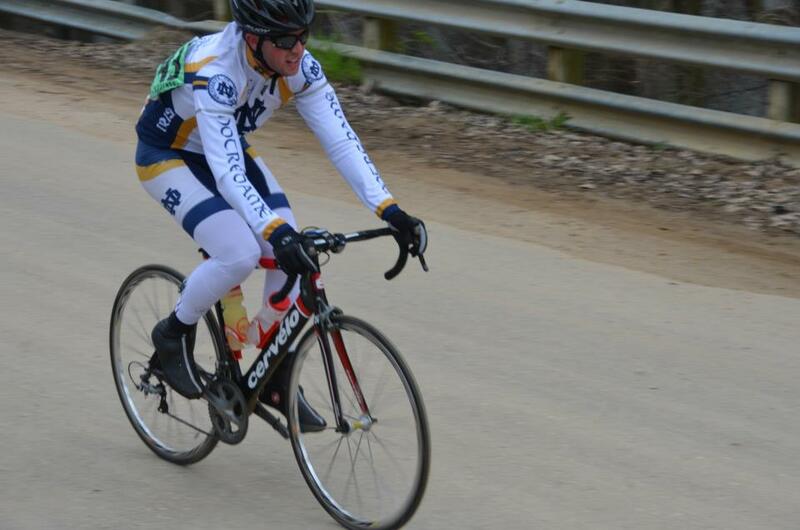 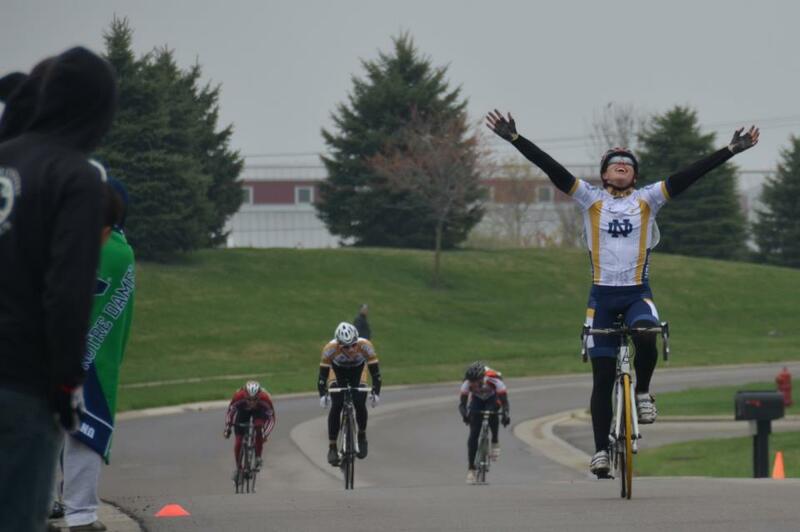 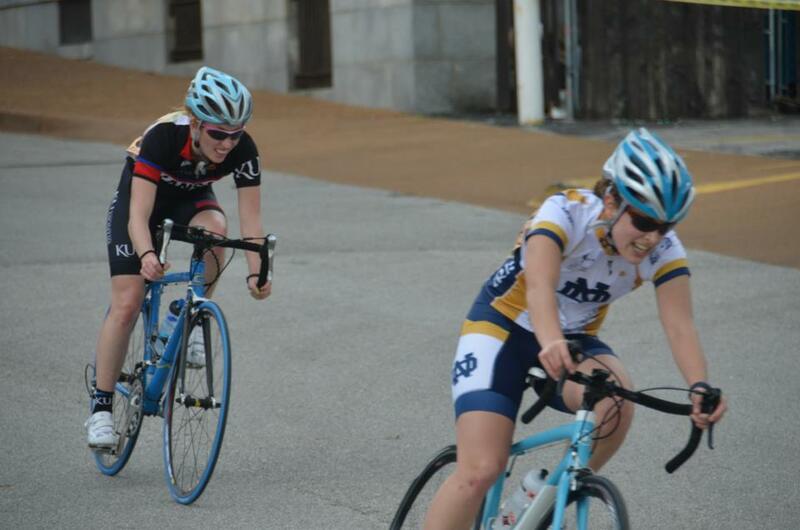 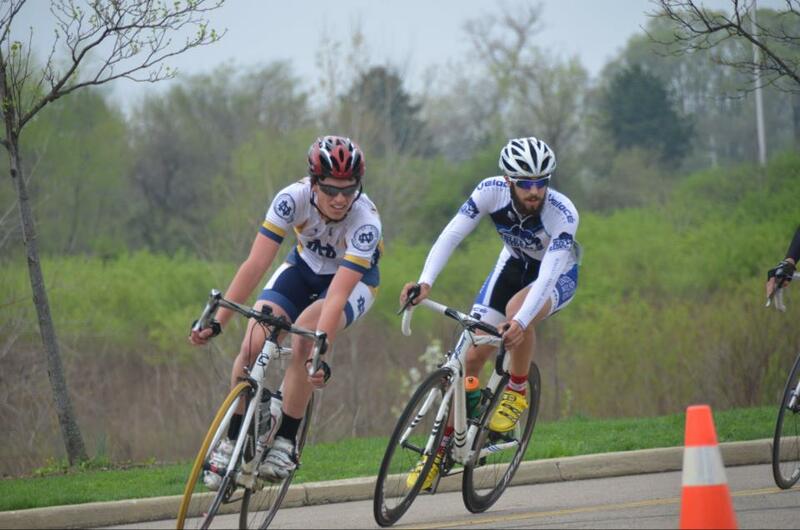 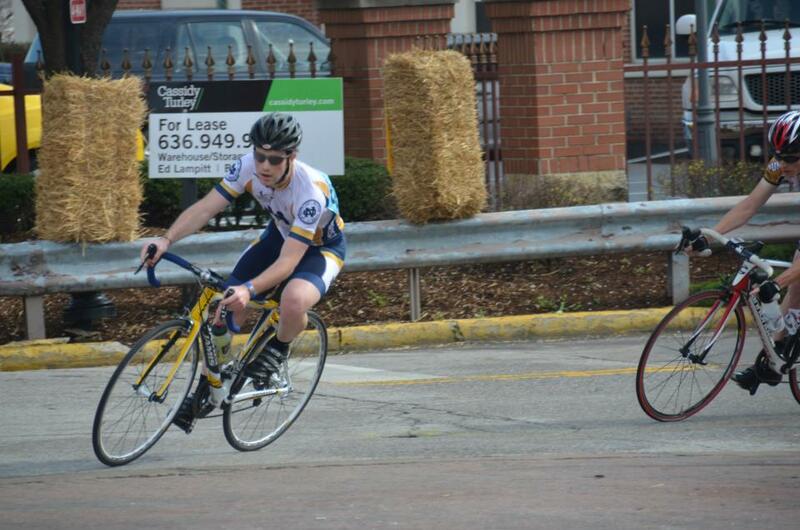 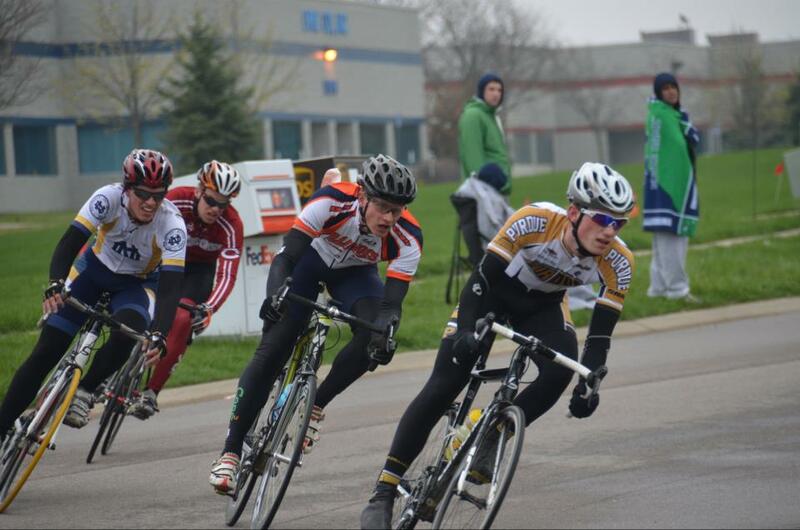 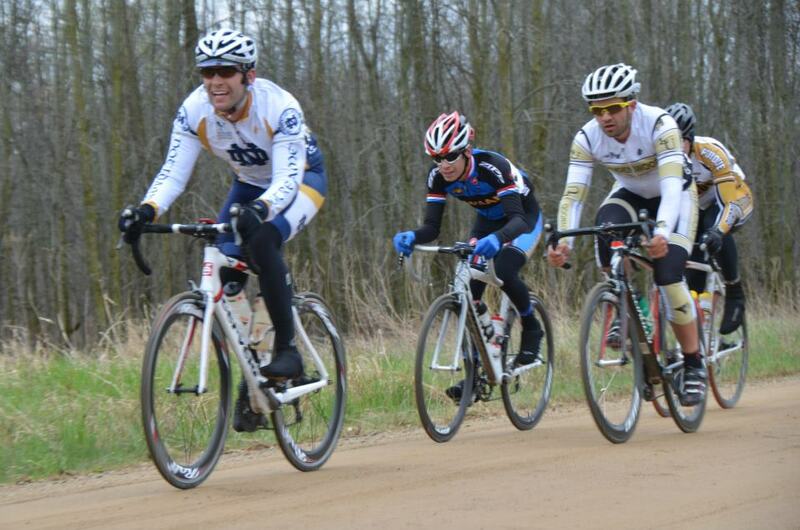 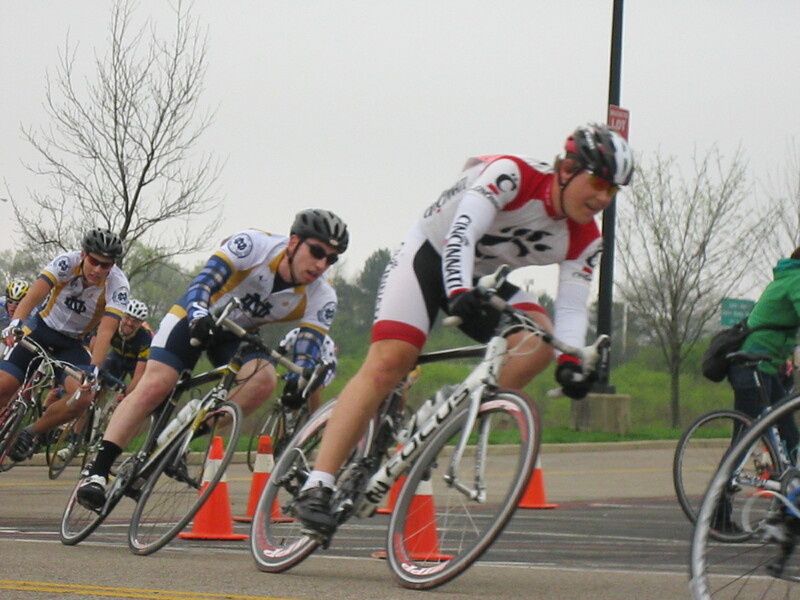 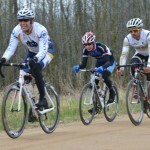 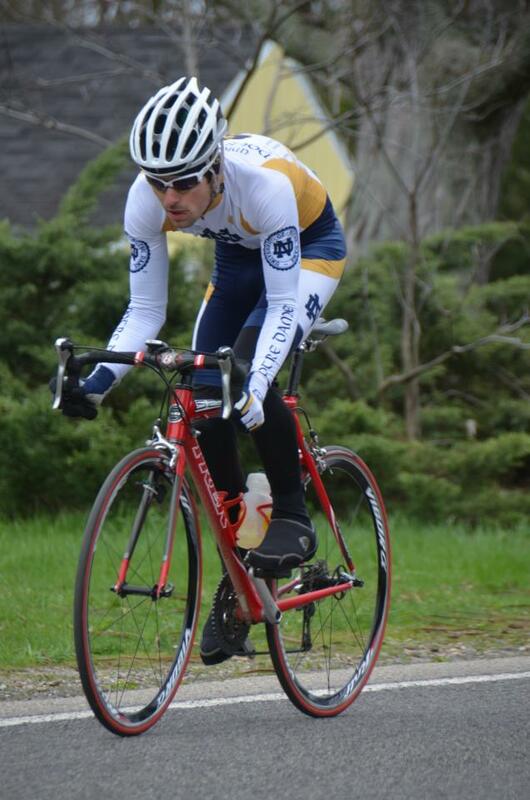 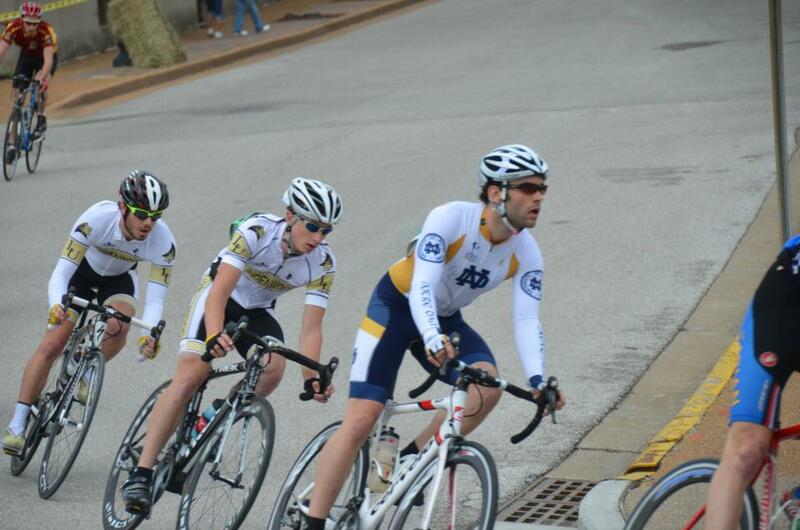 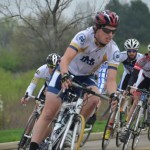 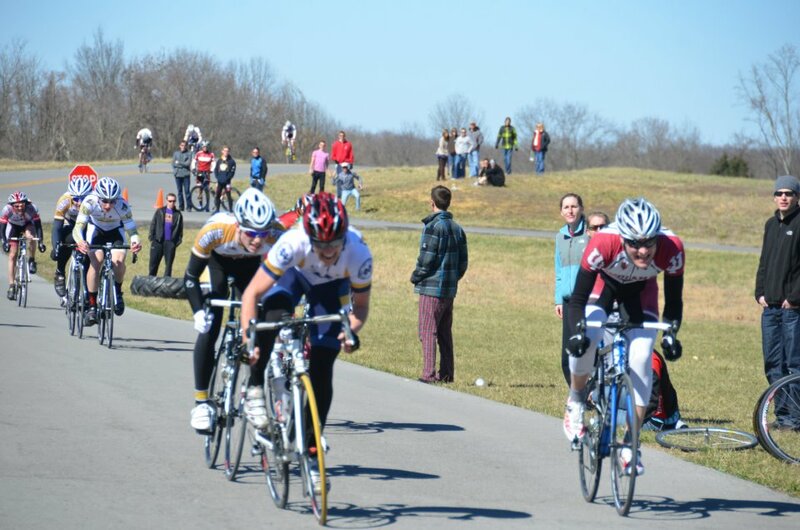 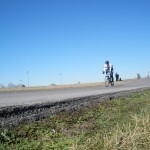 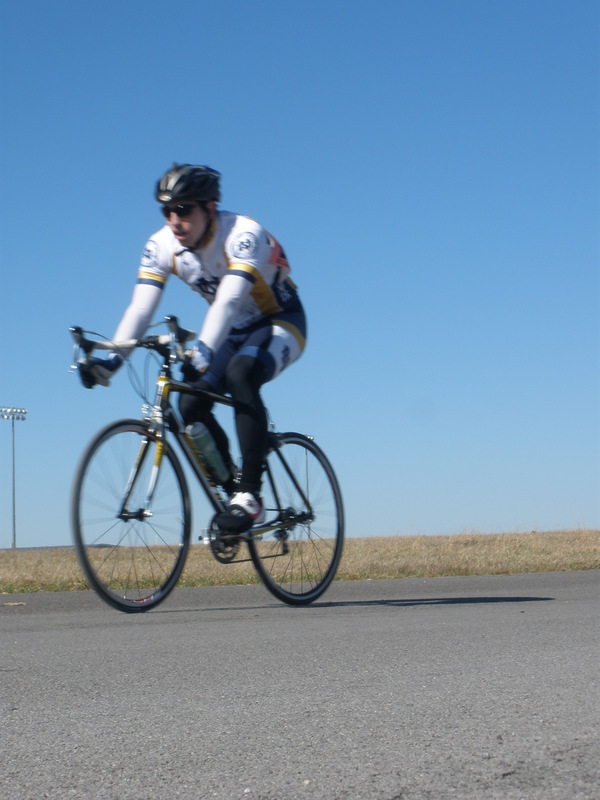 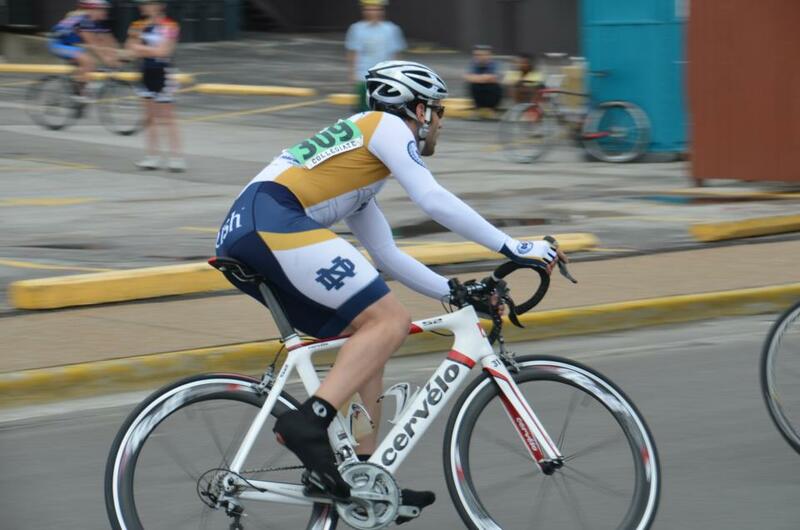 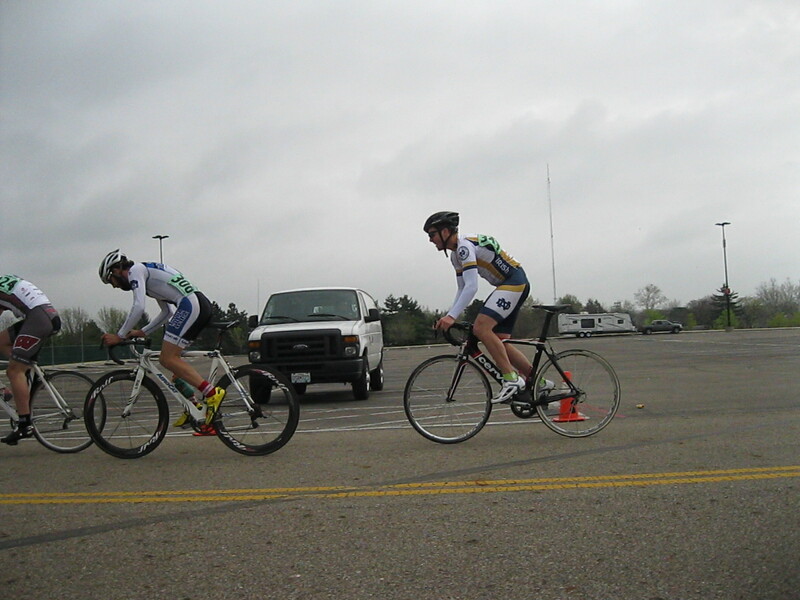 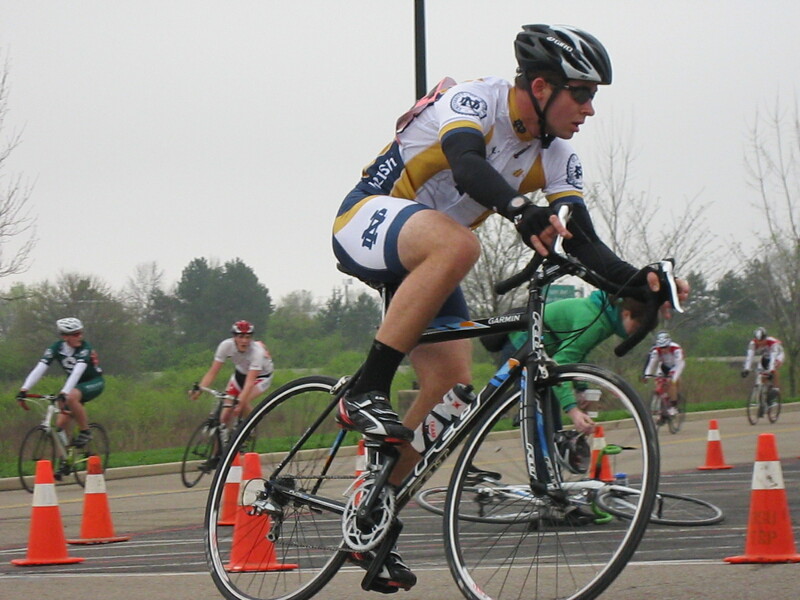 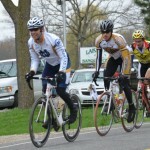 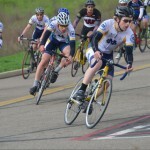 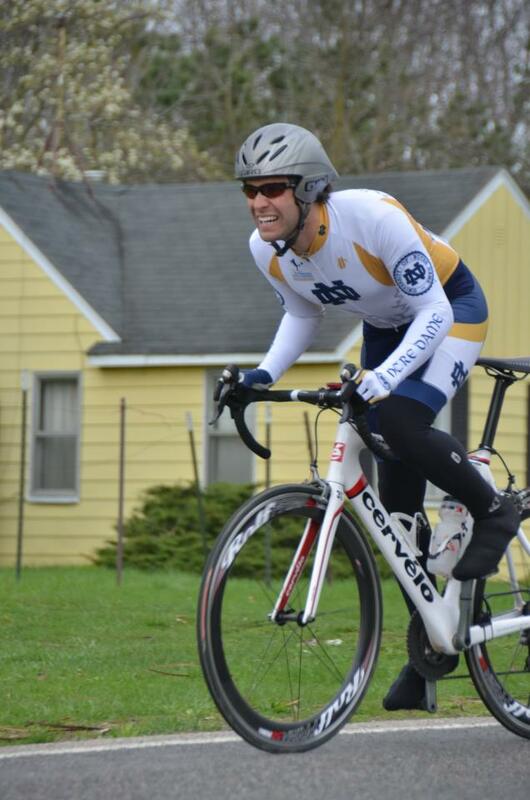 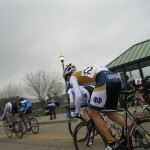 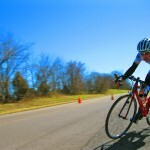 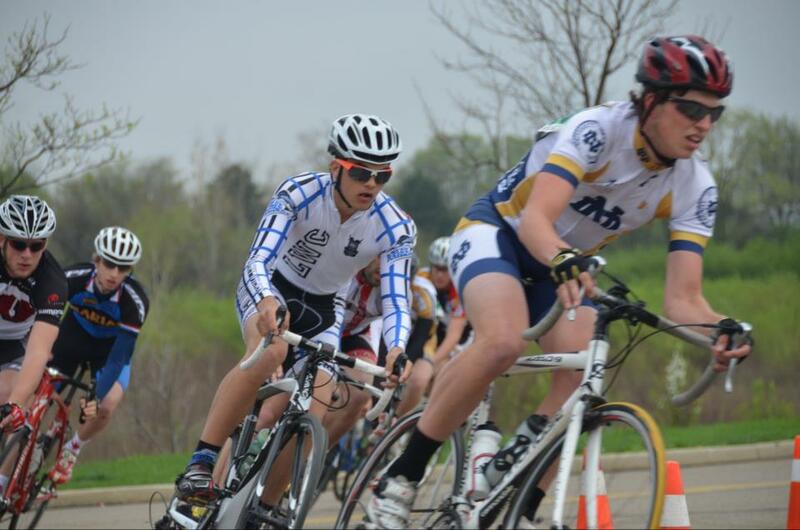 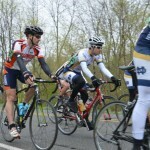 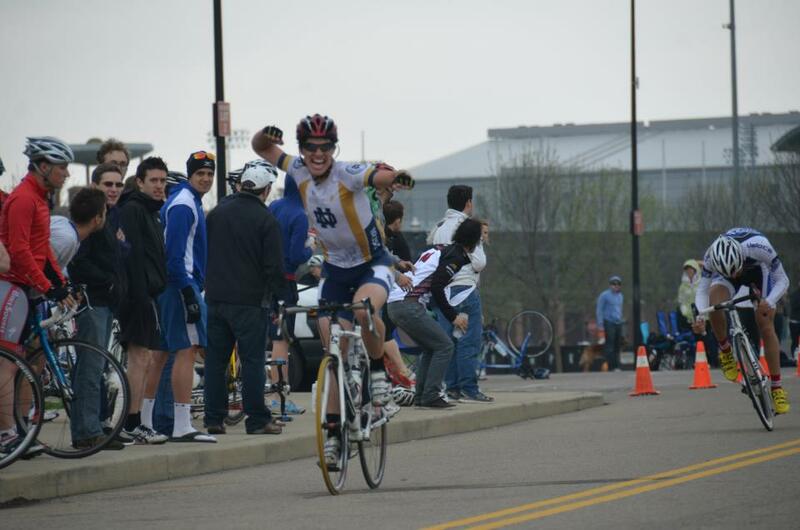 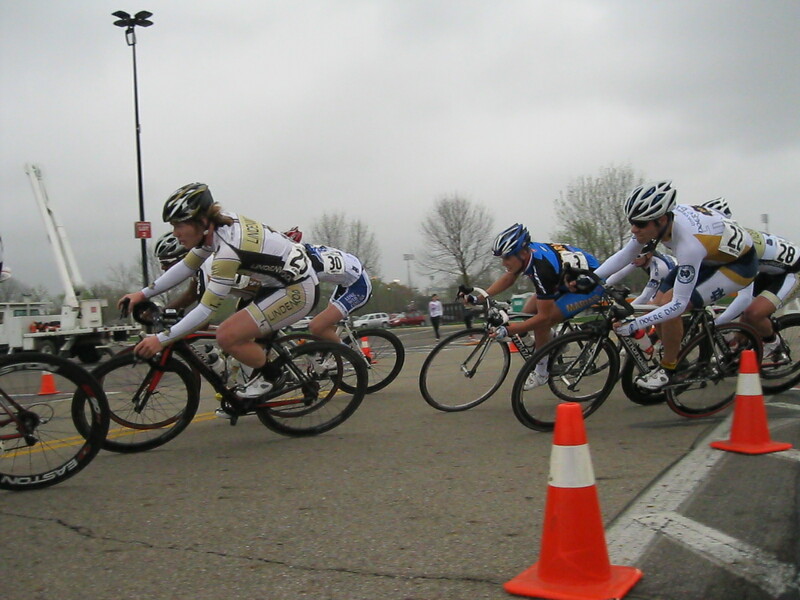 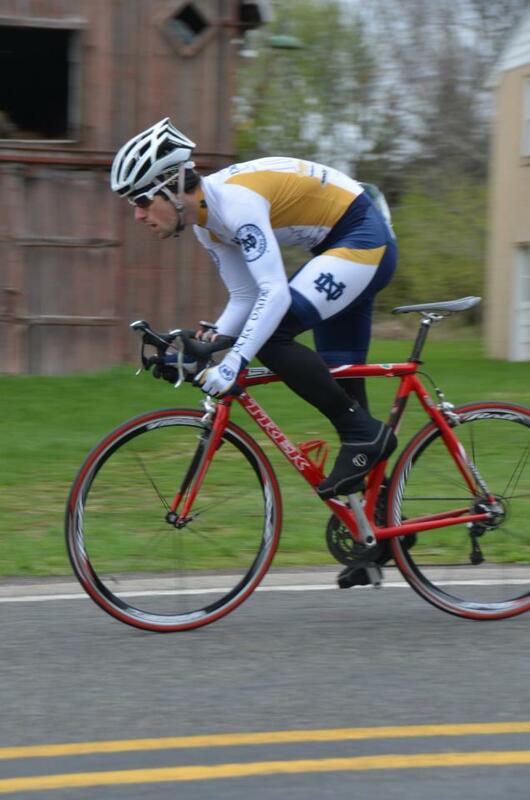 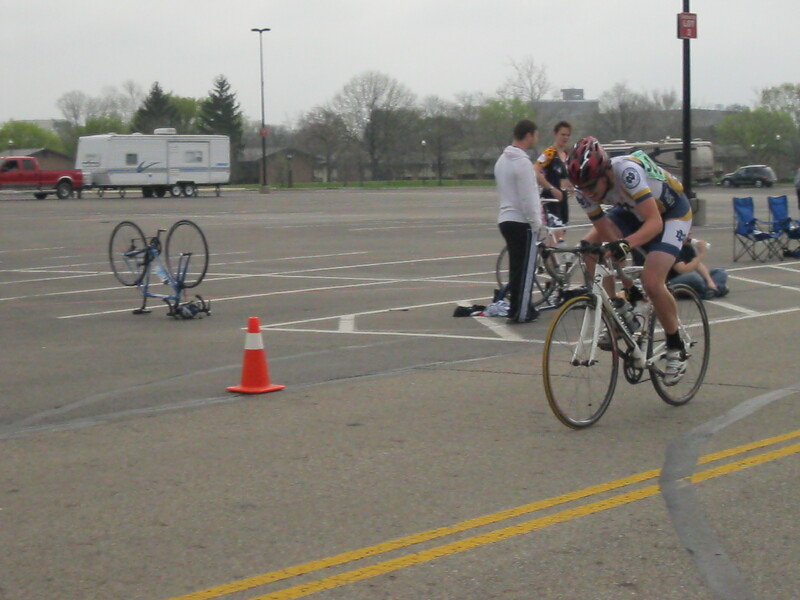 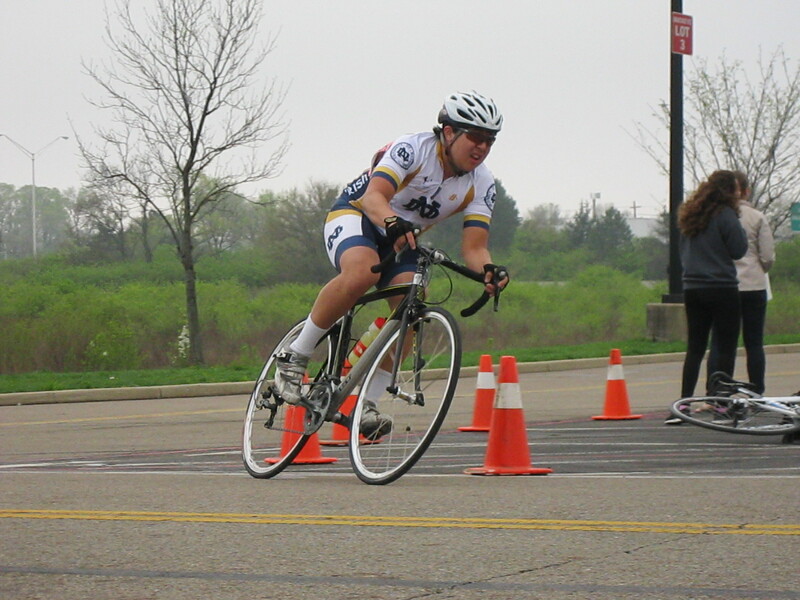 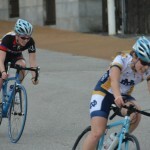 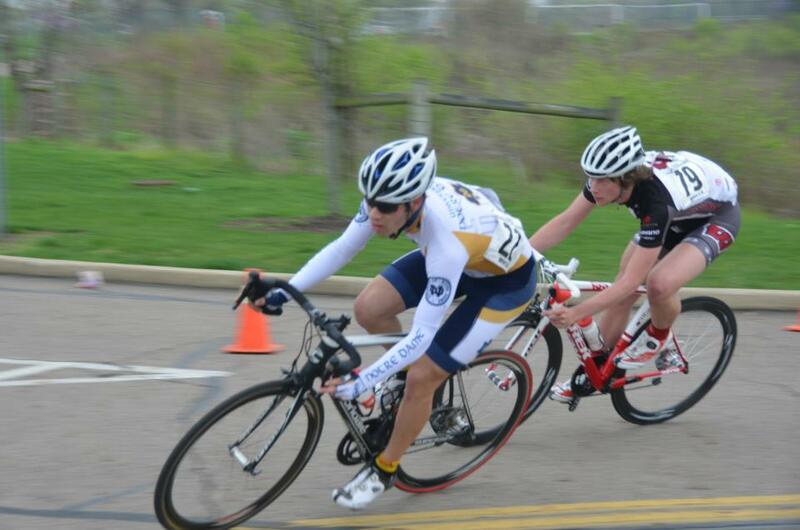 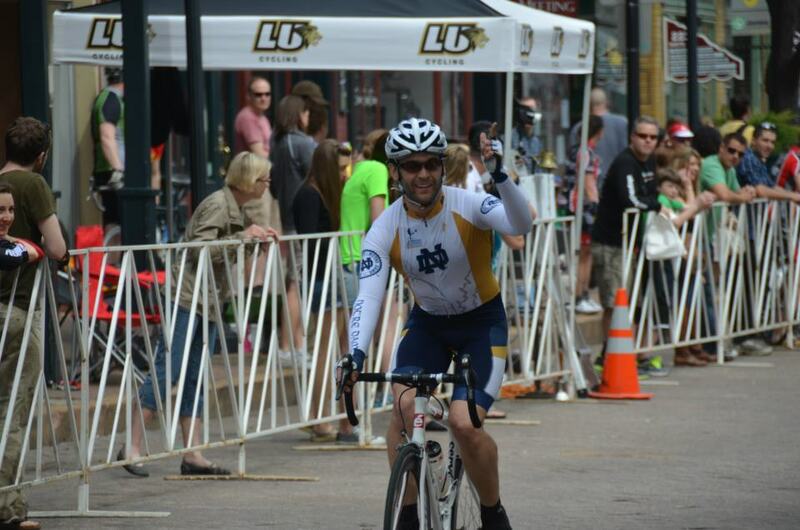 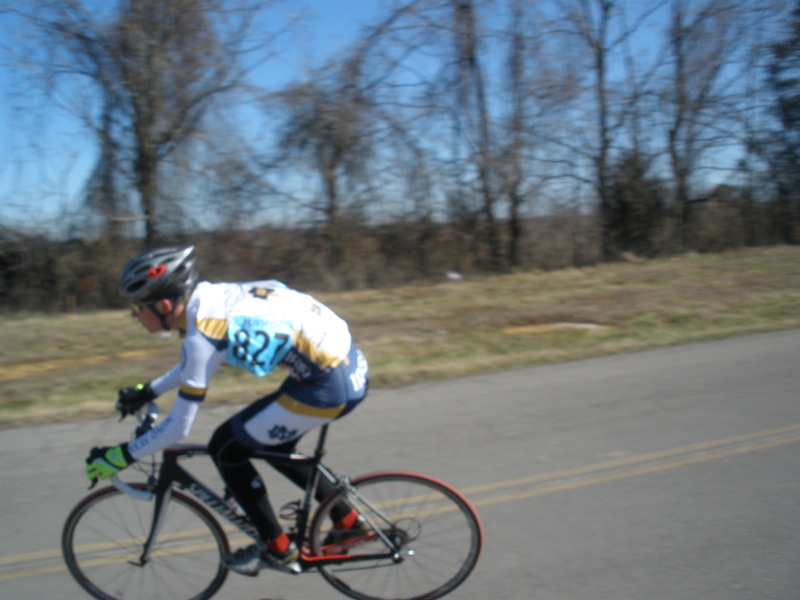 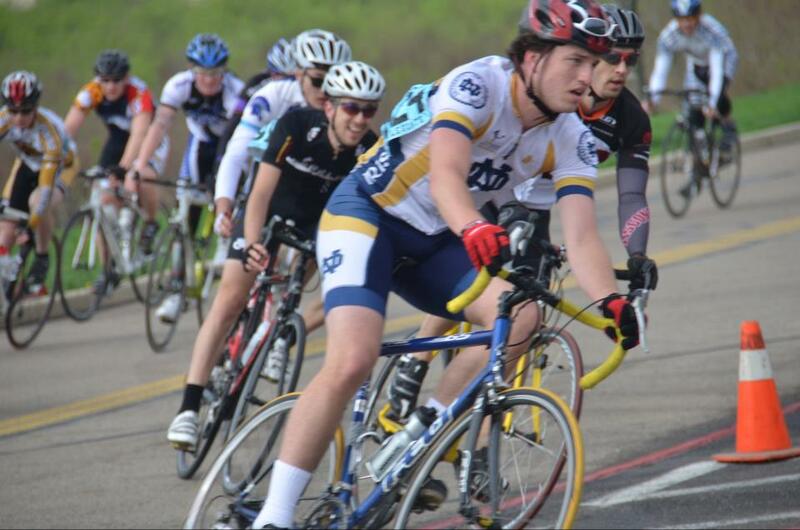 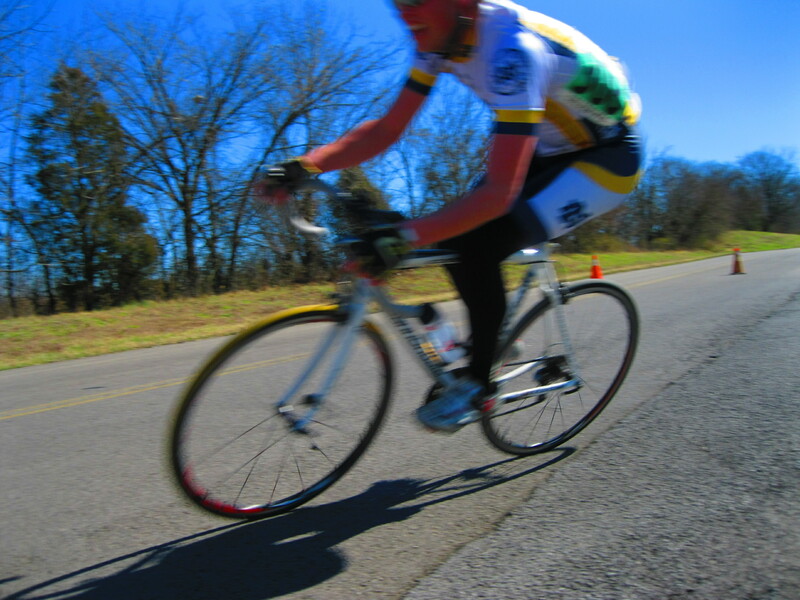 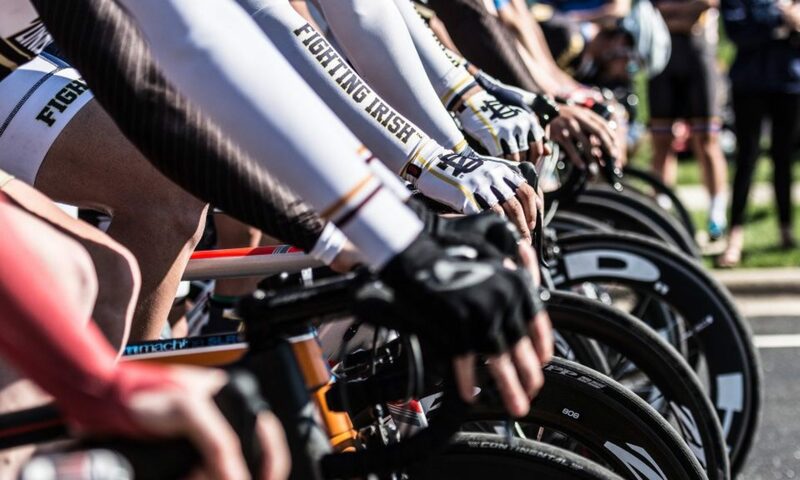 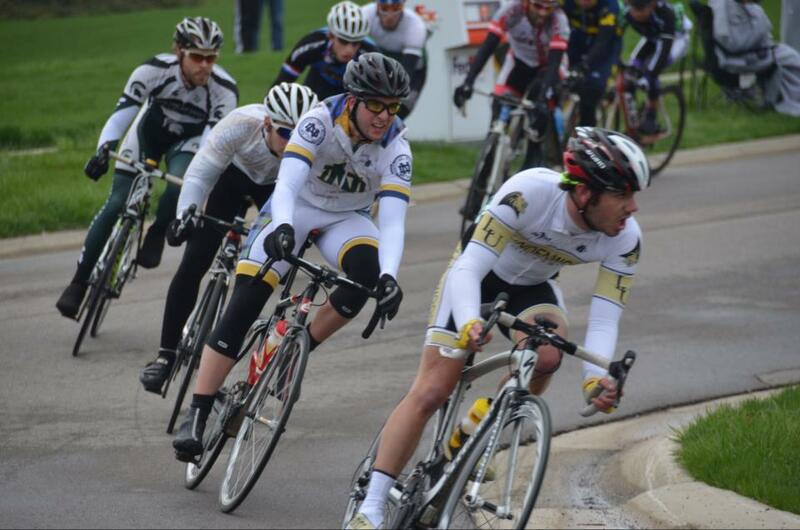 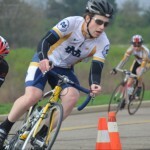 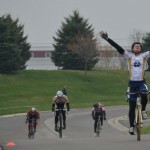 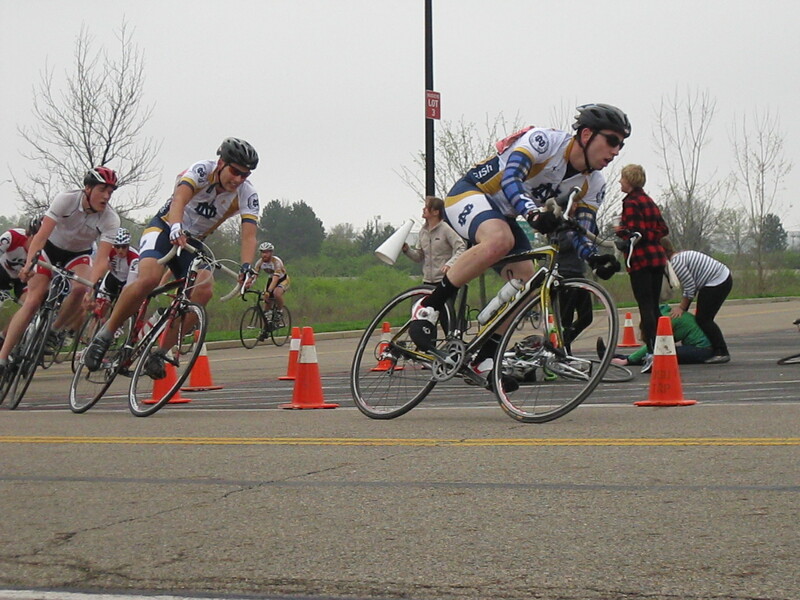 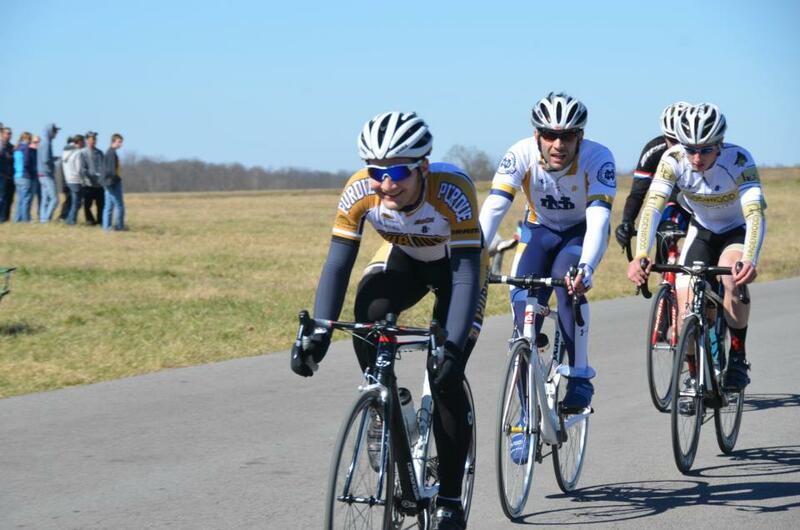 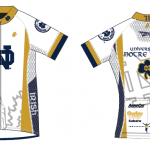 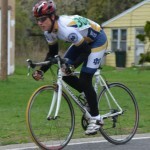 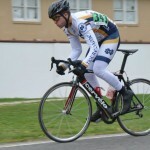 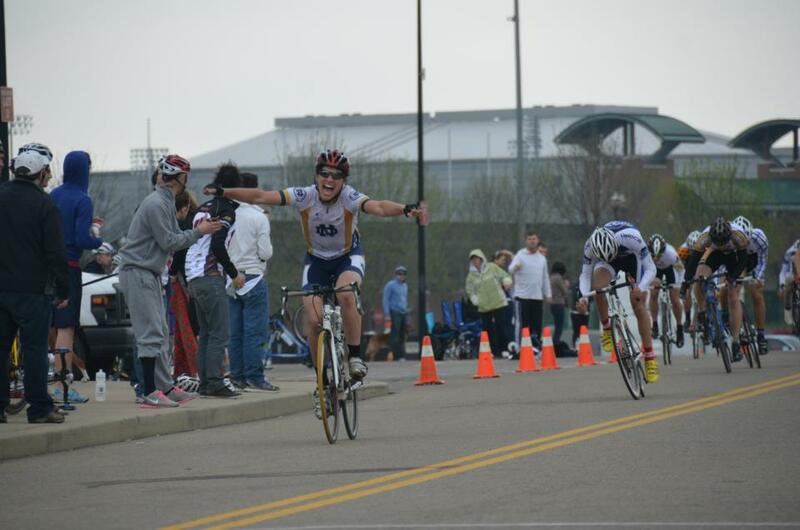 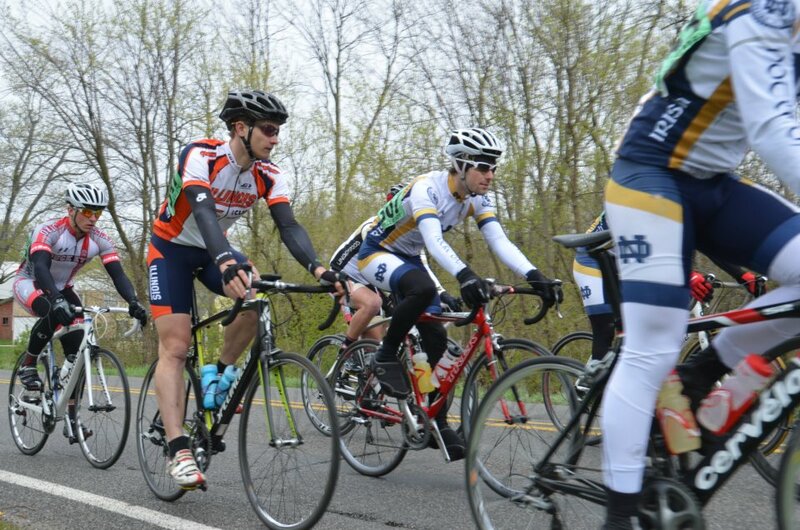 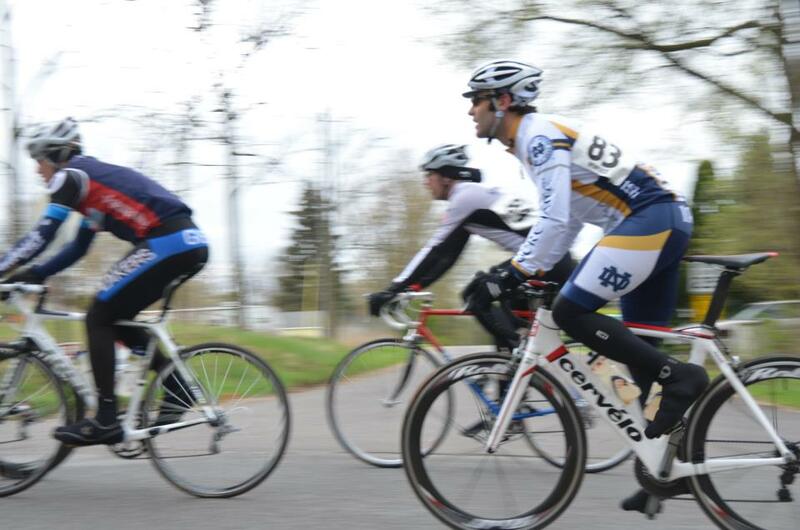 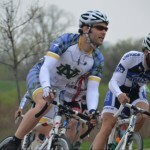 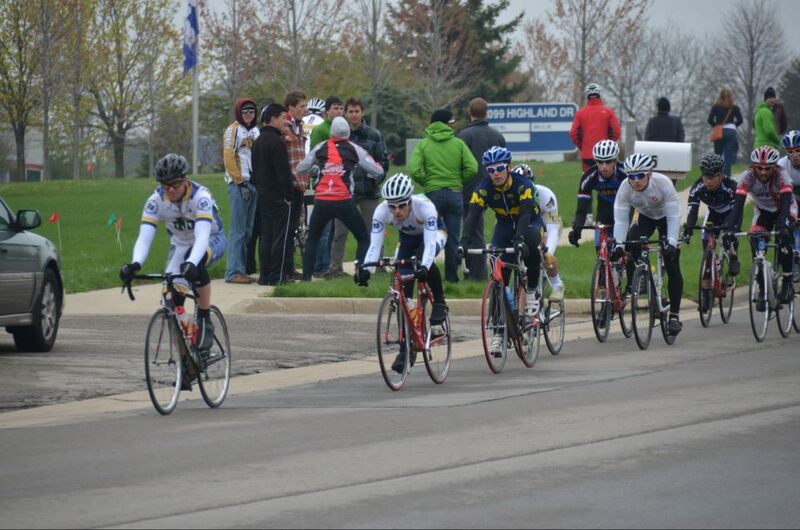 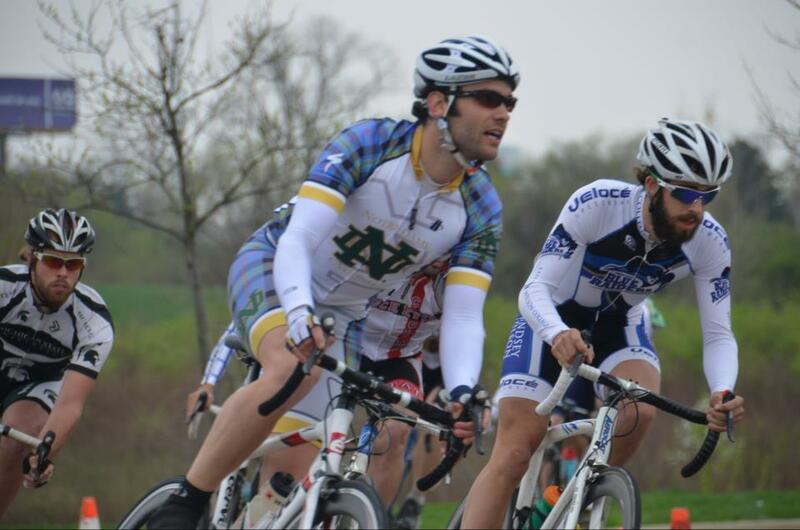 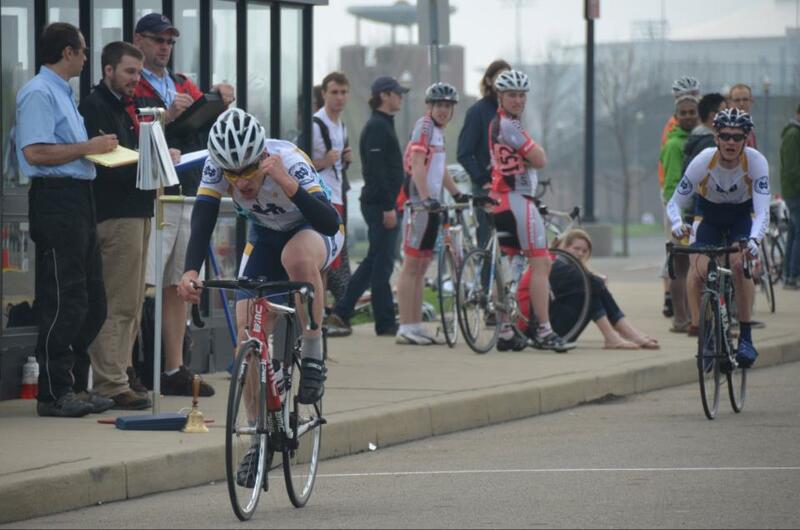 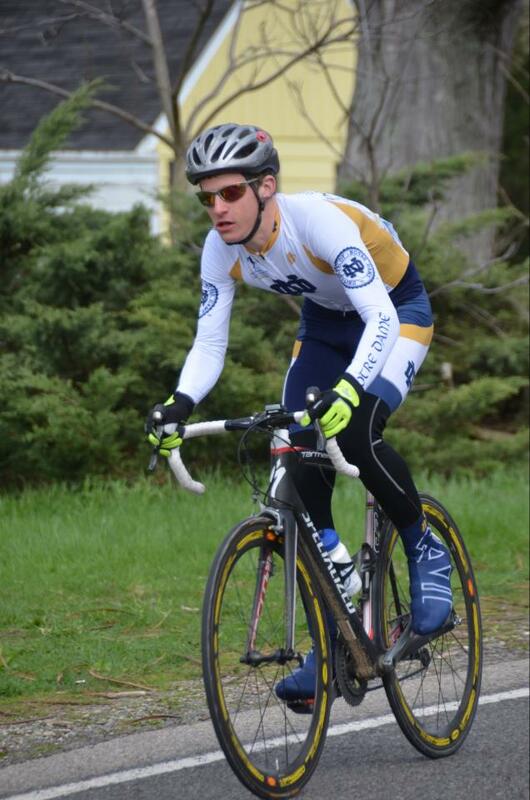 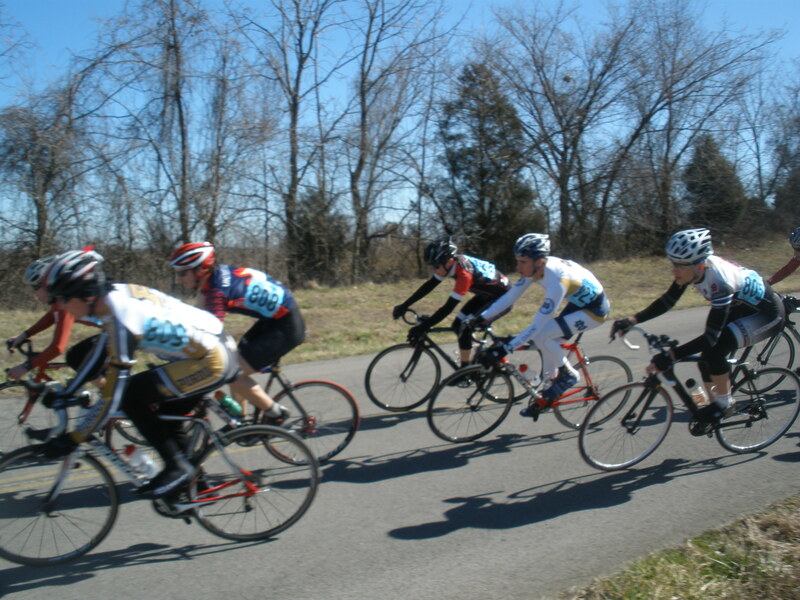 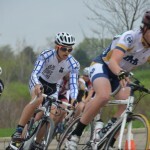 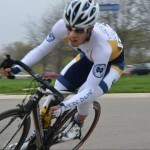 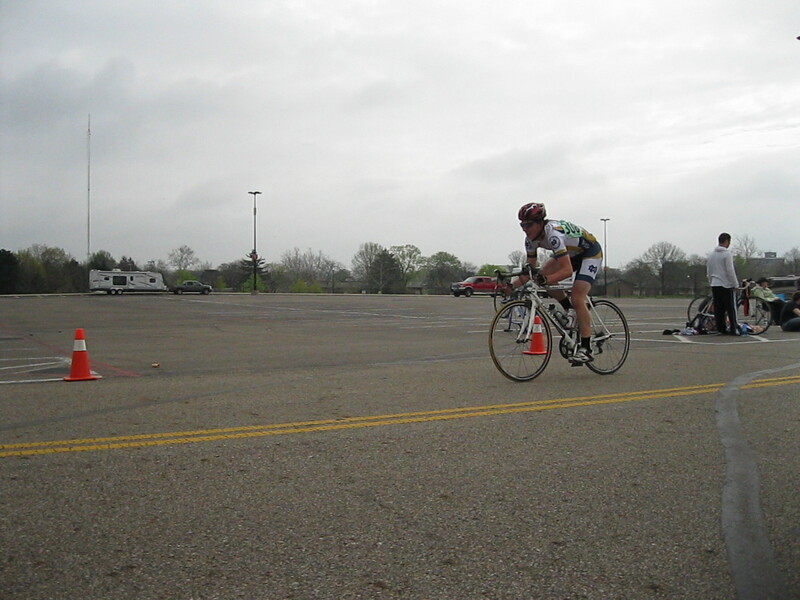 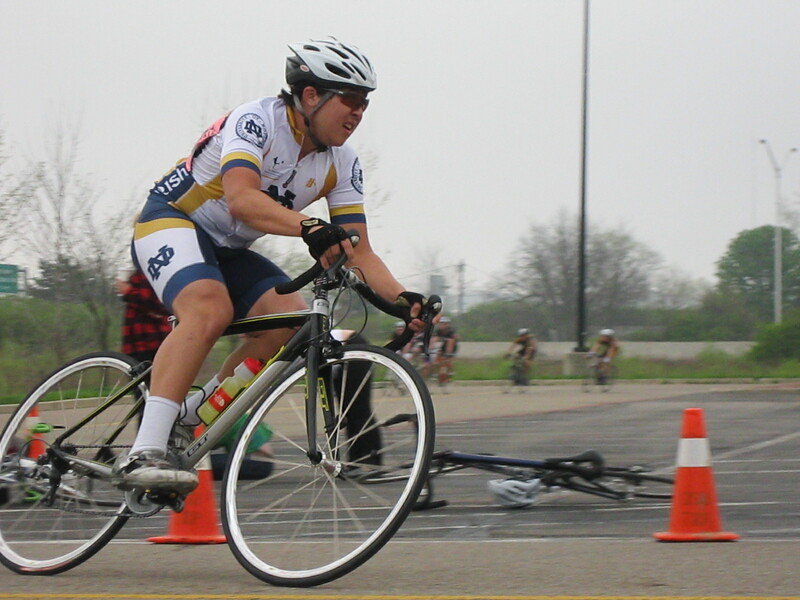 This past weekend, the top athletes in the Midwestern Collegiate Cycling Conference descended upon South Bend for the regional conference championships. 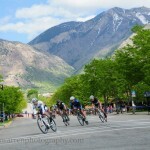 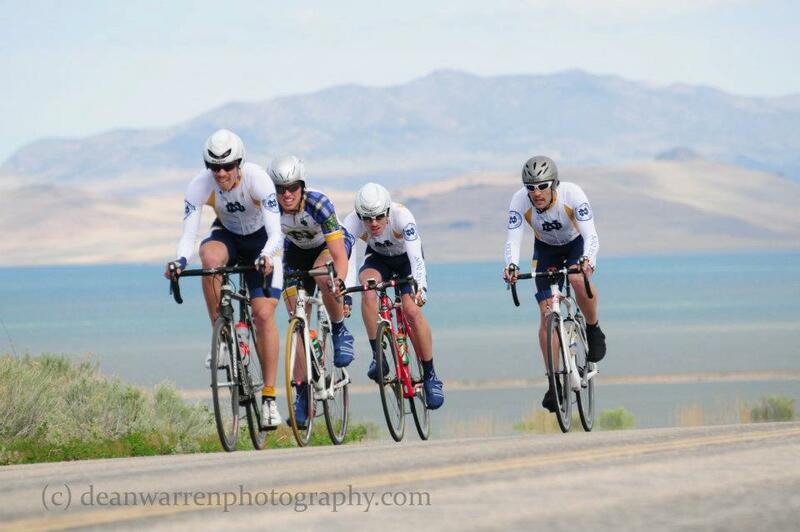 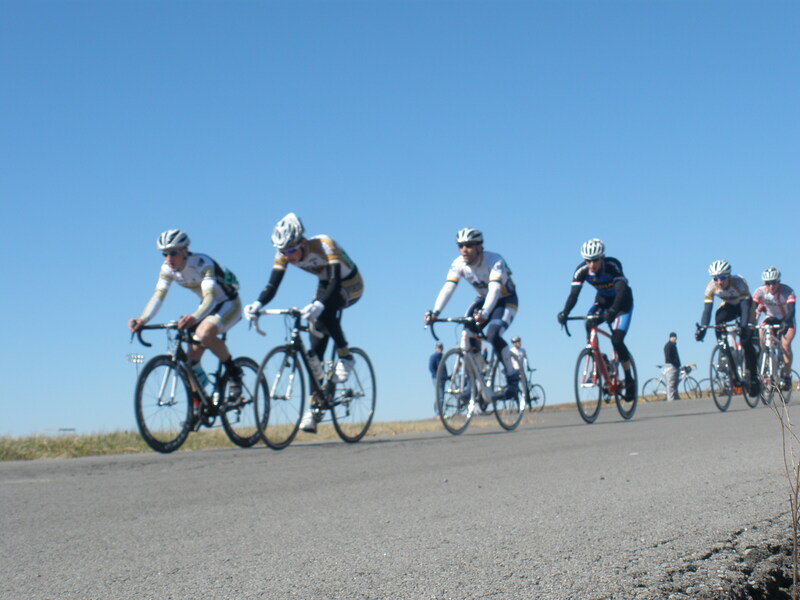 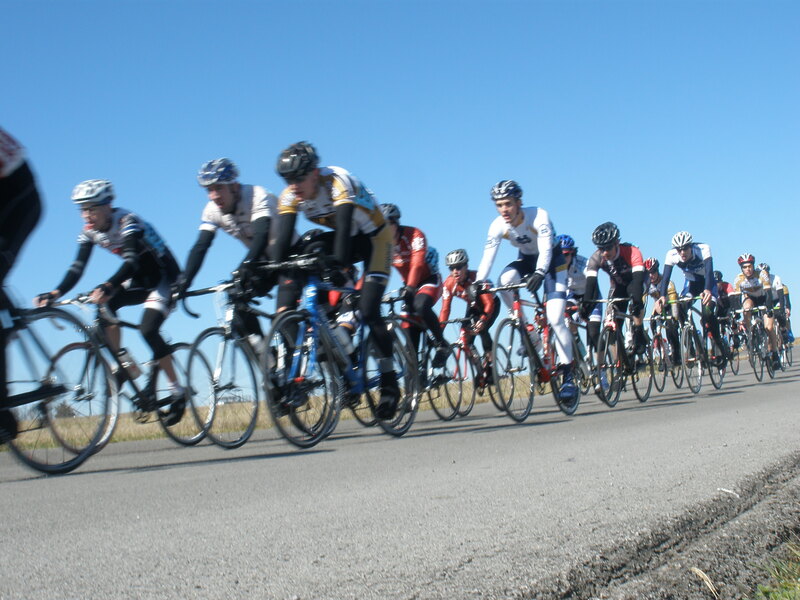 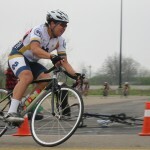 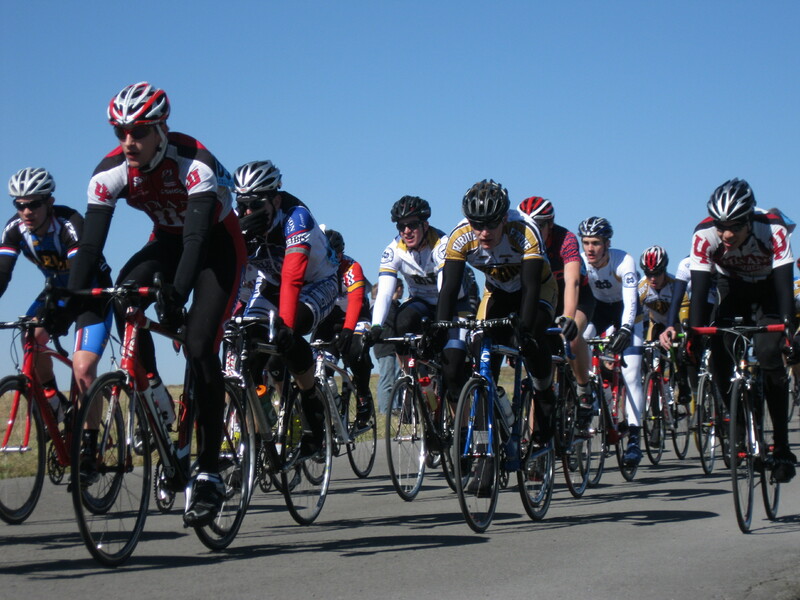 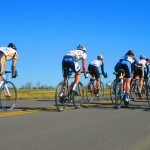 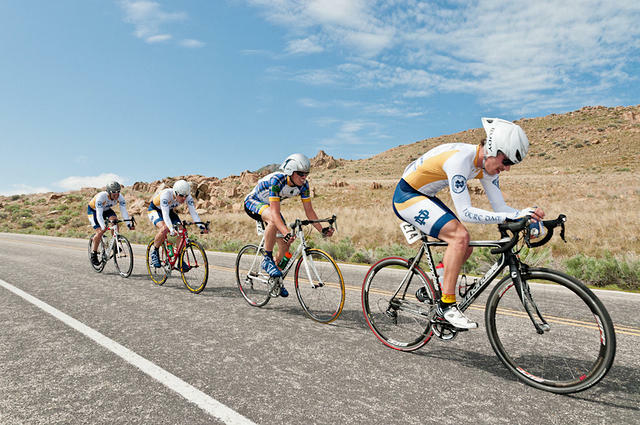 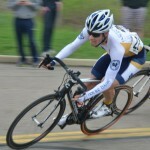 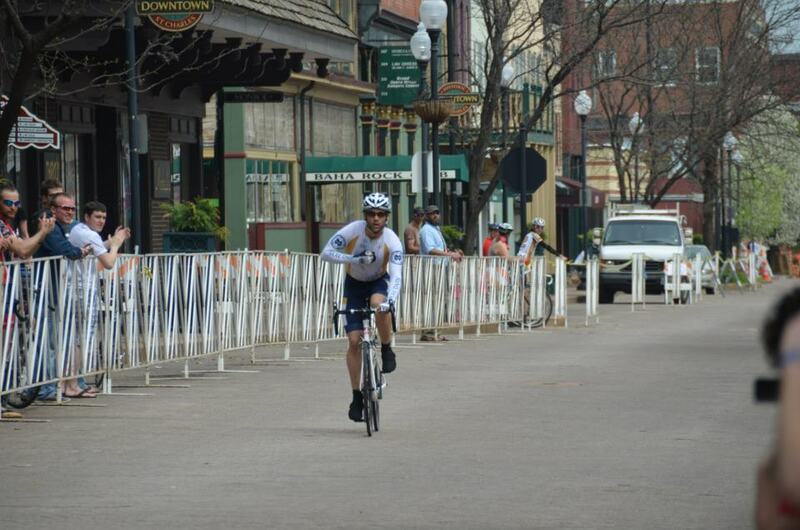 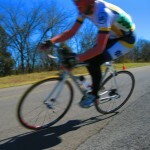 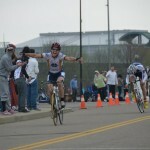 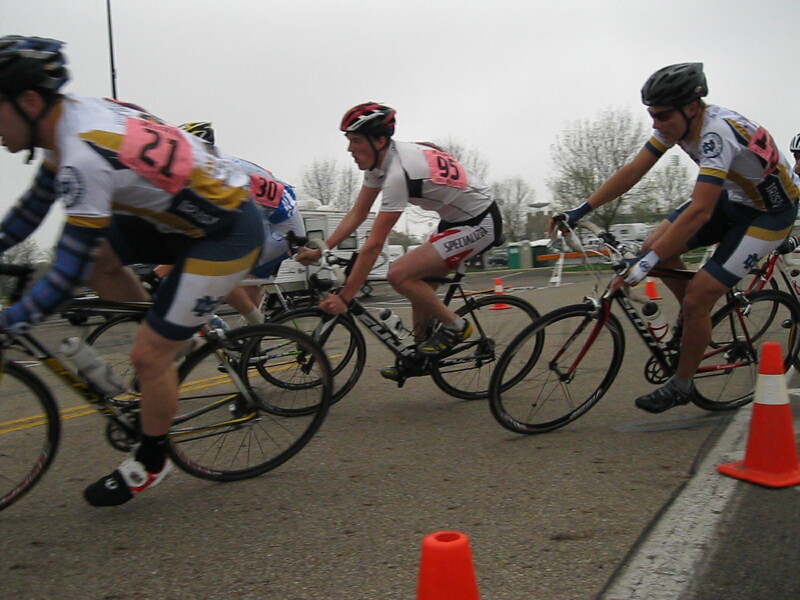 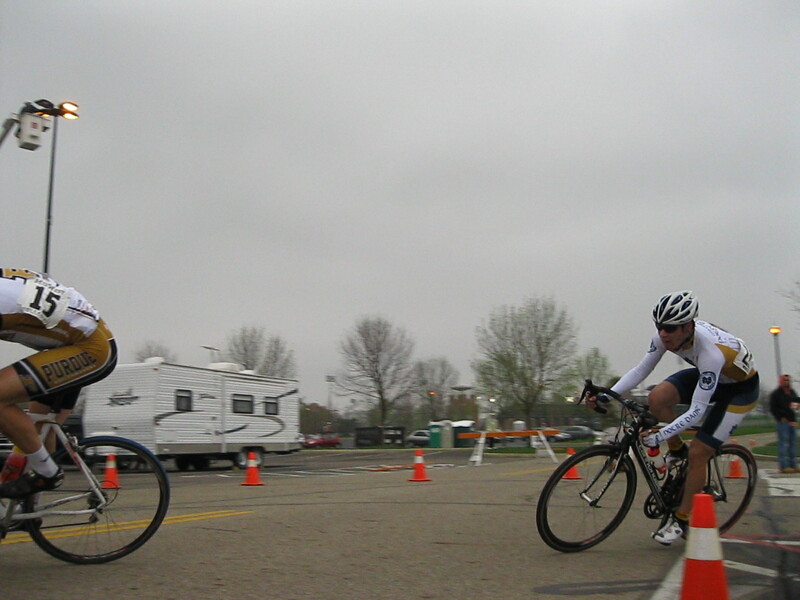 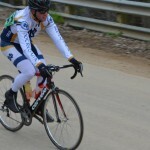 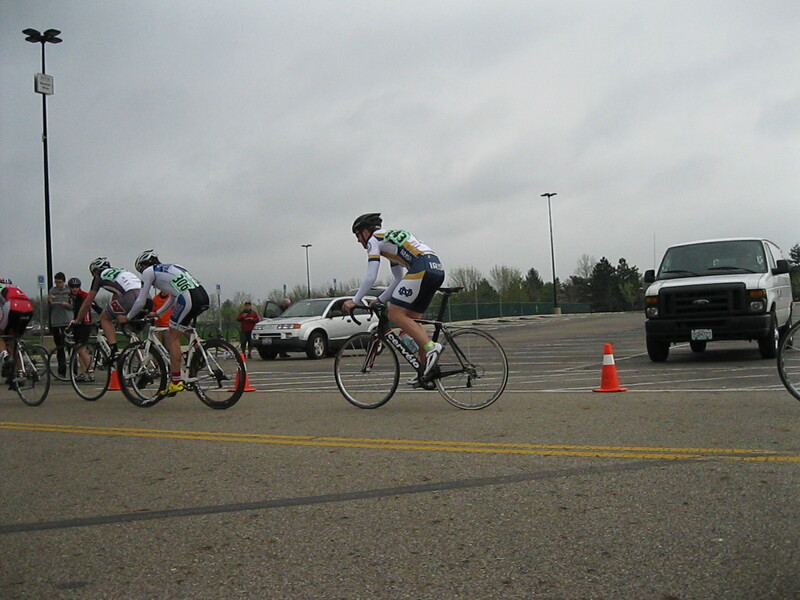 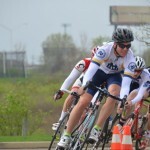 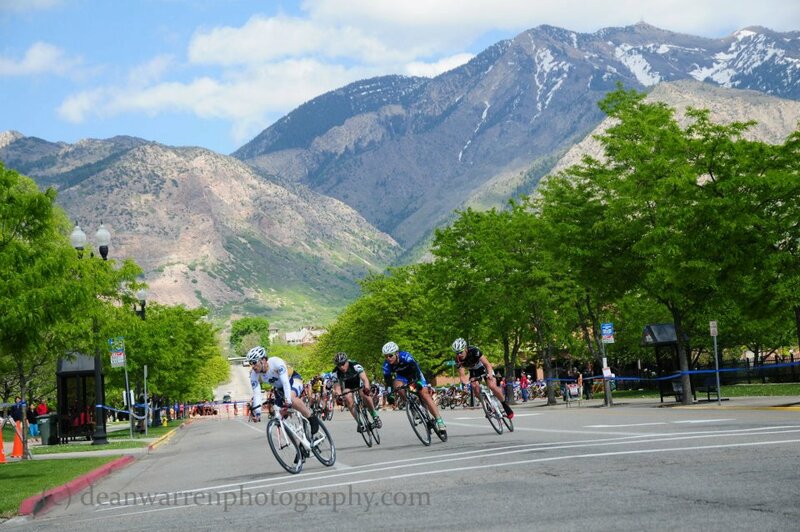 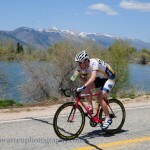 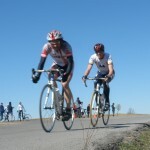 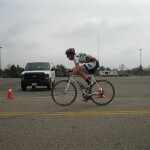 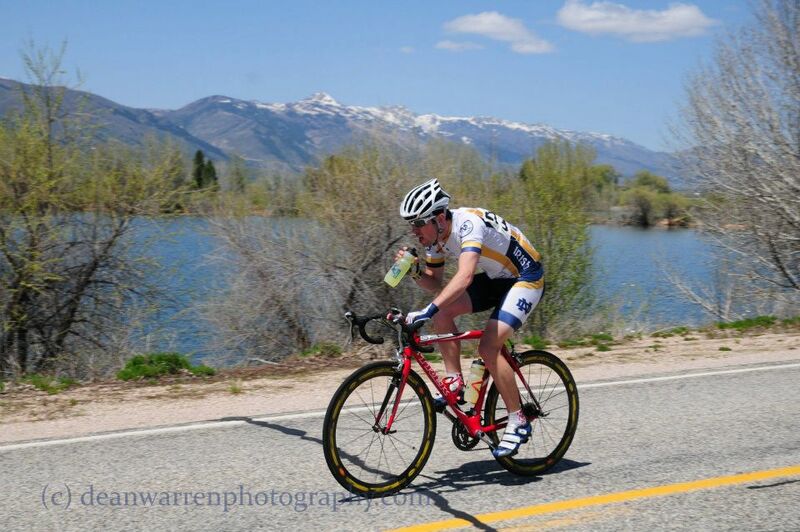 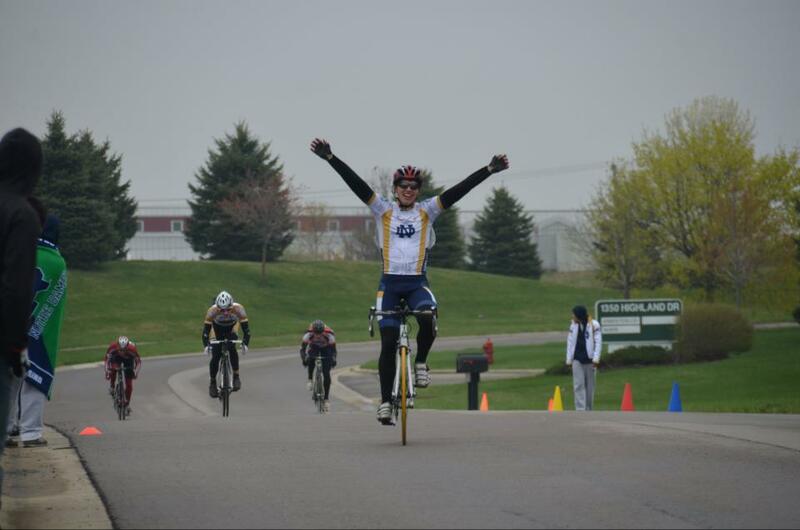 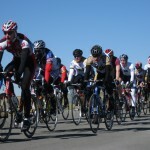 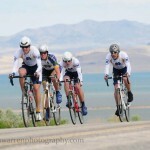 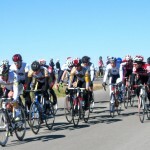 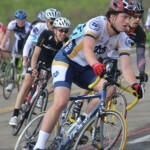 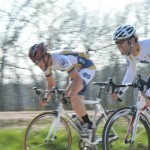 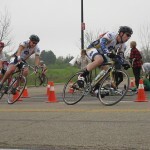 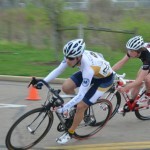 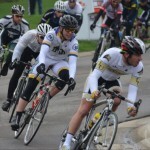 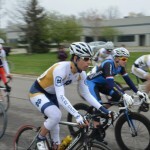 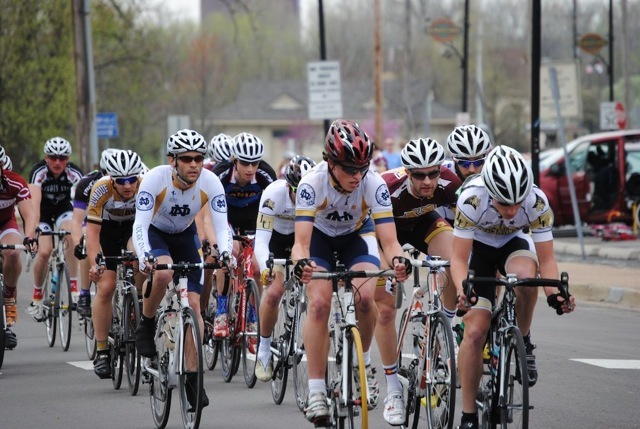 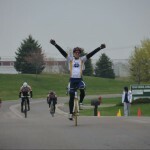 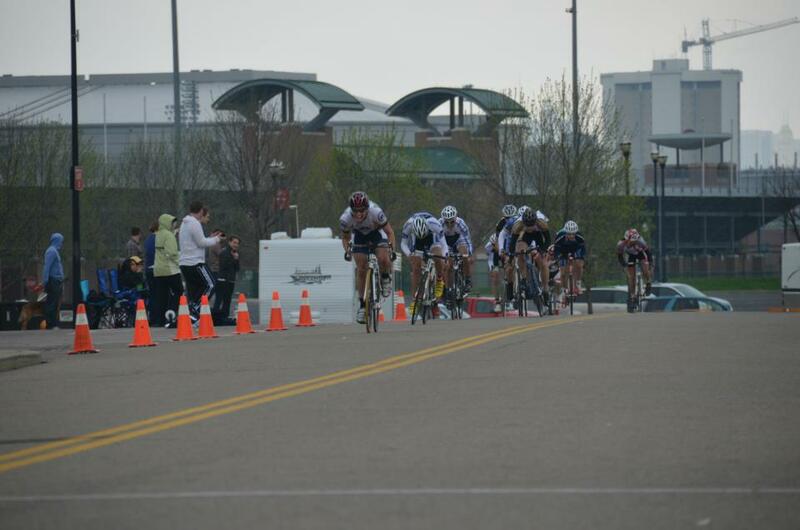 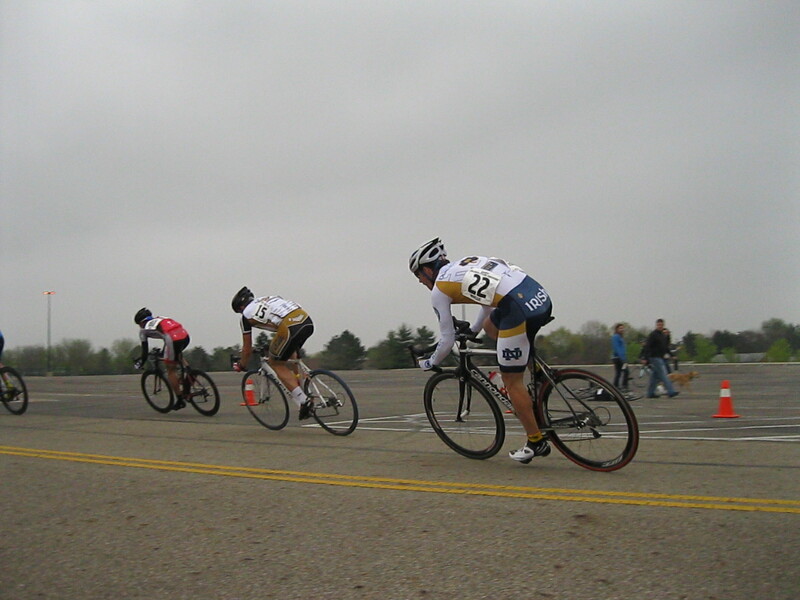 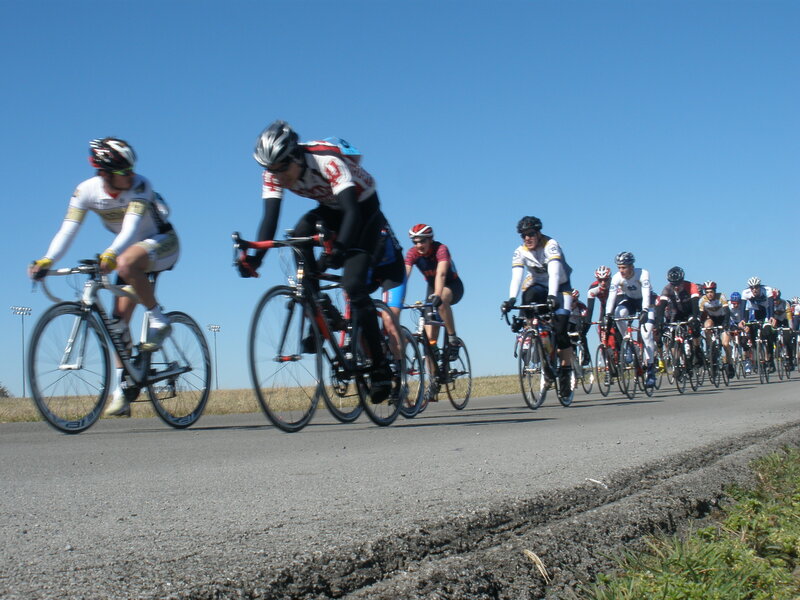 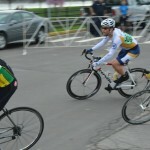 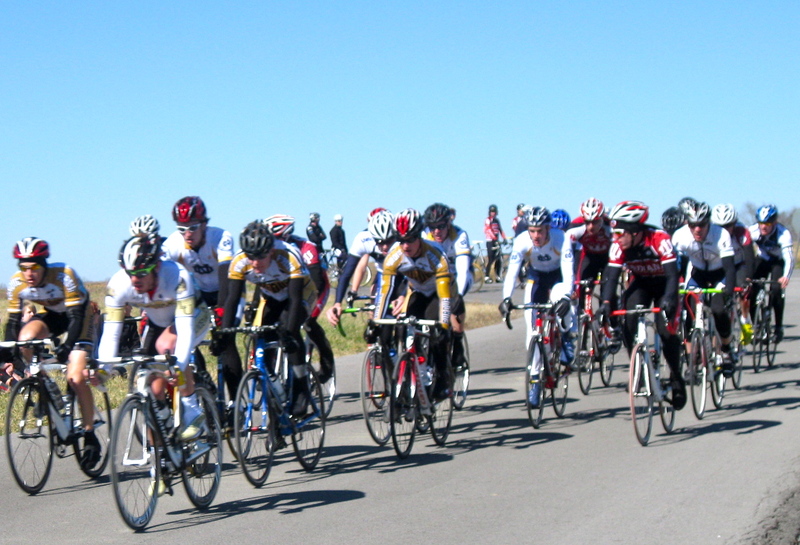 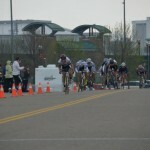 Nearly 200 cyclists rolled up to compete for coveted spots at the collegiate national championships in Ogden Utah. 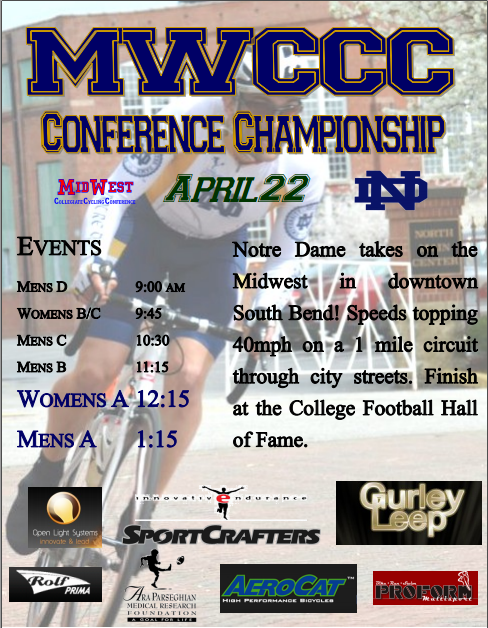 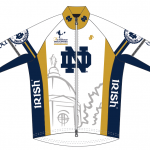 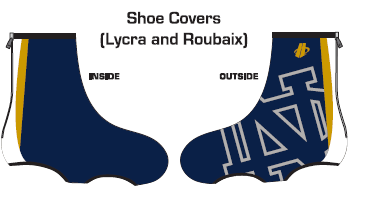 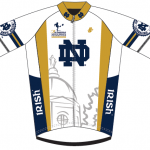 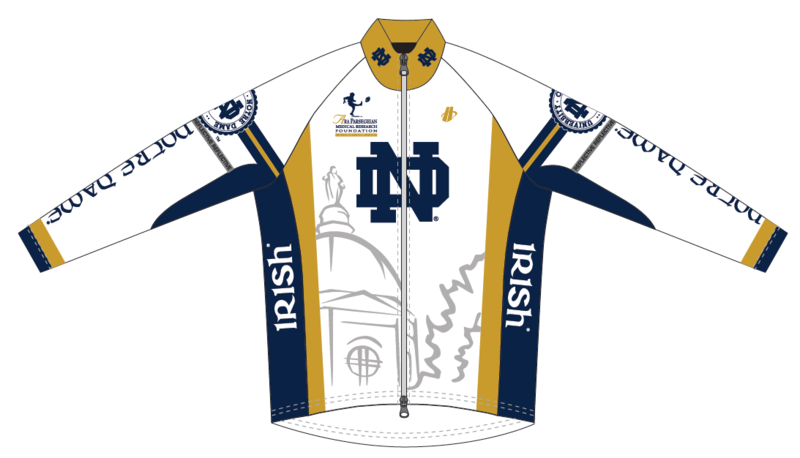 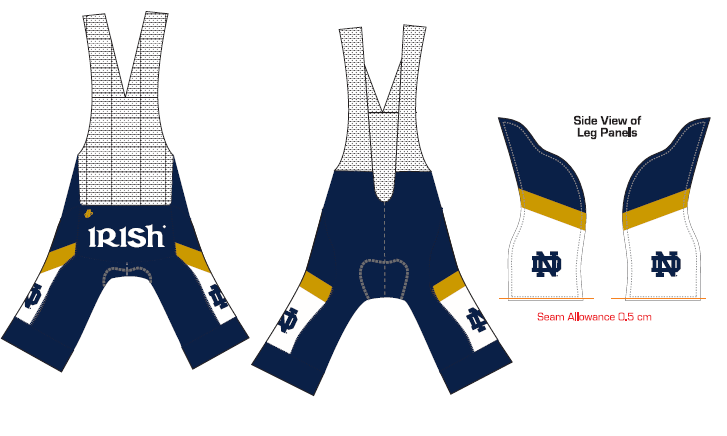 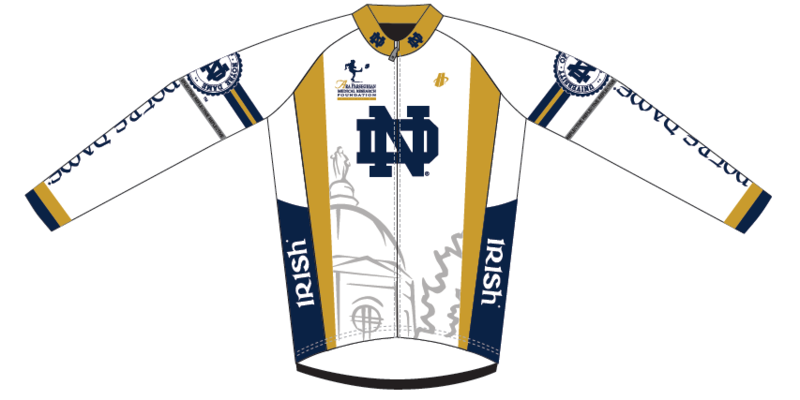 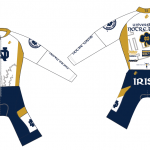 Looking to cement their second consecutive conference championship, Notre Dame brought nearly 20 riders to build on the lead they had created all season. 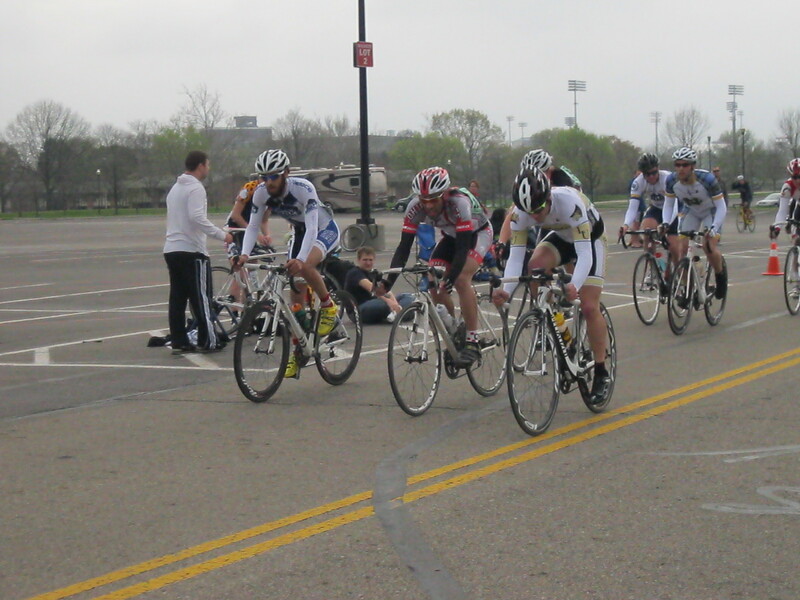 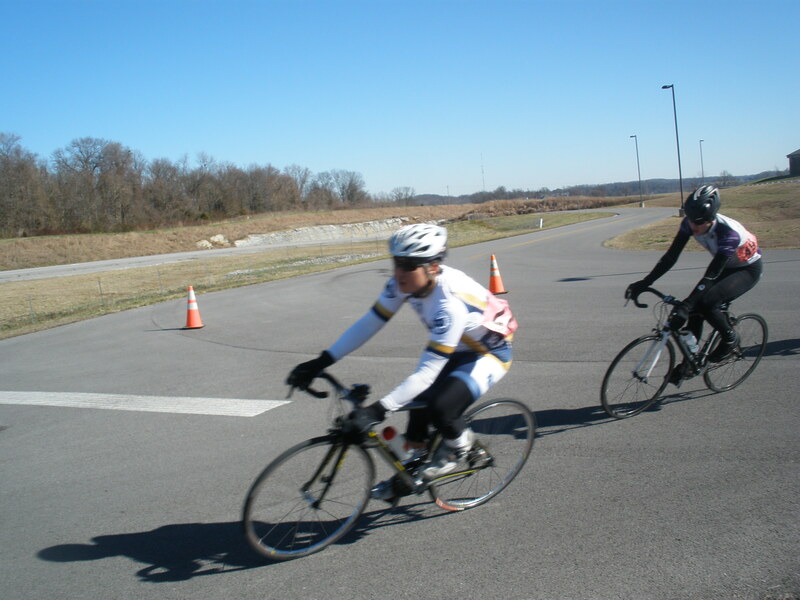 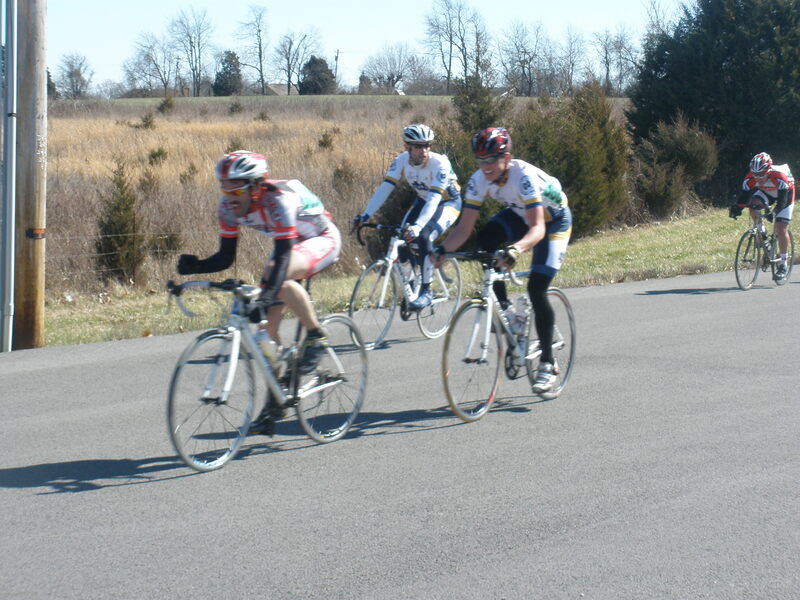 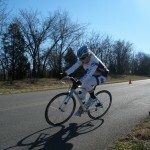 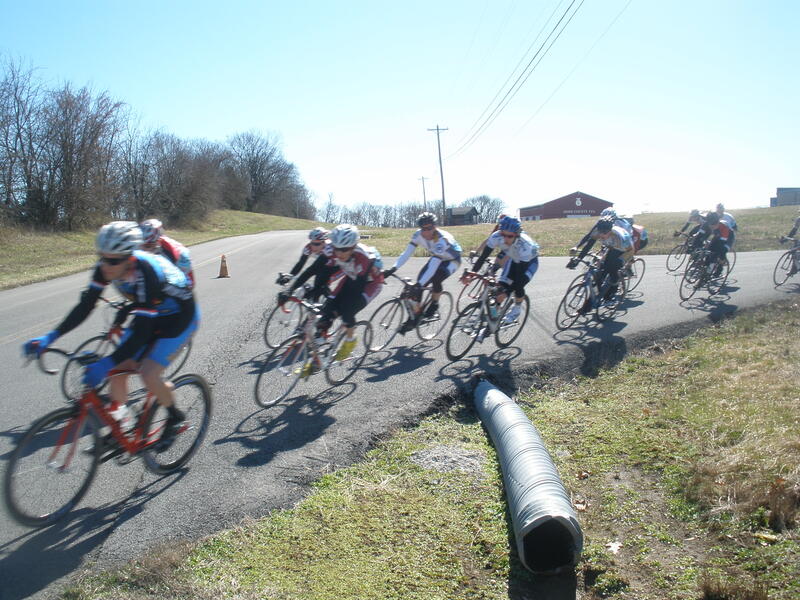 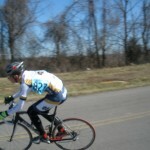 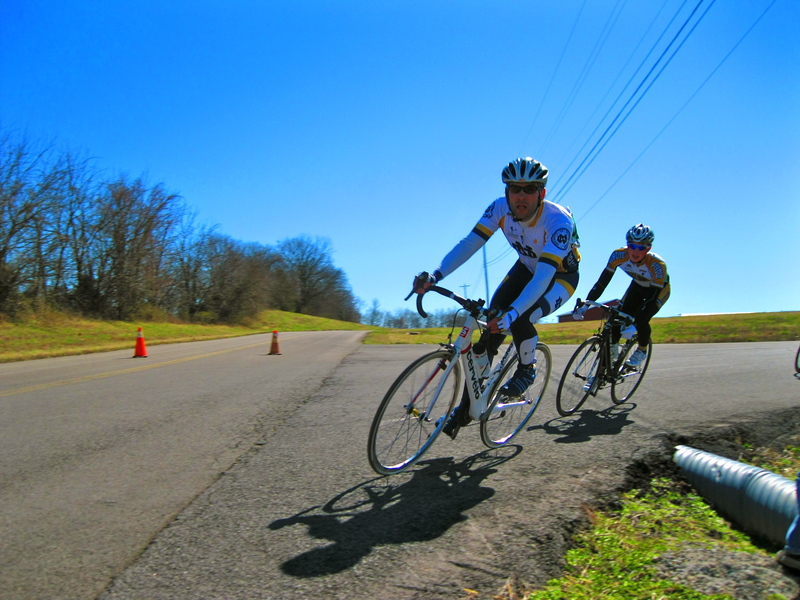 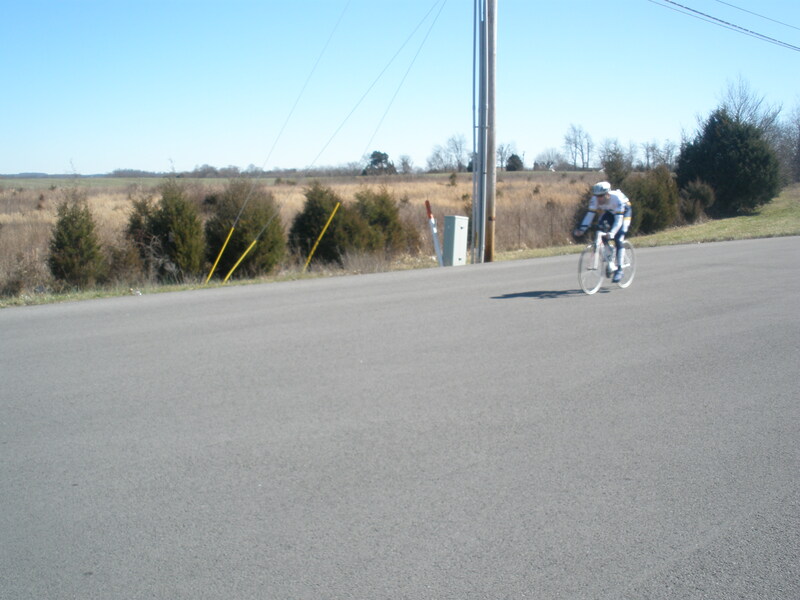 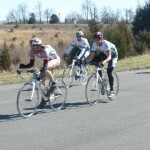 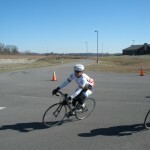 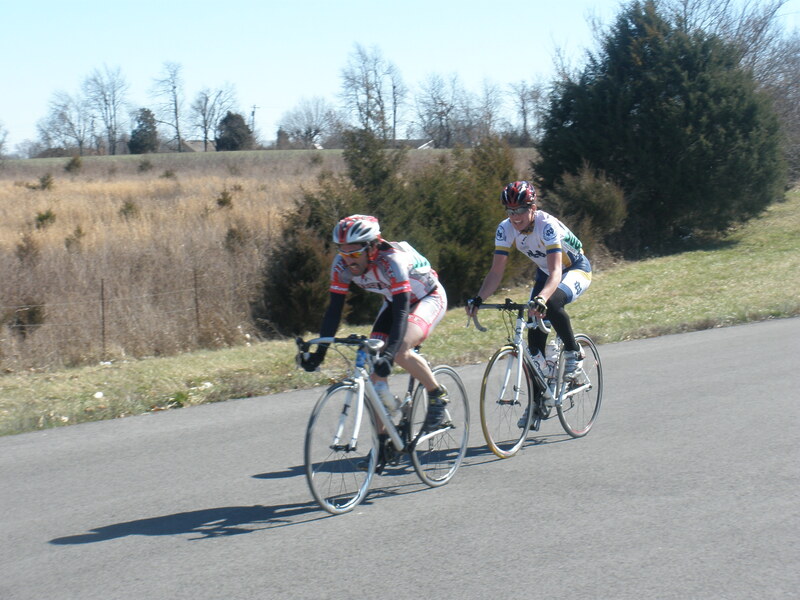 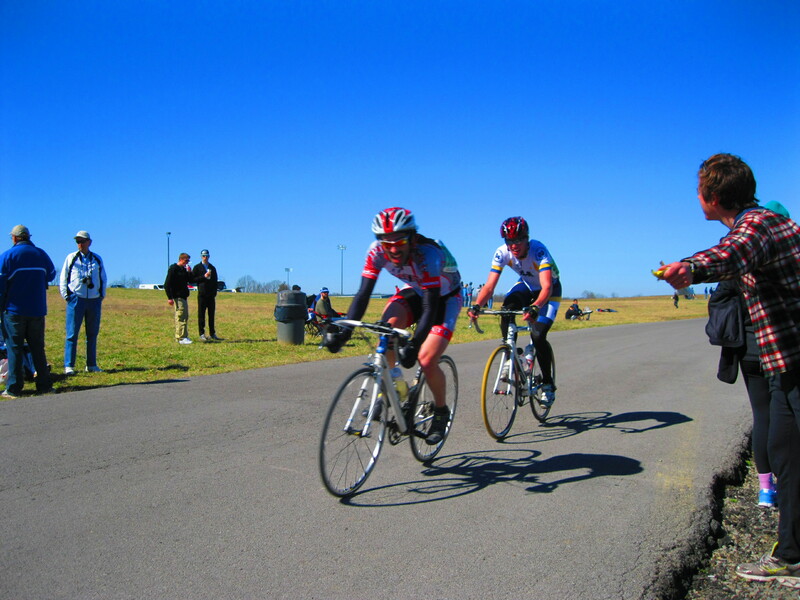 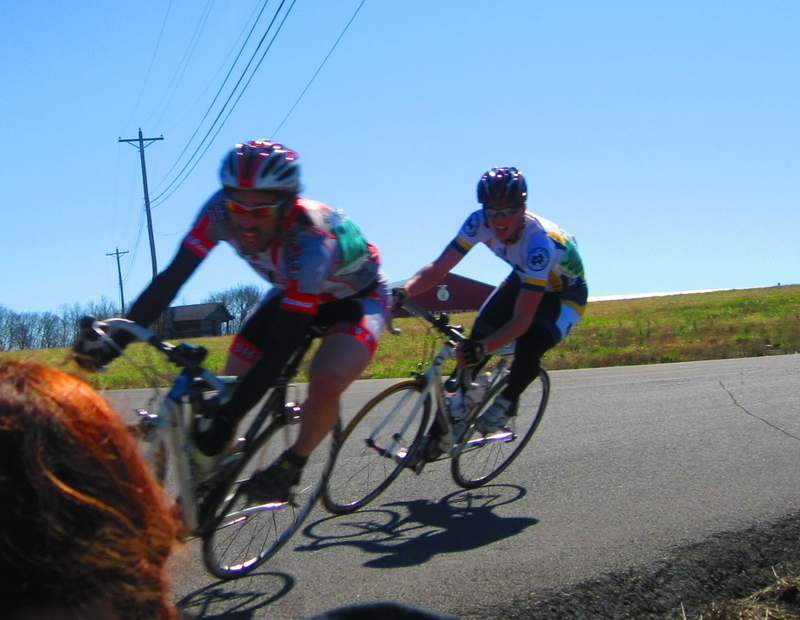 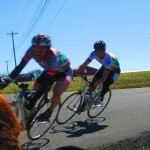 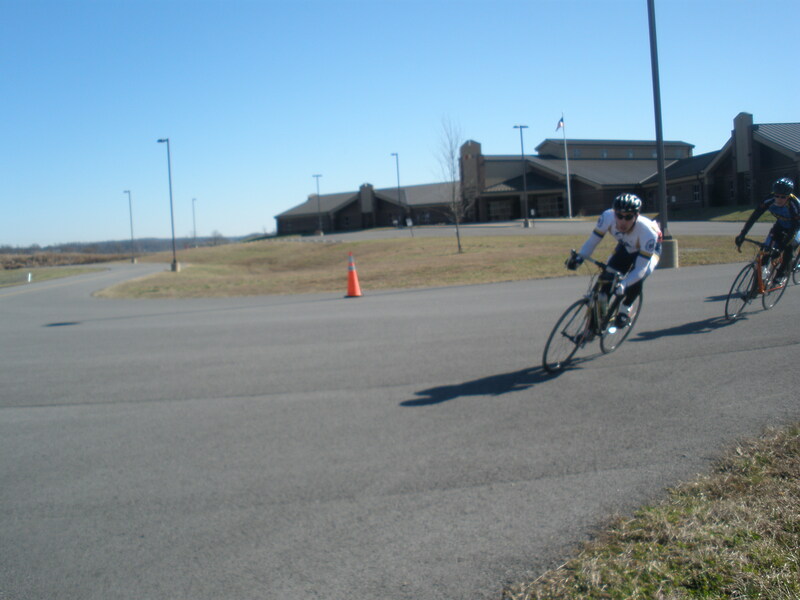 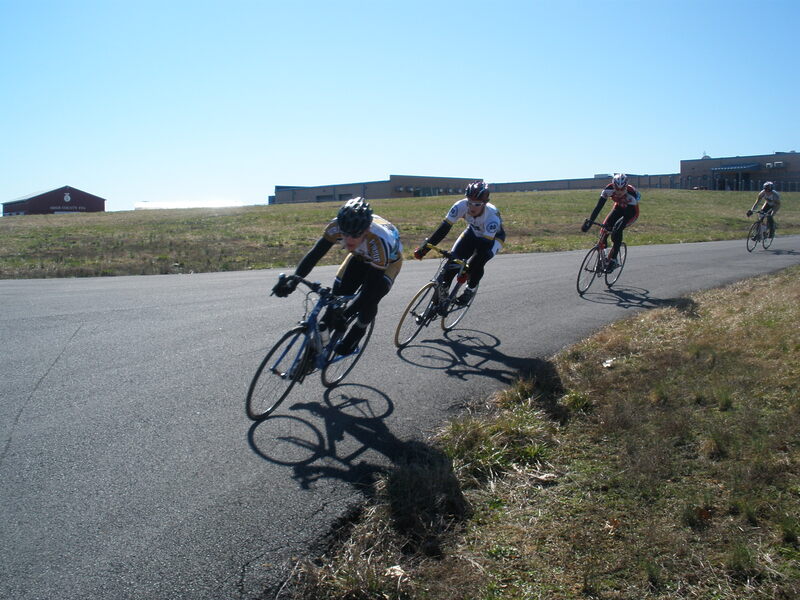 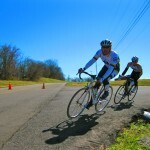 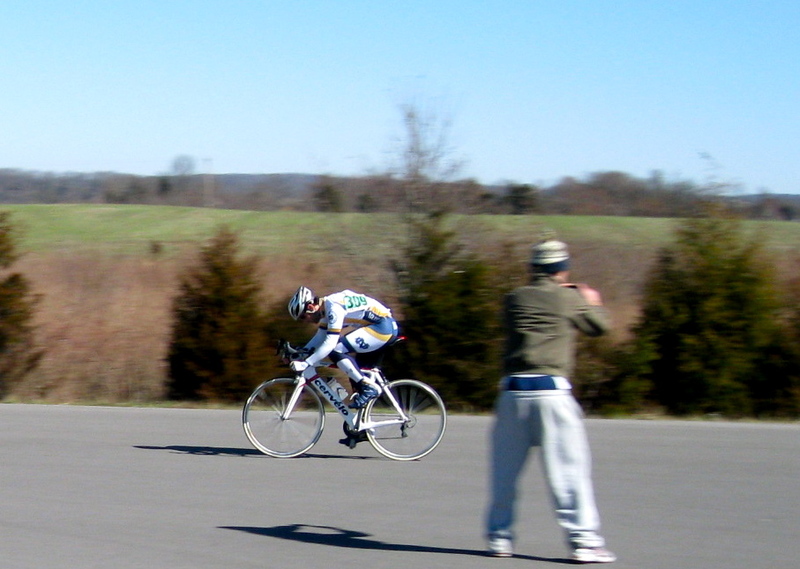 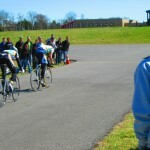 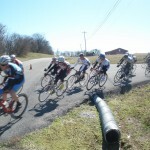 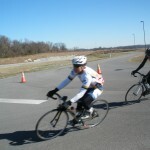 The first event of the weekend was the team time trial. 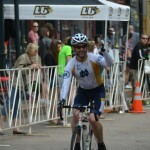 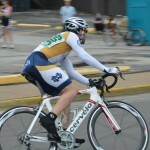 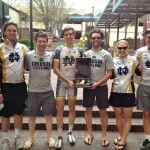 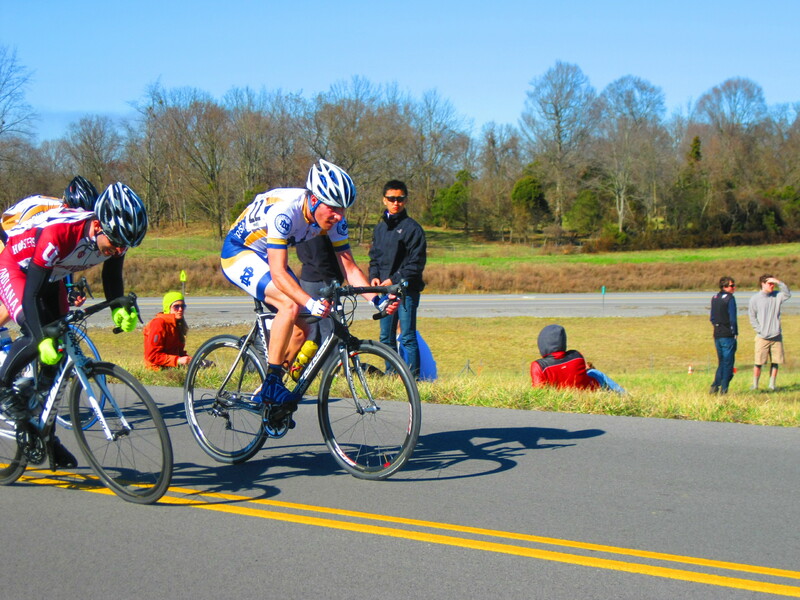 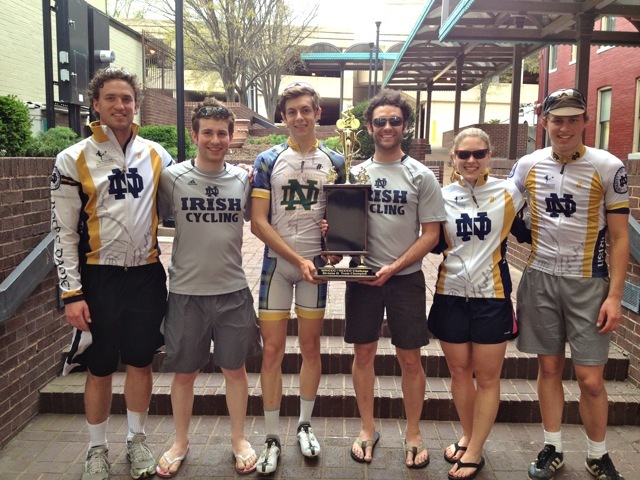 While also organizing the race, the Irish turned in several solid performances. 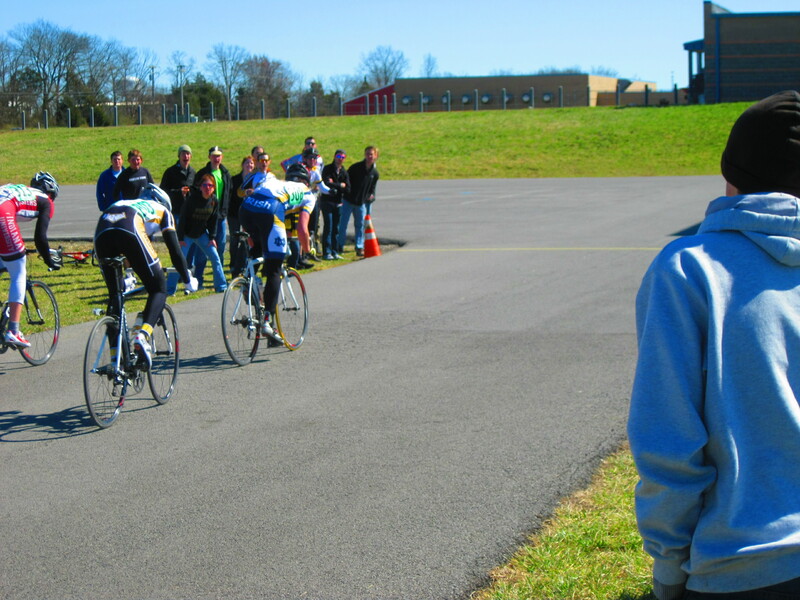 Both the Men’s D and Men’s C units earned wins and spots as conference champions, while the Men’s B squad earned 2nd place and Men’s A snagged important points with 5th. 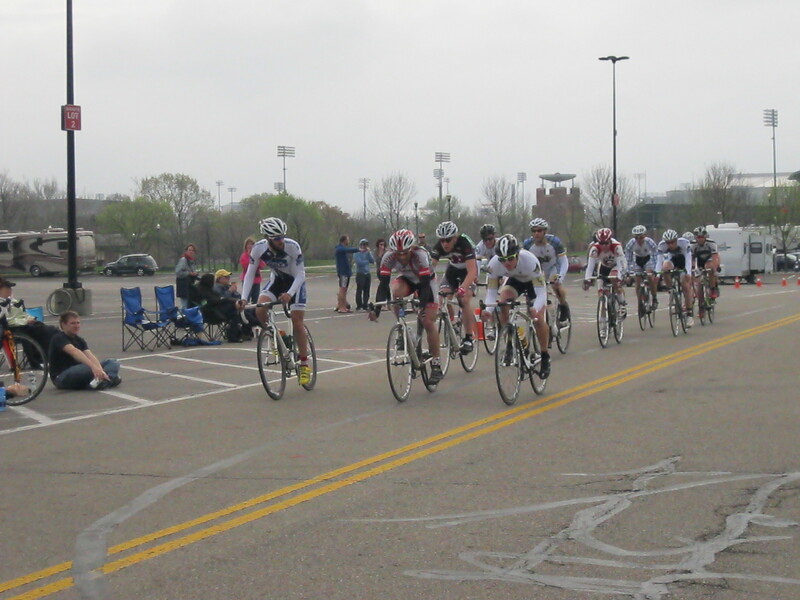 After a quick turn-around, the Road Race was under way. 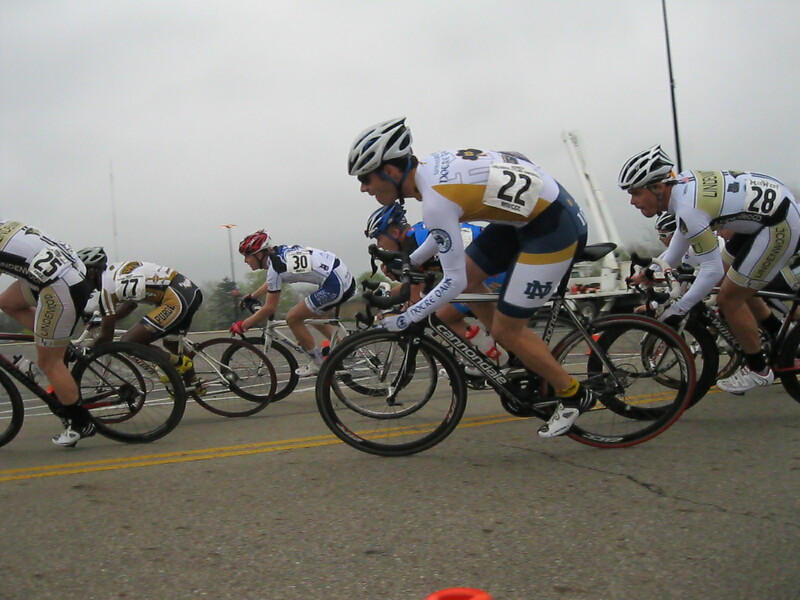 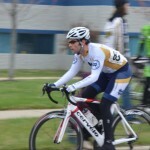 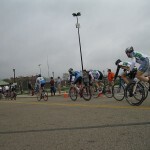 The teams raced laps of a 15 mile course in rolling terrain south of downtown South Bend, and the races were animated all day with flurries of attacks and fast finishing sprints. 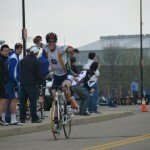 In Men’s D, Junior Phil Palmon was the top finisher for the Irish in 5th. 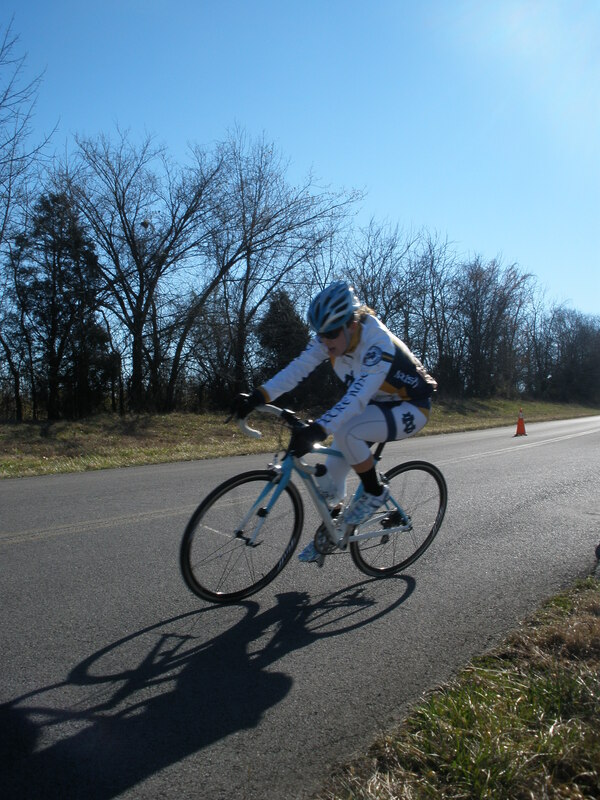 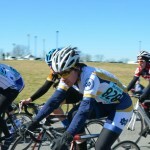 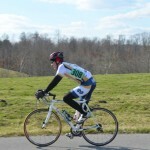 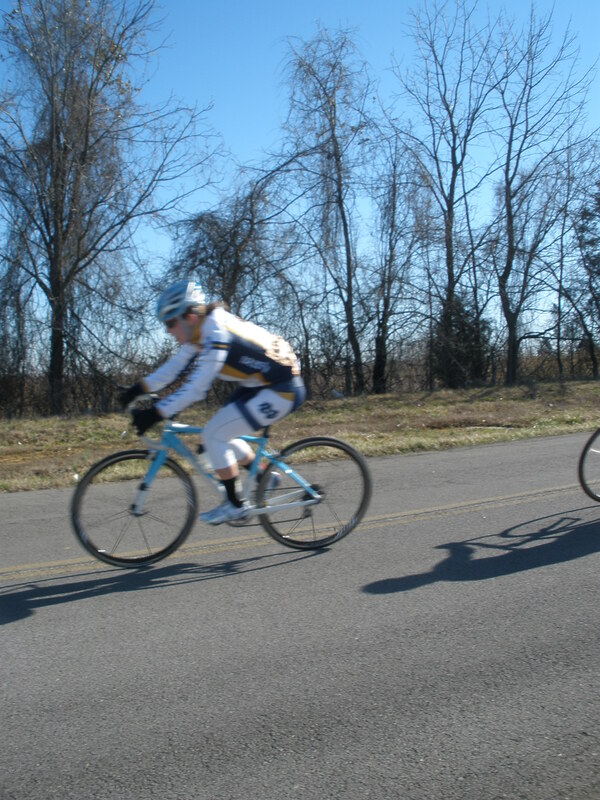 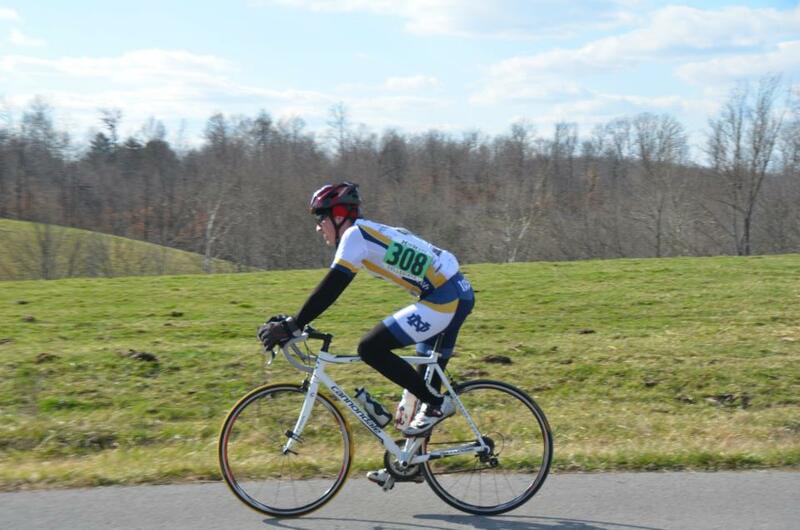 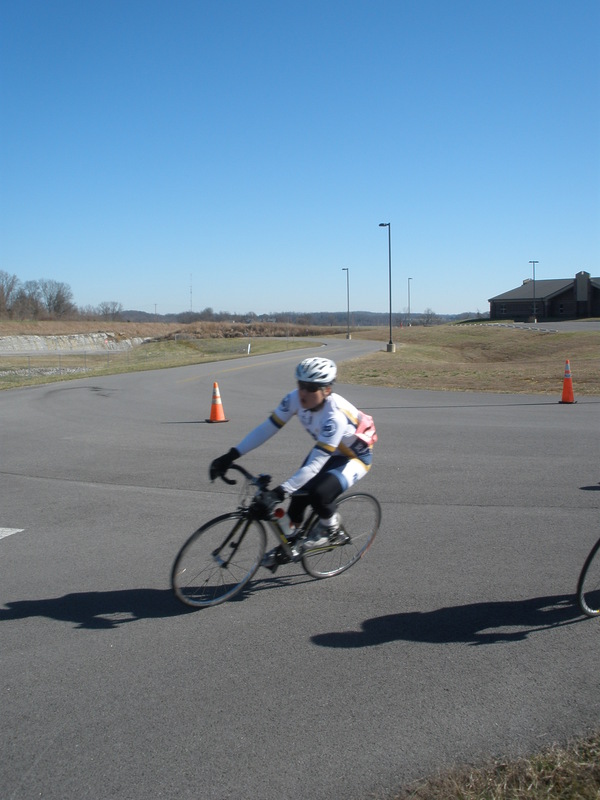 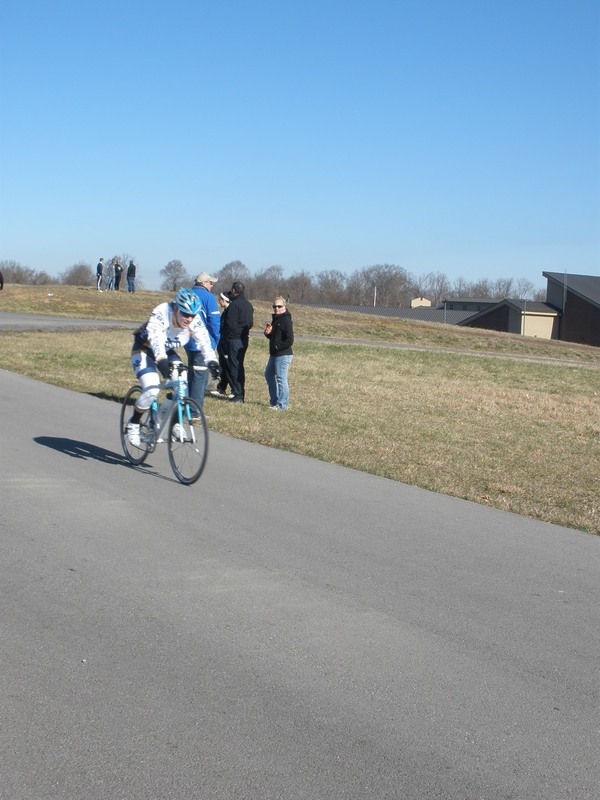 Next, Sophomore Carolyn McCann fought hard for 7th place in the Women’s B/C field. 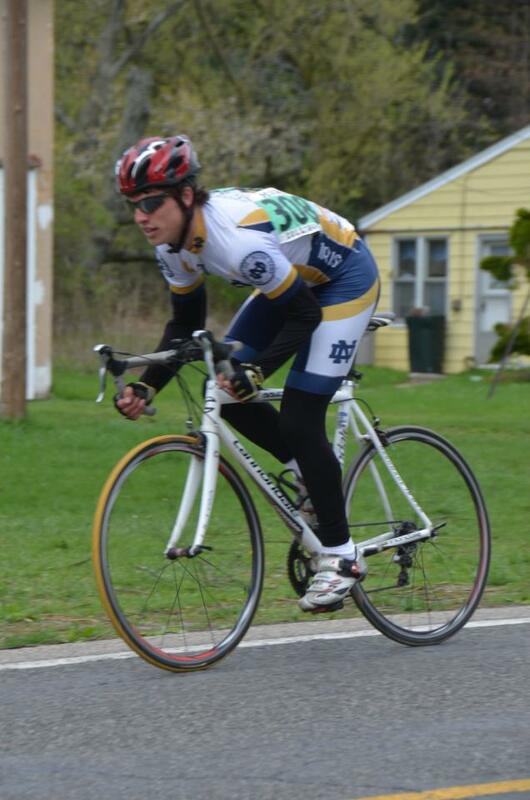 Junior Josh Corcoran continued the strong efforts from the Irish on the day with 5th in the Men’s C field, and in Men’s B three Notre Dame athletes placed in the top 10 with Junior Brian Hurley at 2nd, Sophomore Luke Tilmans in 5th and Freshman Jim Snitzer at 9th. 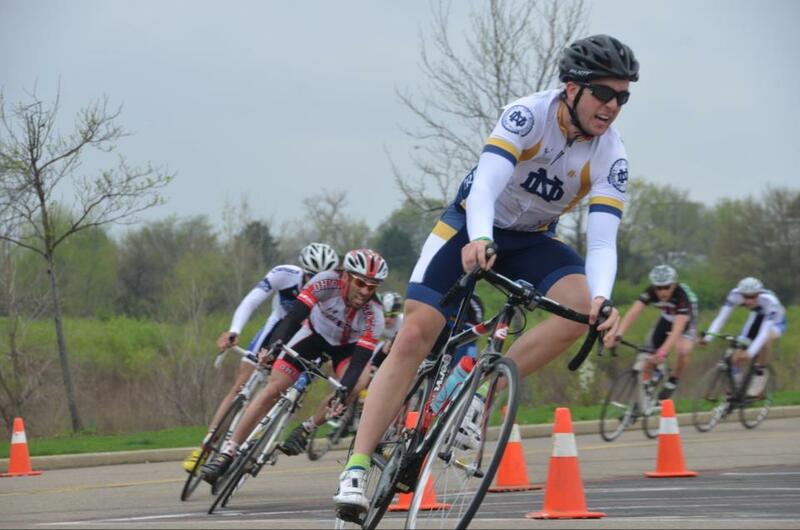 Finally, in the ultra-competitive Men’s A field, all six Notre Dame men finished in the main field, with points coming from grad student Doug Ansel in 13th and Freshman John Pratt in 17th. 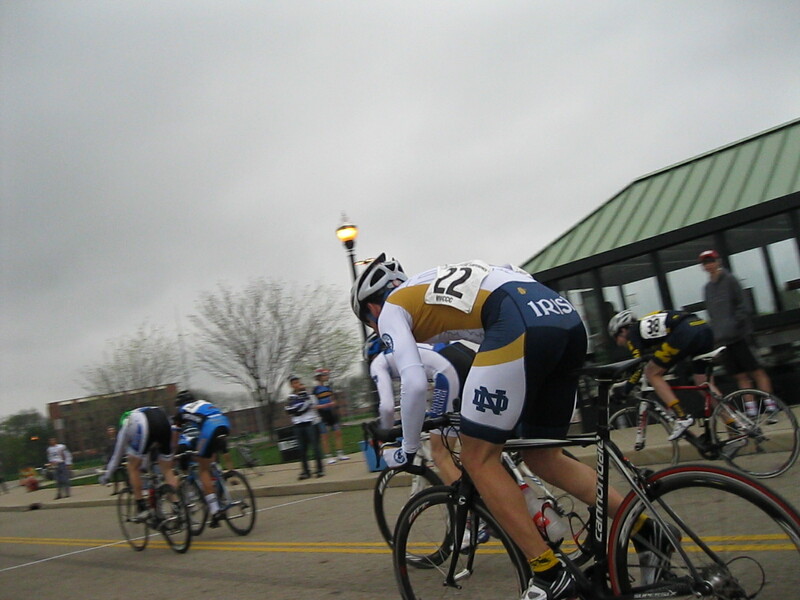 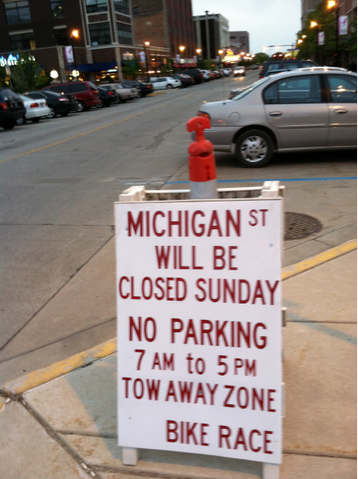 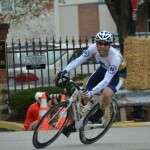 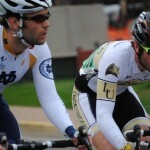 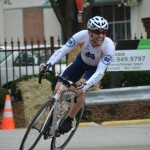 Sunday all eyes turned to the final race of the regular season in downtown South Bend. 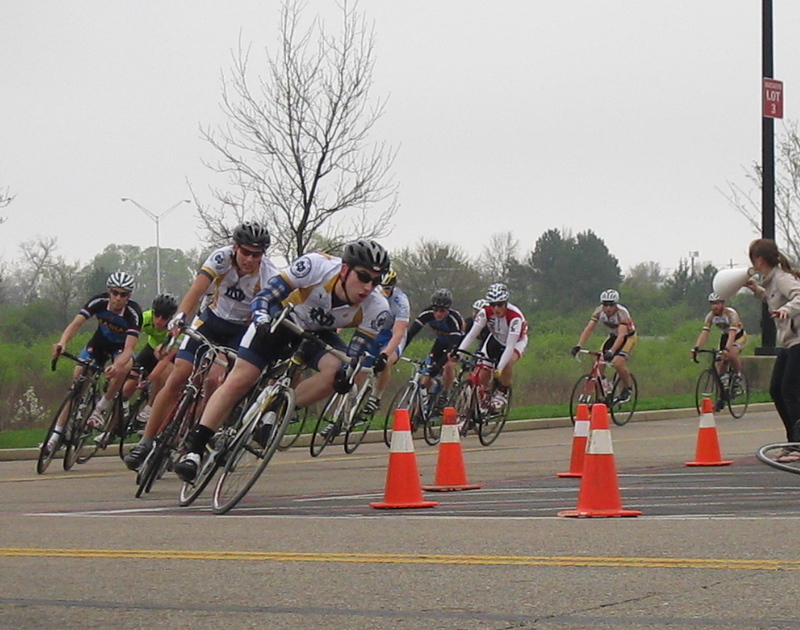 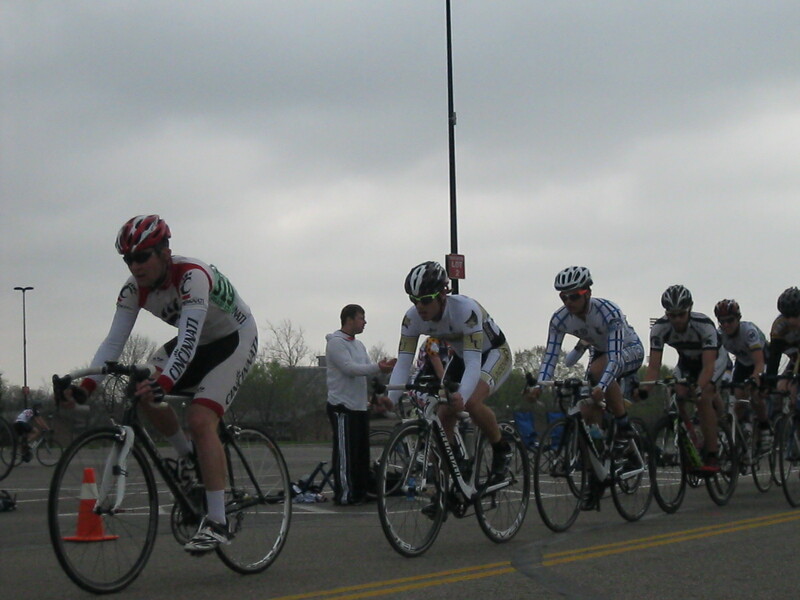 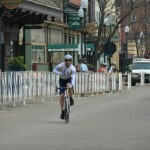 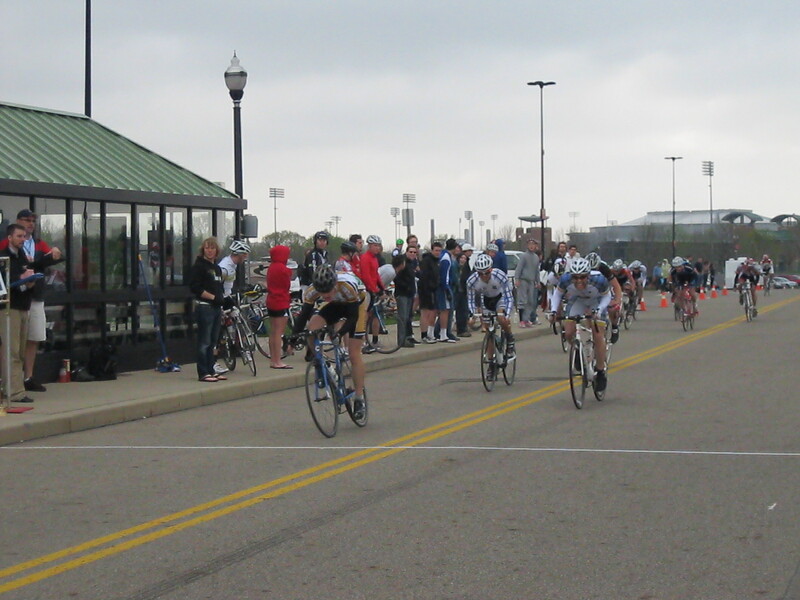 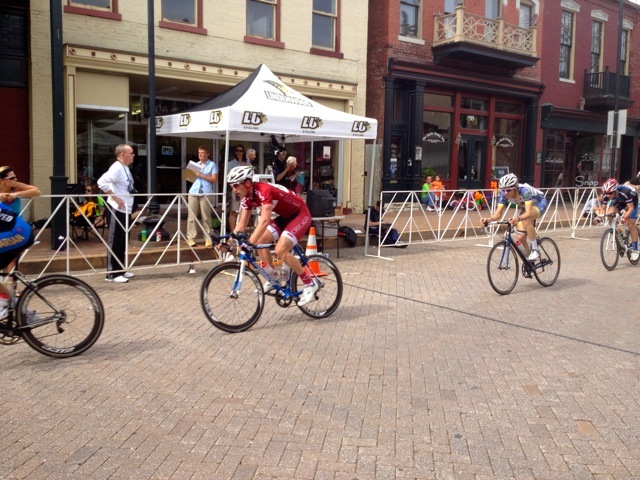 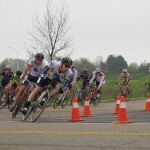 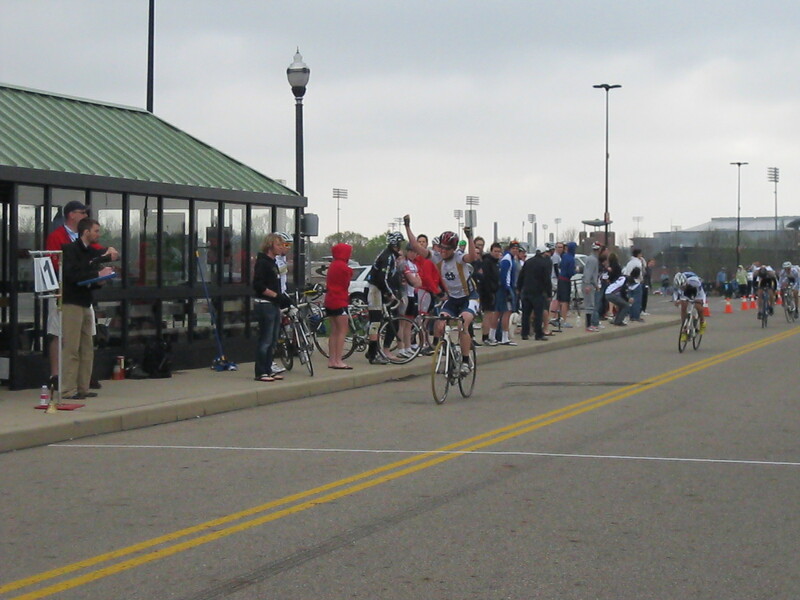 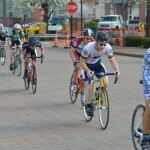 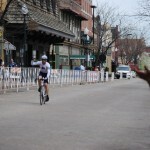 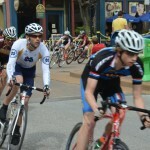 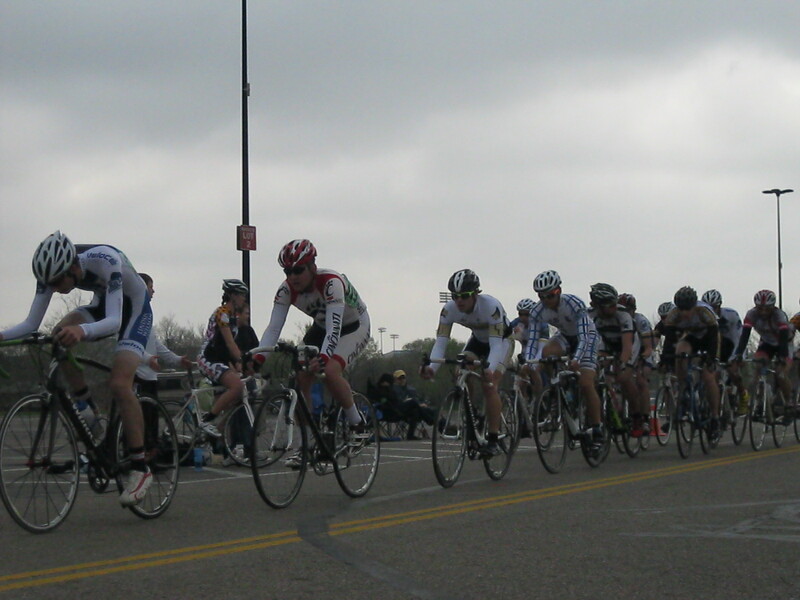 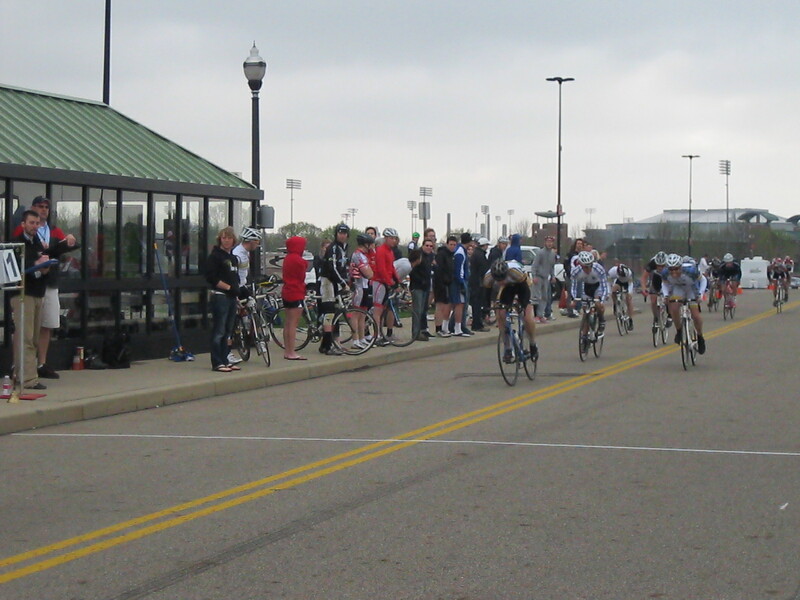 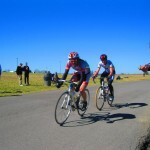 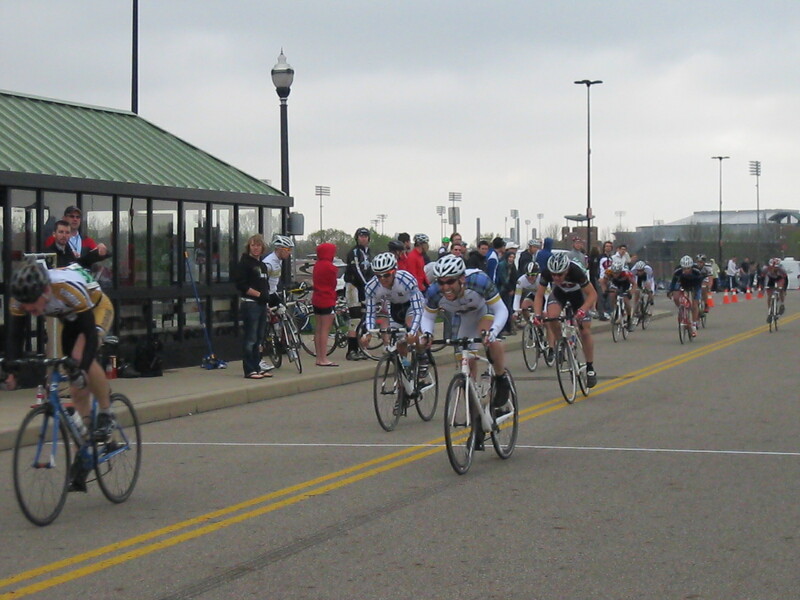 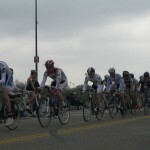 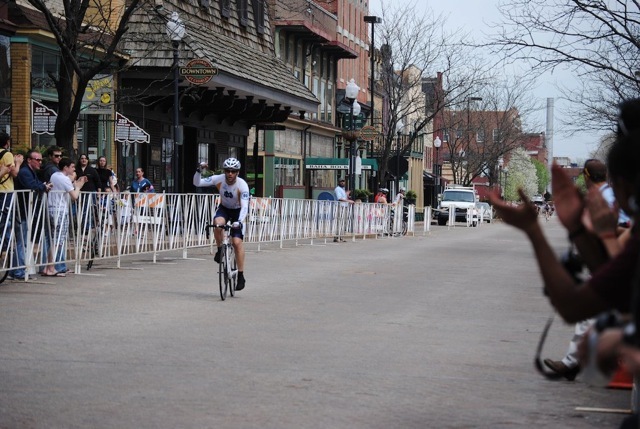 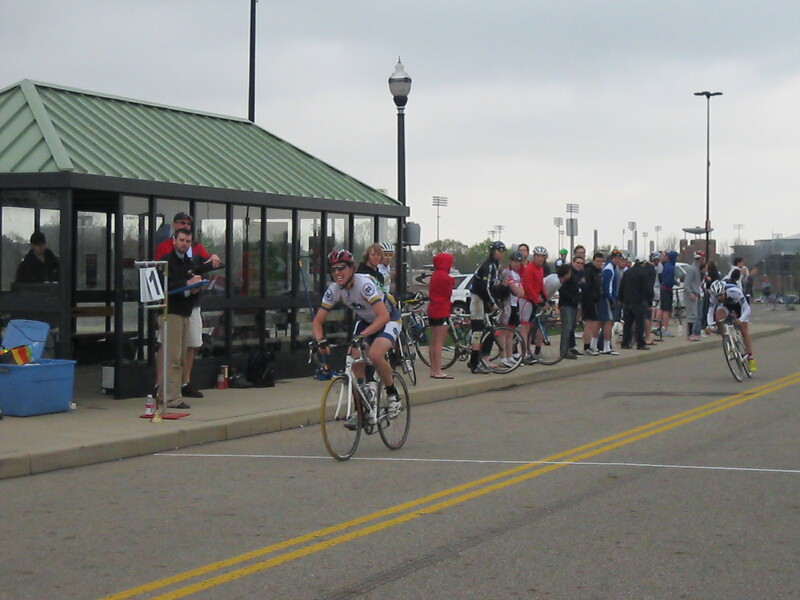 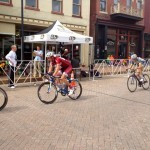 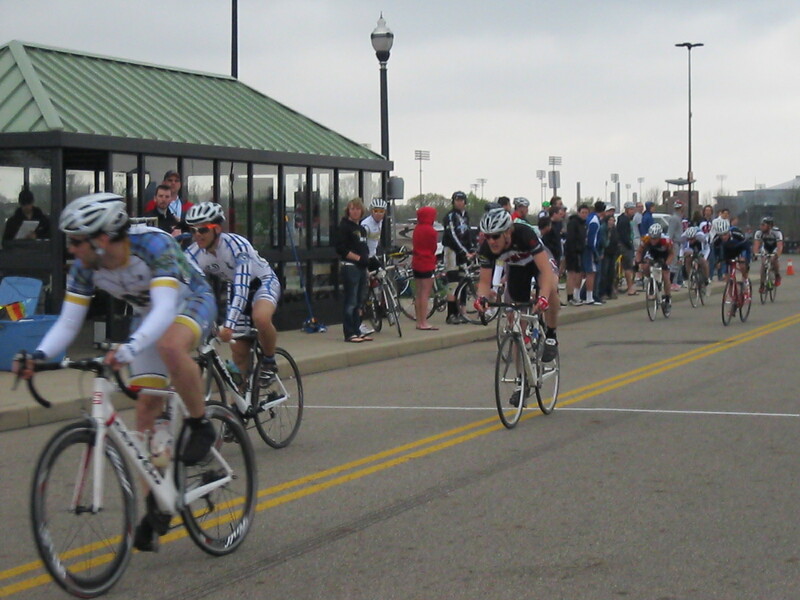 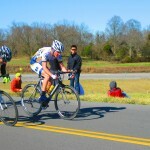 Crowds lined the streets all day to view the fast-paced action of criterium racing. 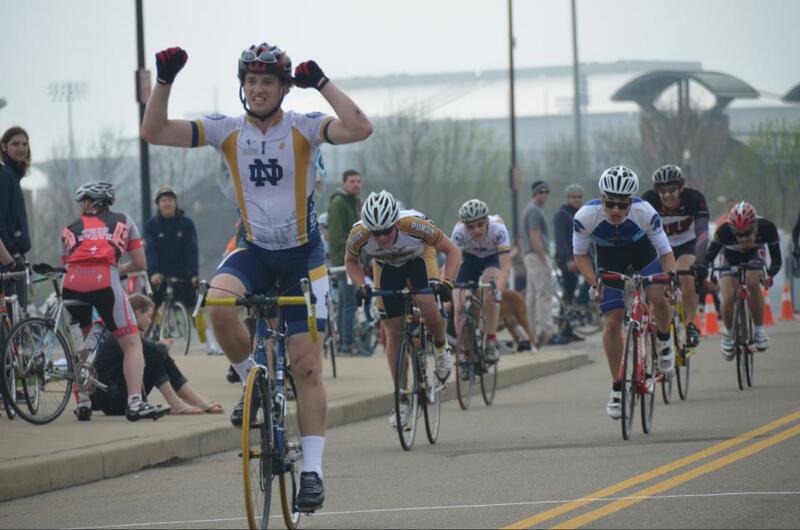 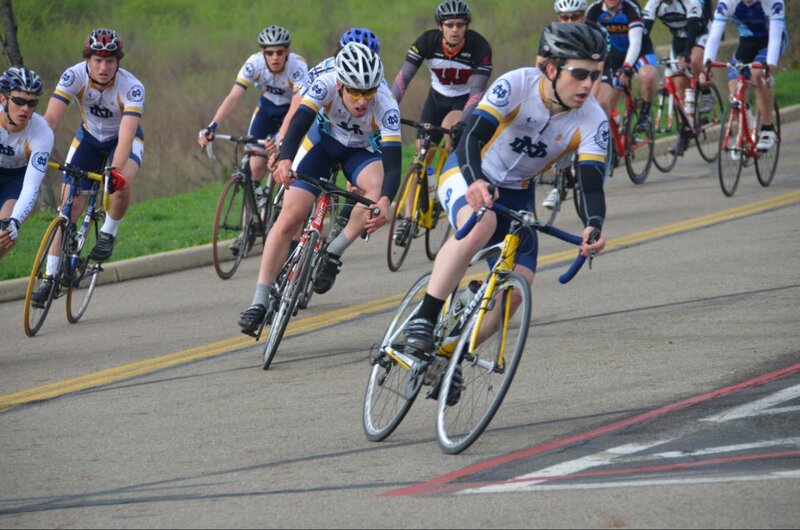 In the first race of the day, sophomore August Kunkel snagged another win for Notre Dame in the men’s D sprint. 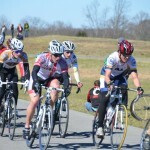 In Women’s B, McCann repeated her solid performance from the day before, taking another 7th place in Women’s B/C. 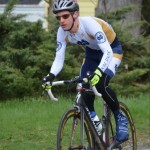 Another great effort came form the Men’s C riders with Corcoran earning a podium position with 3rd, and top 10’s from junior David Pratt at 6th and freshman Mike Chifala at 7th. 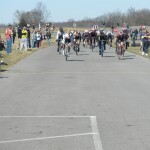 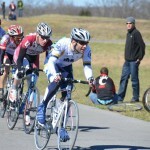 In Men’s B Tilmans was the top finisher in 4th place. 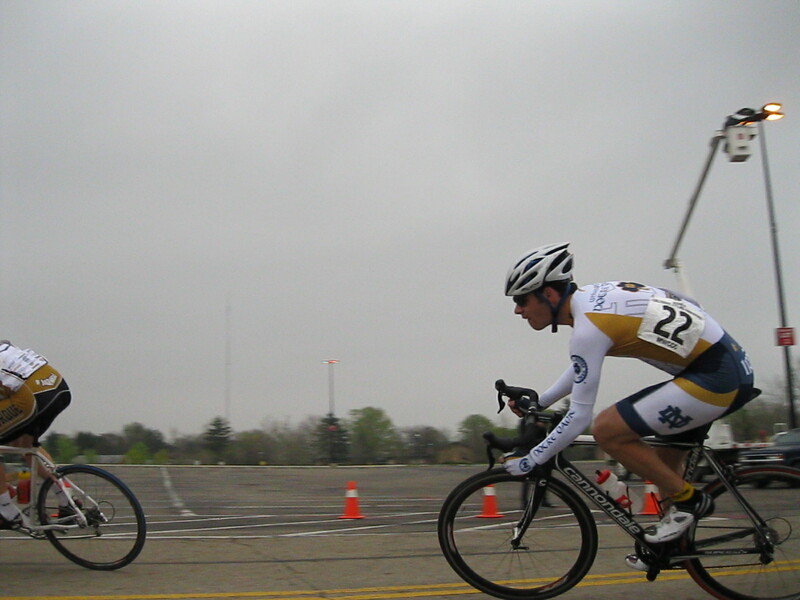 Finally, in Men’s A, junior Joe Magro who was leading the conference points standing for division II, fought his way into the winning break-away and held on to earn 7th place, while John Pratt held on in the field for 14th. 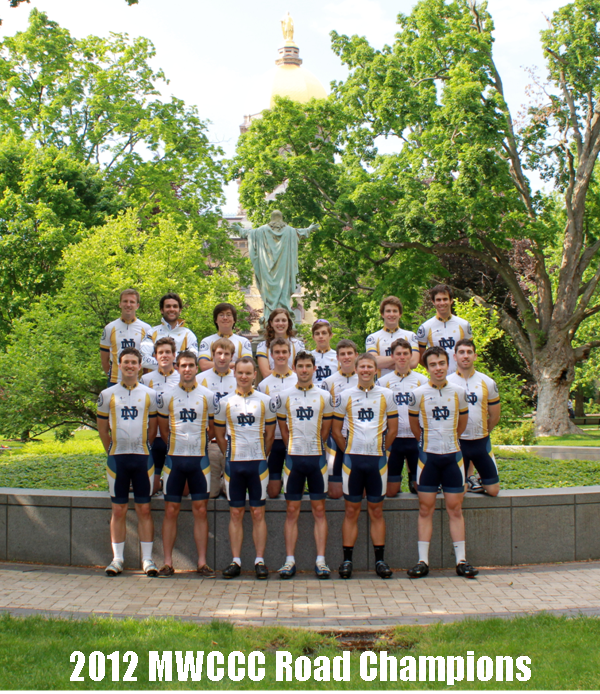 The performances form the Irish all weekend secured their back to back conference championship, and Magro and John Pratt finished 1st and 2nd in the overall DII individual standings. 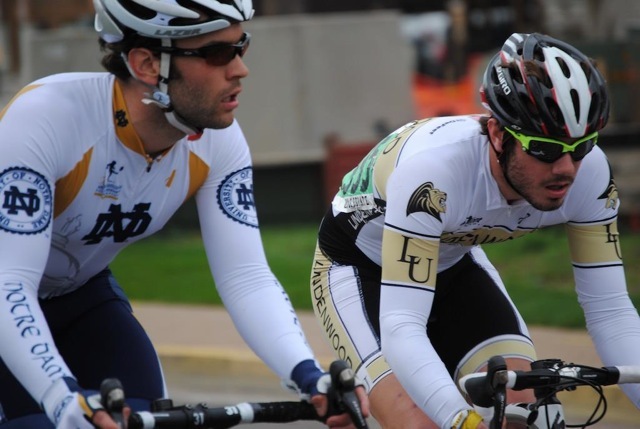 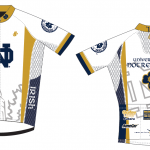 In two weeks Magro, Pratt, grad student Andrew O’Donnell and senior Nate Lee will represent the Irish at the national championships.